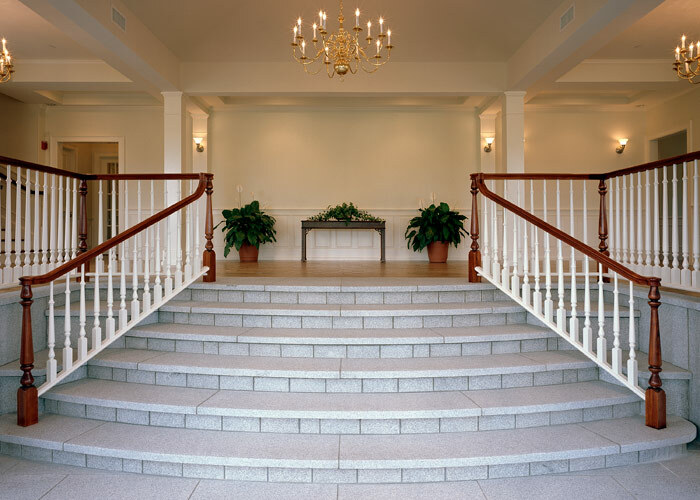 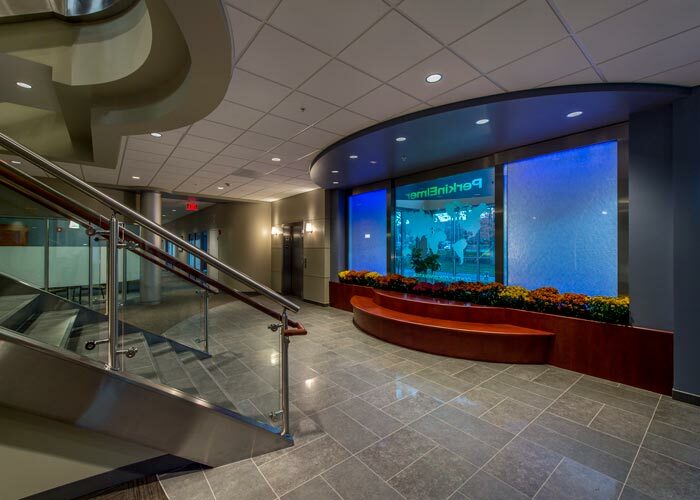 JM Coull was selected by Cognex to perform a complete renovation of the main lobby, as well as the second, third, and fourth floor elevator lobbies, at the company's headquarters. 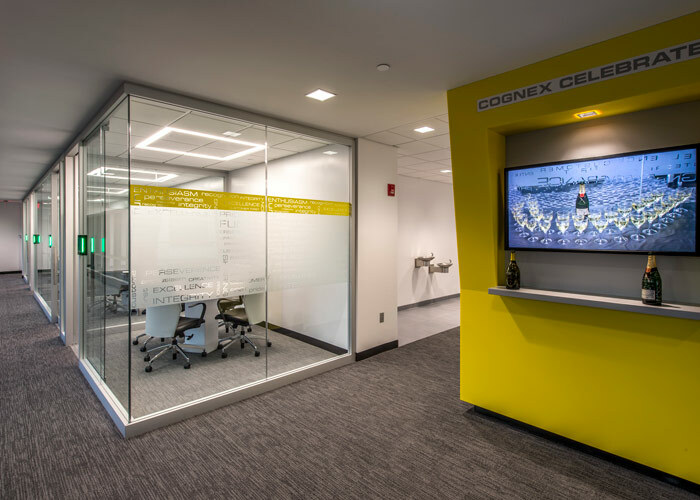 The contemporary design incorporates custom features and the company's signature color palette, reflecting Cognex's brand as a cutting-edge leader in advanced machine vision and barcode reader technology. 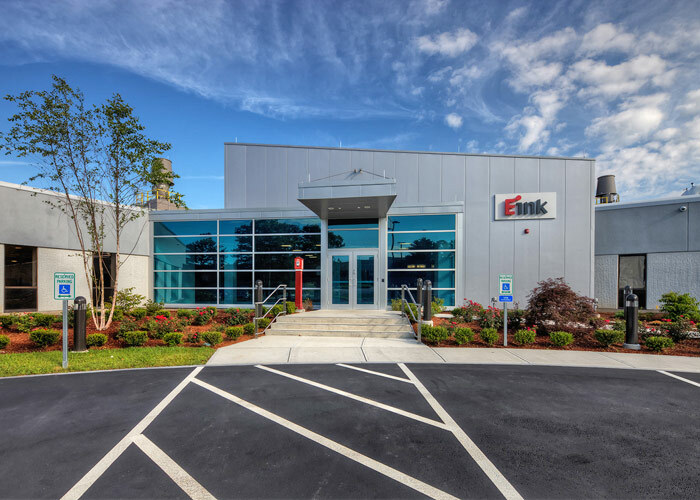 JM Coull was awarded this contract by E Ink to renovate and consolidate two existing buildings into one 140,000 sf facility to house the company's new Innovation Center. 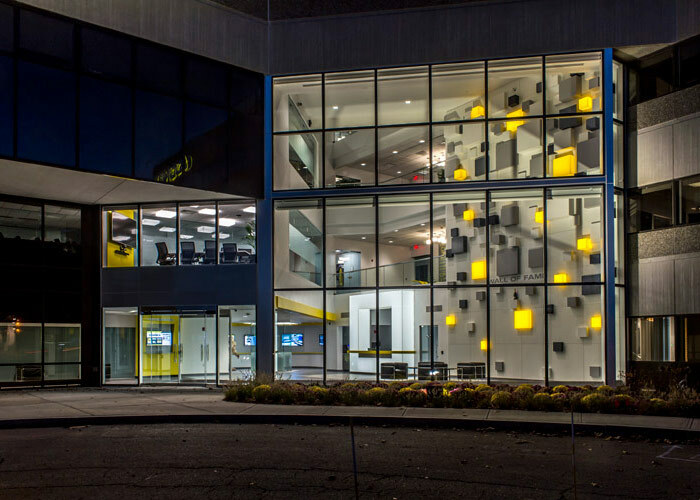 The new two-story building serves as the US headquarters for this originator and pioneer in ePaper technology, and enabled the company to enhance its research and production operations. 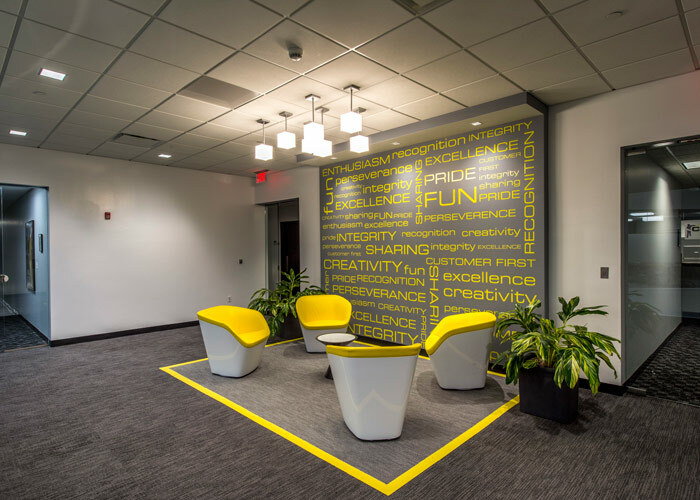 E Ink's technology is used in a range of industrial, mobile, retail, signage, and consumer products, including the Amazon Kindle. 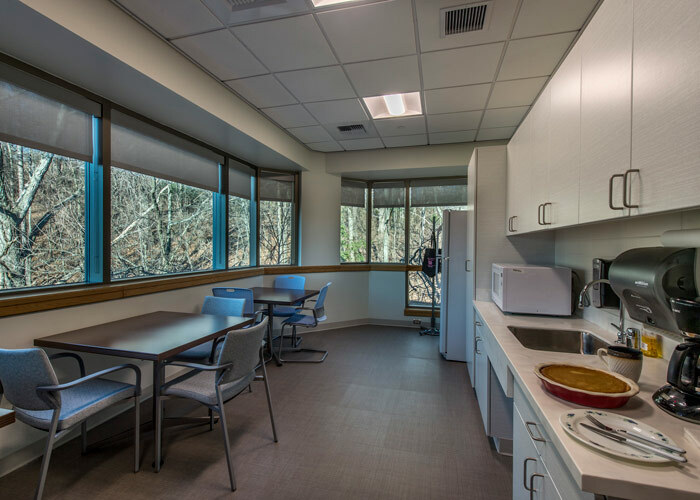 Architect: Industrial Facilities Design, Inc.
JM Coull renovated 6,500 sf of space at Waters' Taunton, MA location to increase efficiencies in the company's operations. 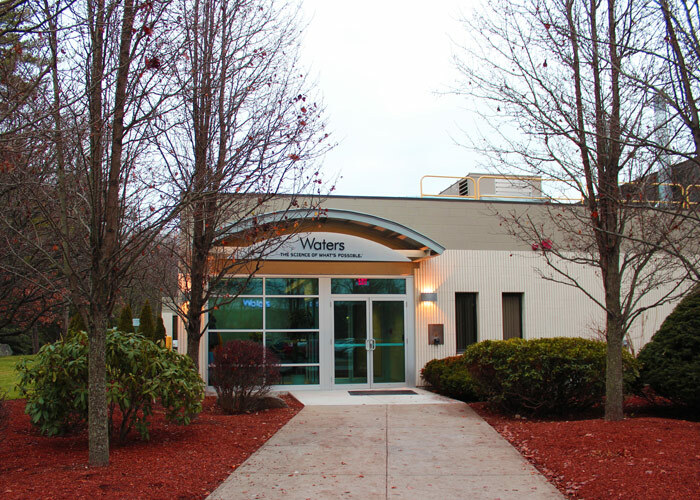 Waters is a global leader in developing and manufacturing liquid chromatography, mass spectrometry, and thermal analysis. 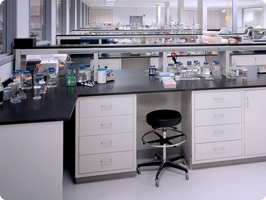 The company's products and services are used in a wide range of applications, including chemical, bio-pharmaceutical, health sciences research, and forensic toxicology, among others. 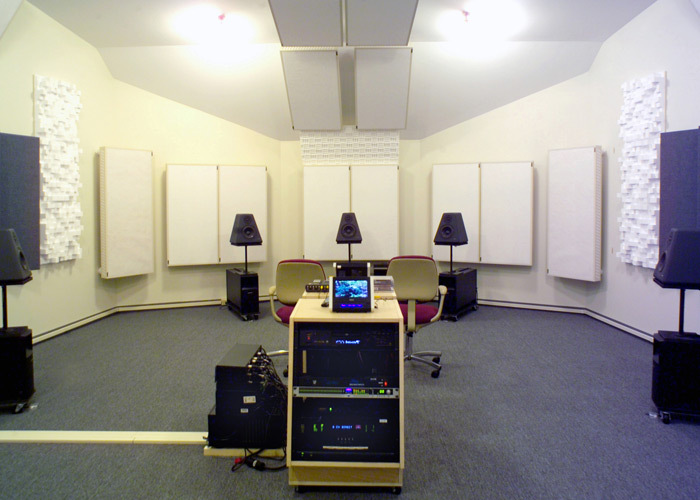 JM Coull constructed this 12,000 sf facility to house Bose's new automobile audio lab in Stow. 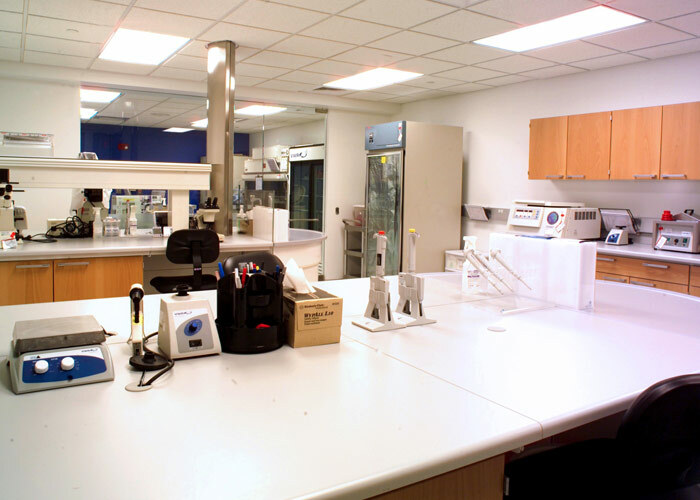 The space is used for product development and testing. 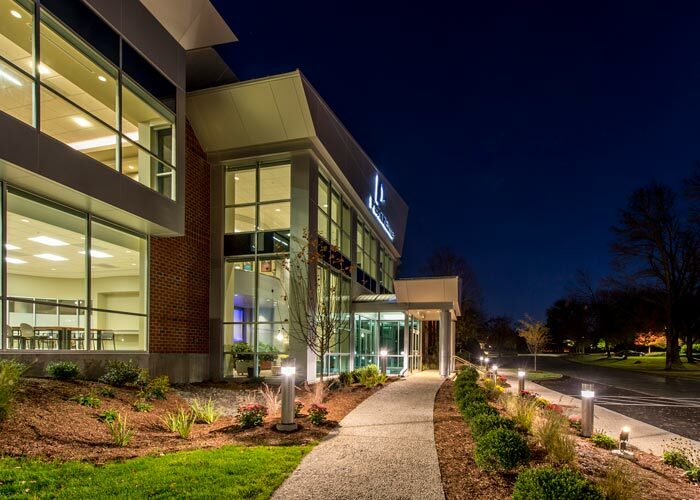 JMC constructed a new addition to accommodate GT Advanced Technologies' expanded production capacity as its world headquarters in Merrimack, NH. 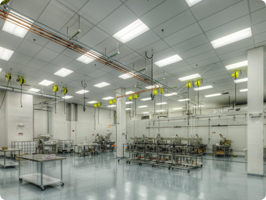 This high-tech company develops and manufactures crystal growth technology and advanced materials for the electronics, solar, and LED industries. 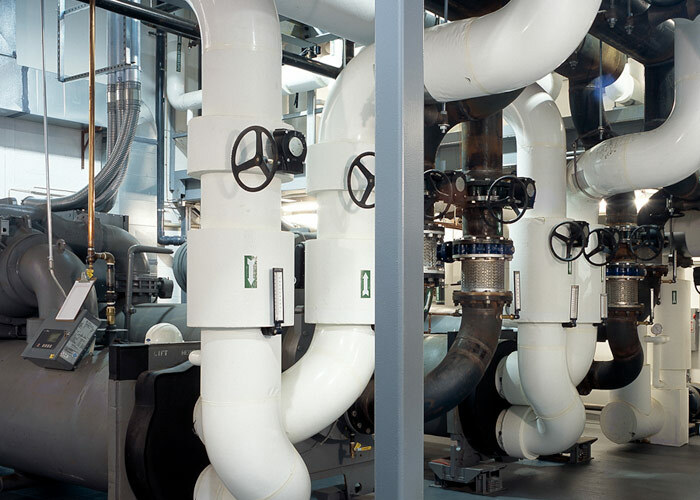 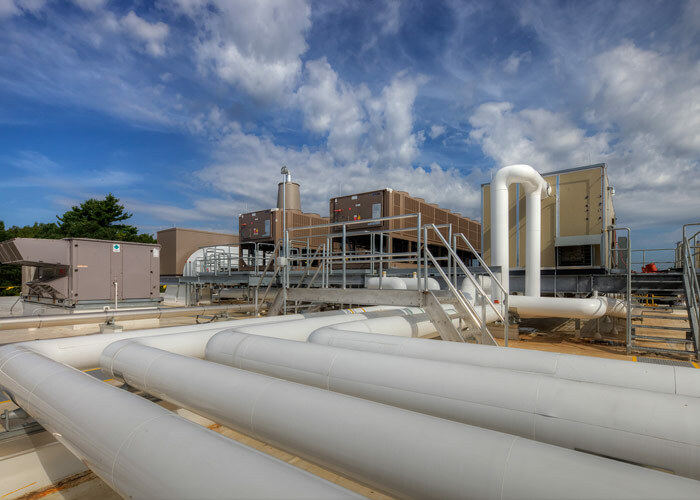 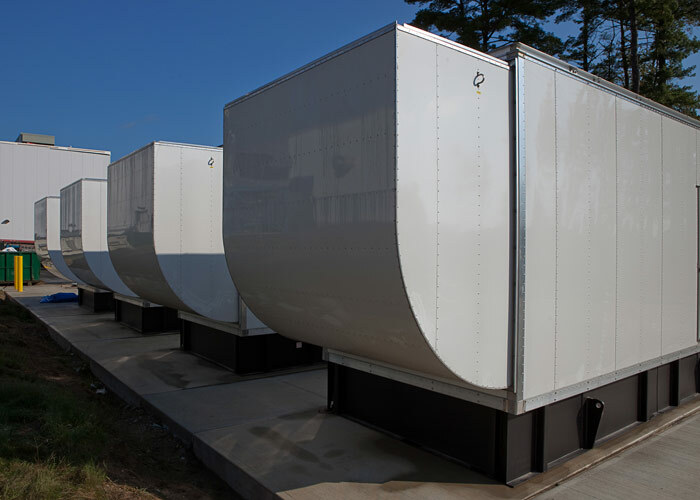 The project involved significant HVAC and process systems work to support the company's enhanced operations. 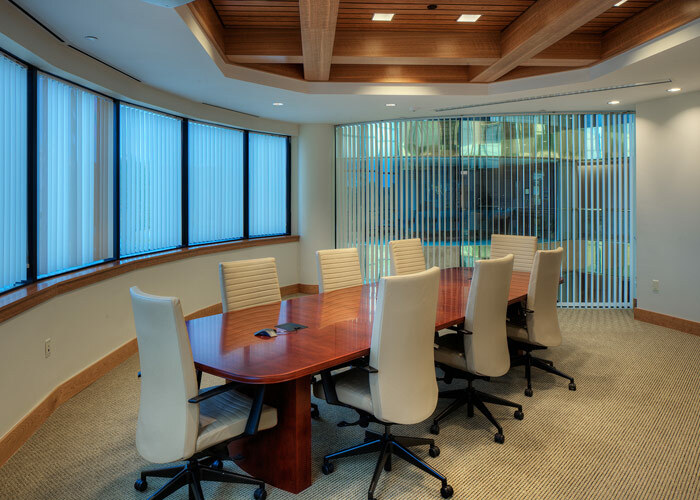 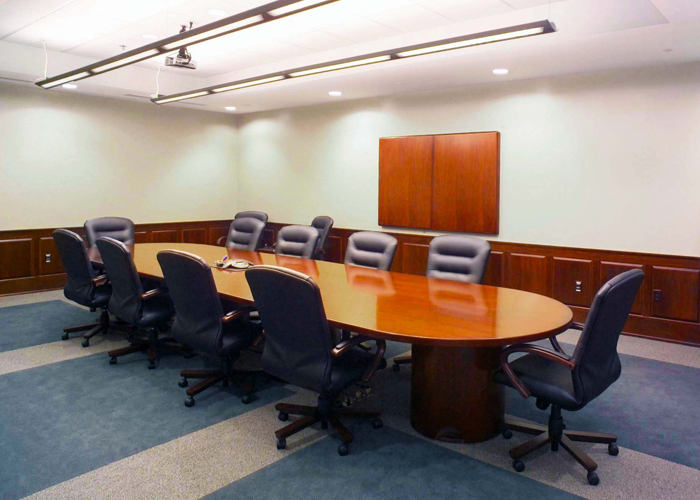 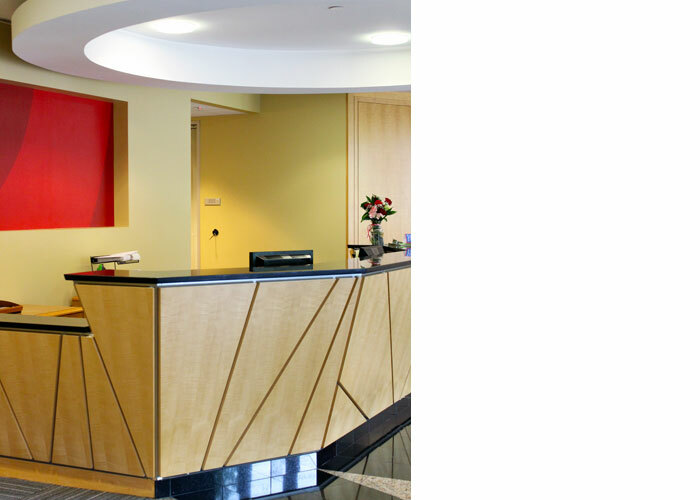 JMC performed this 13,000 sf executive office fit-up, incorporating many modern and high-end custom finishes. 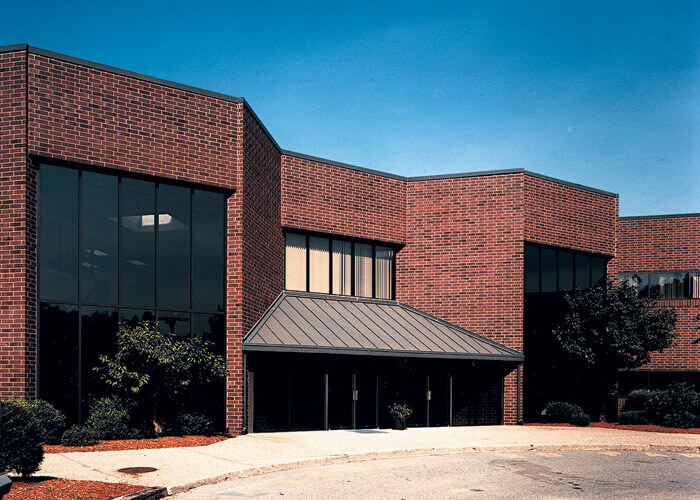 GT Advanced Technologies' Nashua location houses the company's offices for global sales of polysilicon equipment and technologies, silicon and sapphire crystal growth equipment, and silicon carbide crystal growth equipment for the electronics, solar, and LED industries. 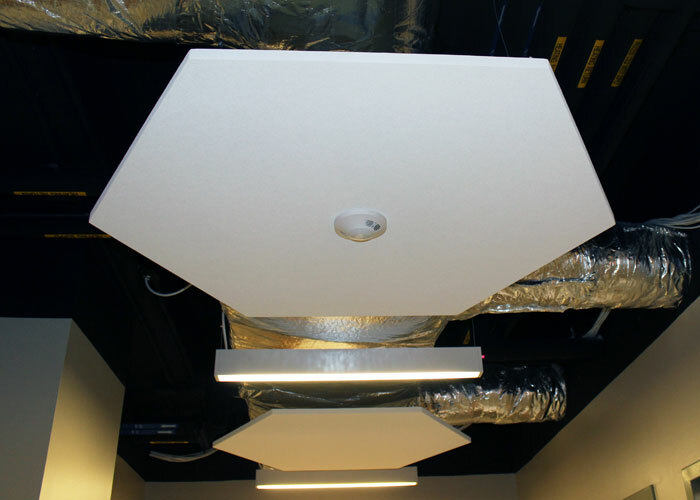 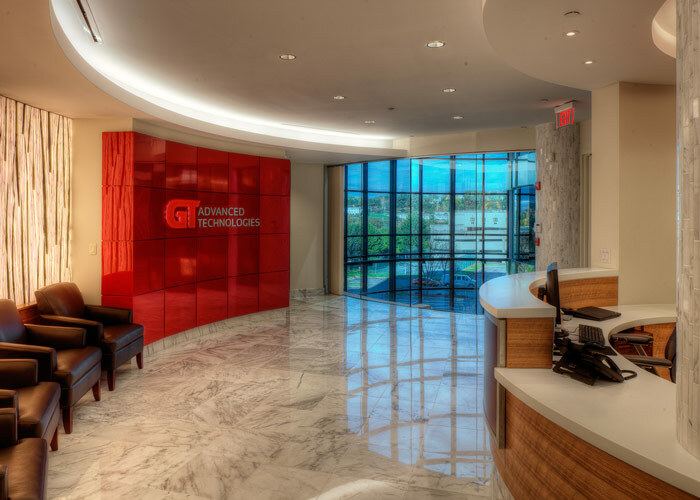 JMC completed this project as the first of several for GT Advanced Technologies. 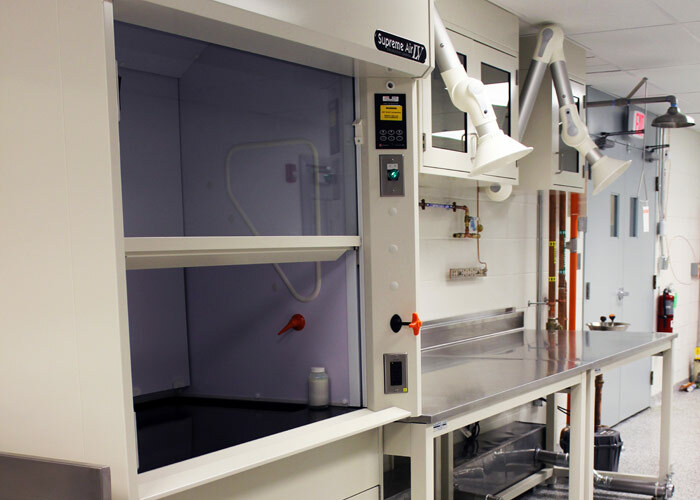 This scope involved a complete fit-up of the company's Salem, MA location (GT Crystal Systems, Inc.), which specializes in advanced sapphire materials for the electronics, solar, and LED industries. 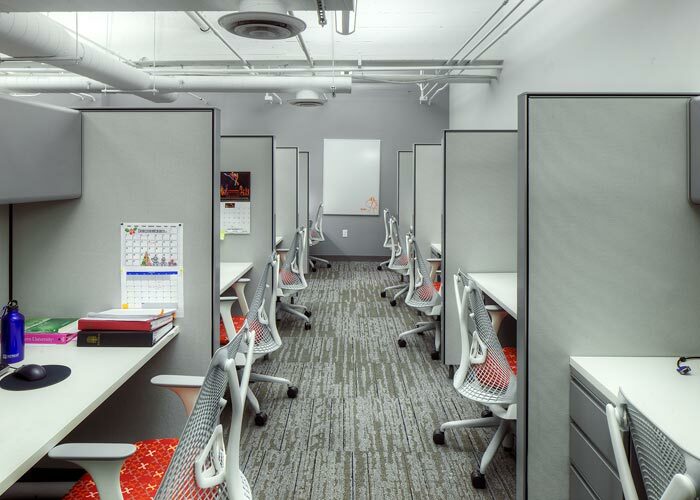 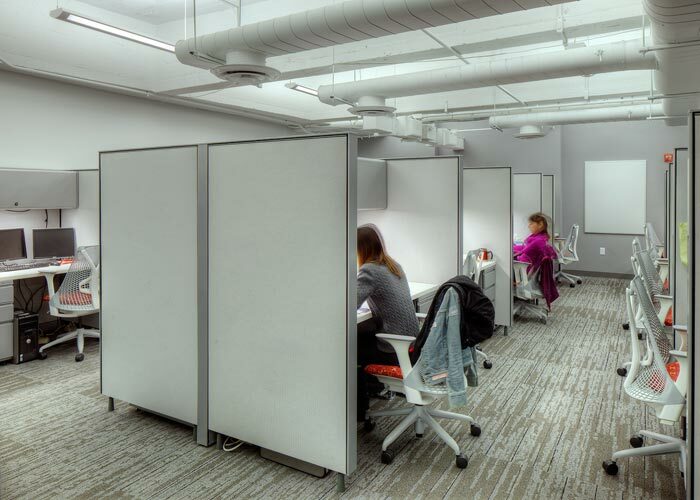 An open design with improved efficiencies was created for the space to provide employees with an enhanced working environment. 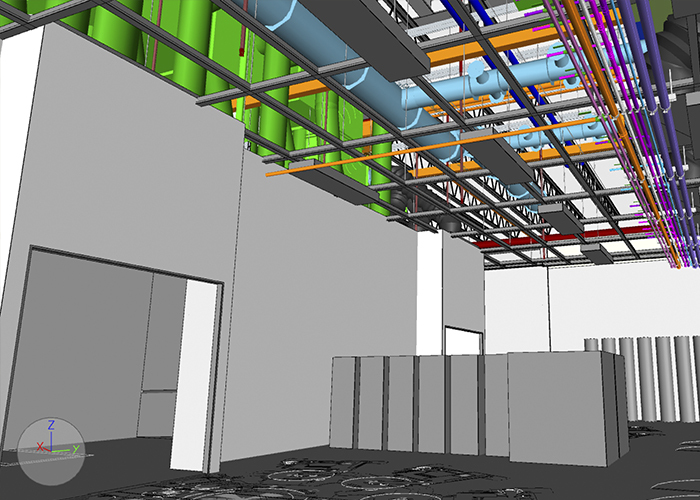 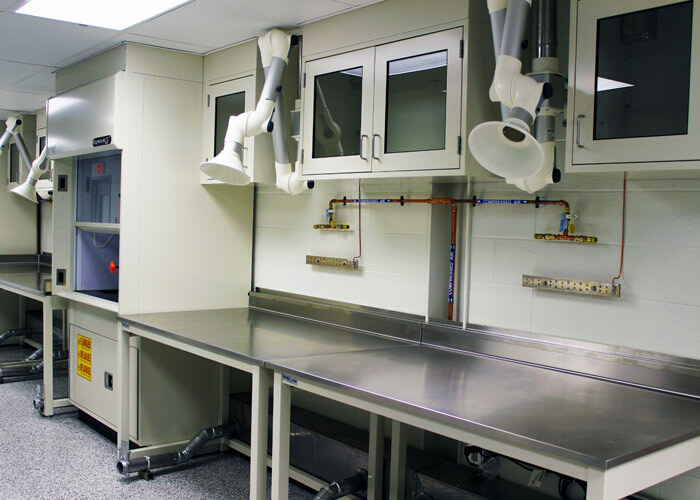 This design-build project involved renovation for a new 18,000 sf production cleanroom with ancillary spaces to support Brooks Automation's operations. 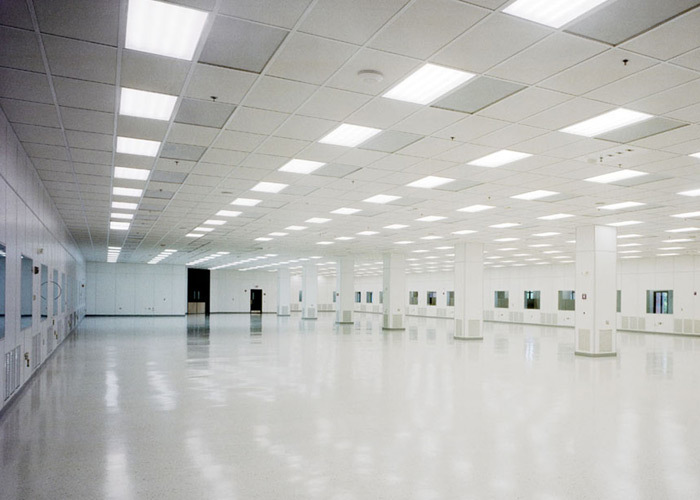 Cleanroom equipment for the new space was integrated from the company's facilities in California. 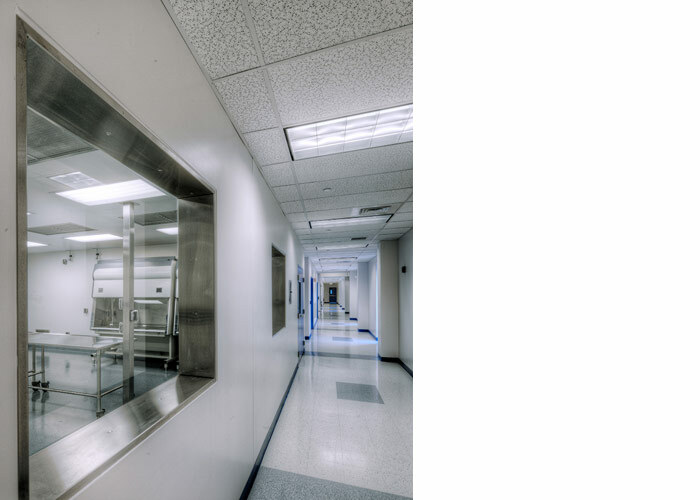 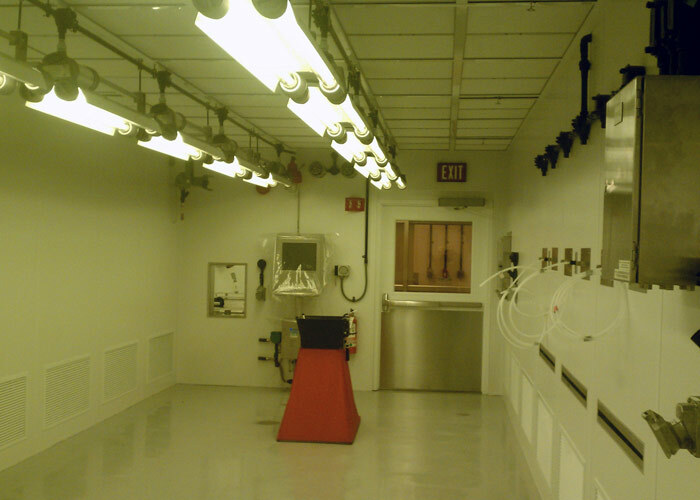 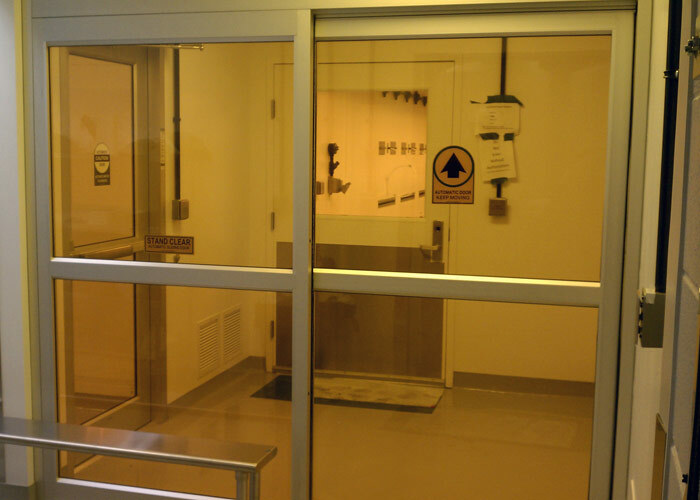 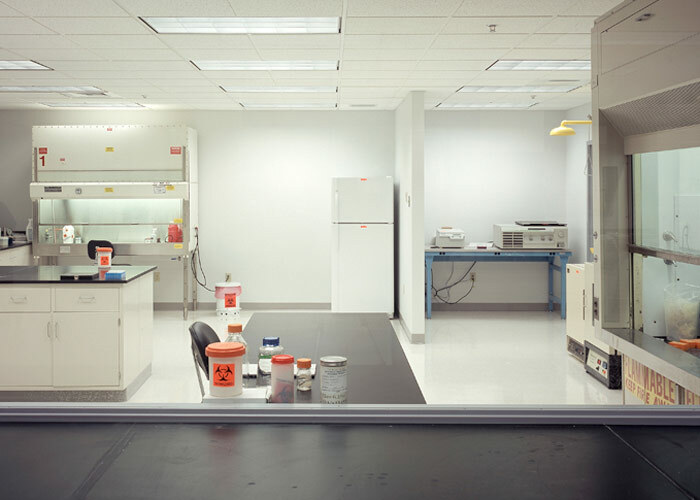 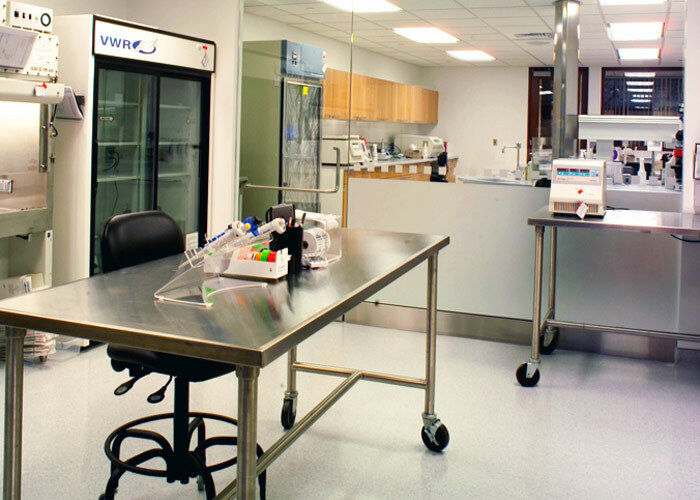 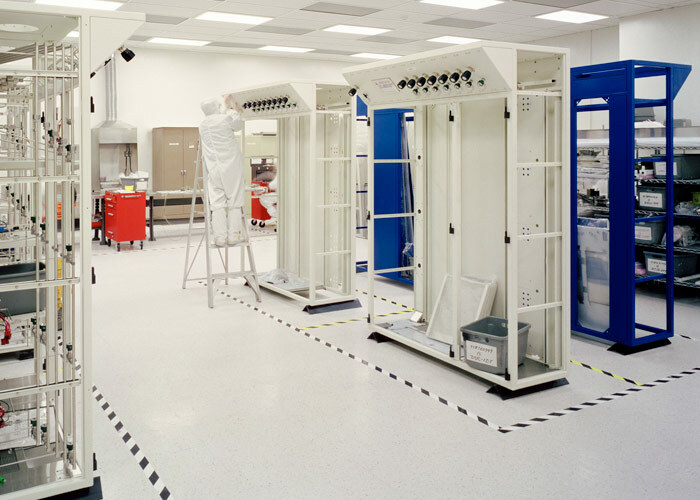 The cleanroom was constructed to provide Brooks with increased functionalities for developing and manufacturing its advanced technology products that are used in the semiconductor, life sciences, and cryogenics industries. 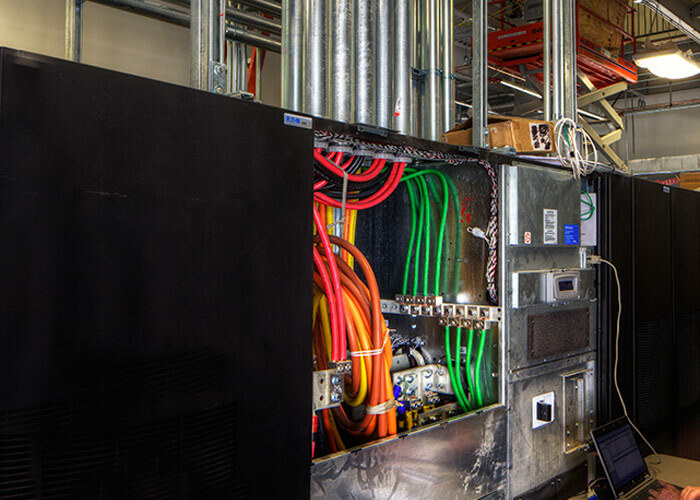 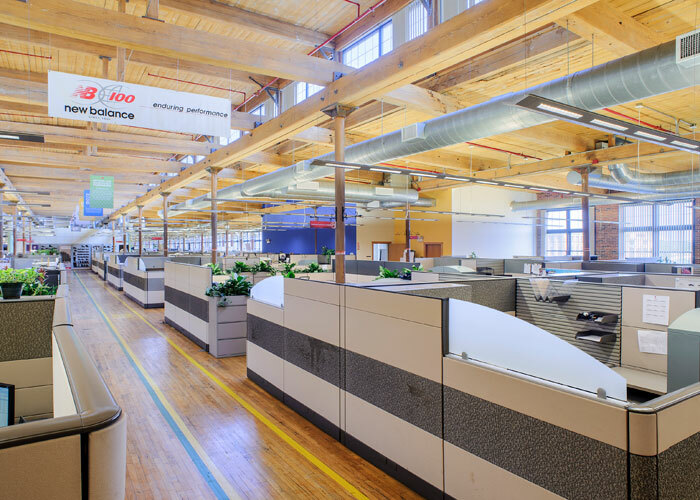 JM Coull performed more than 80,000 sf of renovations in an existing two-story building to provide Brooks Automation with enhanced space for its operations. 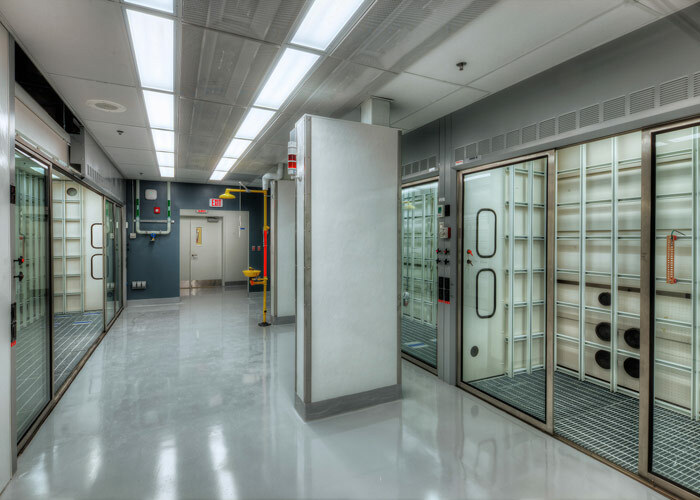 The company required an upgraded facility for development and manufacturing of its products and solutions for the semiconductor, life sciences, and cryogenics industries. 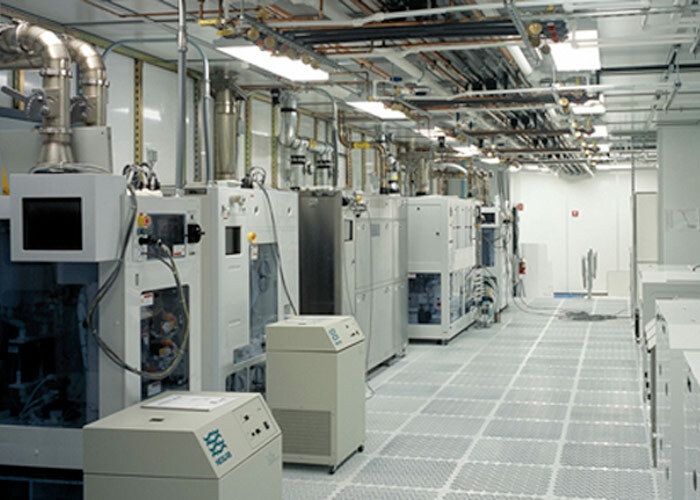 JM Coull was selected by Dow to construct the company's new state-of-the-art 64,000 sf, three-story microelectronics R&D facility in Marlborough. 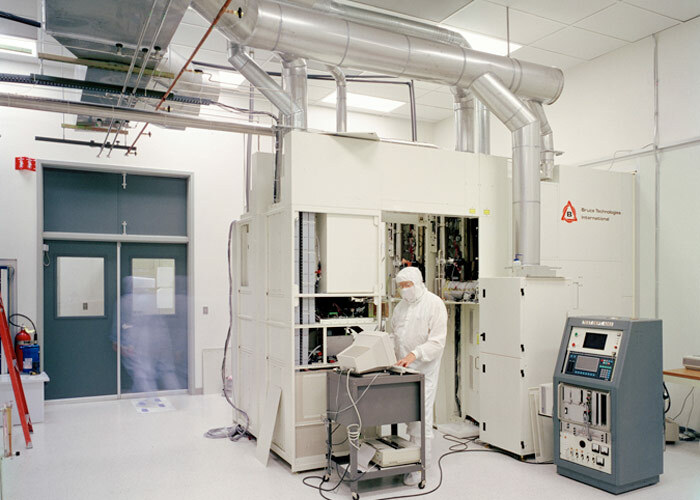 The Advanced Technology Center (ATC) provides space to conduct a variety of research, including work with anti-reflective coatings, lithography, and EUV and e-beam technologies. 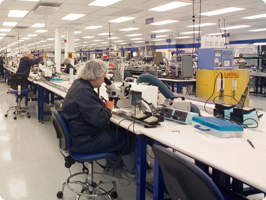 The facility is instrumental in the company's microelectronic, circuit board, and packaging and finishing operations. 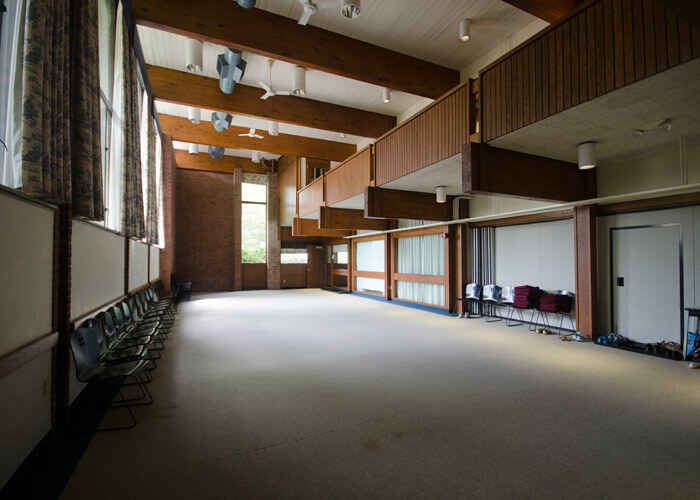 JMC was called in by this longtime customer to demolish and build new Class I, Division I and Class I, Division II hazardous-use spaces within an existing building on Dow's campus in Marlborough. 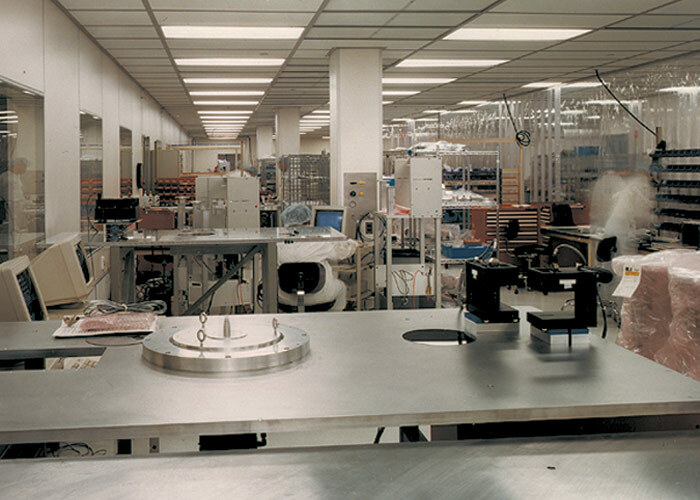 The facility supports the company's electronic materials business, and is used in Dow's microelectronic, circuit board, and packaging and finishing operations. 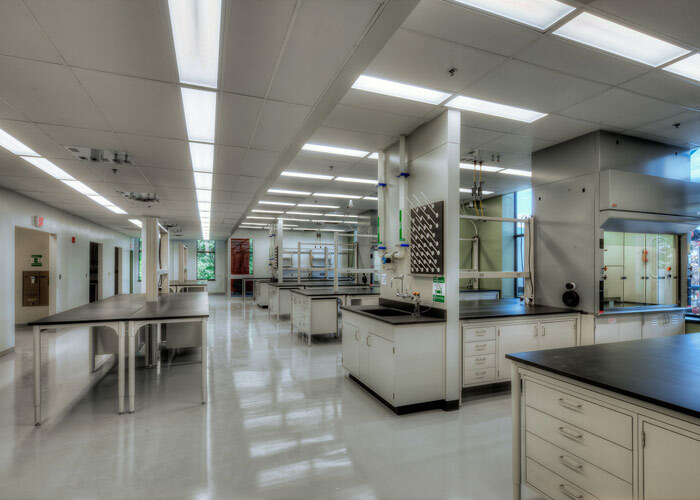 JM Coull completed the design and construction of the FAB 3-DUV, ISO 3 cleanroom for Dow's Marlborough campus. 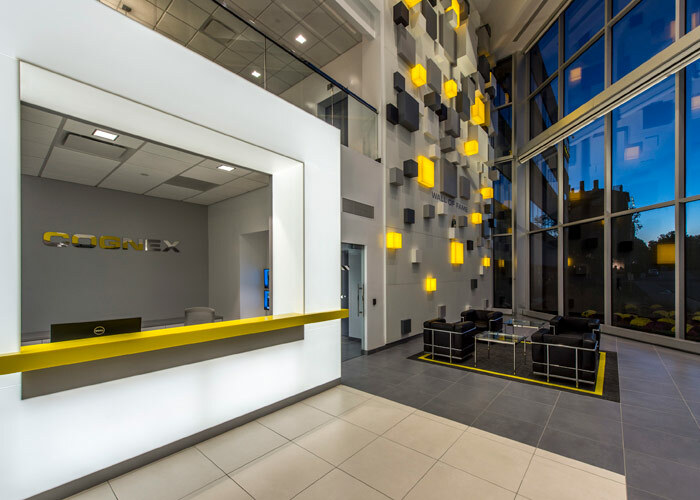 The company is a global supplier of enabling materials found in consumer electronics, flat-panel displays, and telecommunications. 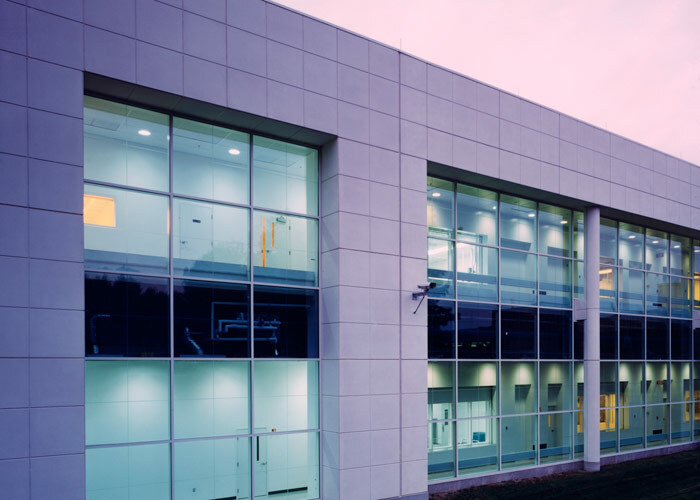 JM Coull constructed this ISO-certified 30,000 clean manufacturing building to support Kokusai's operations as a world leader of thermal processing technology, and batch and single water processing systems. 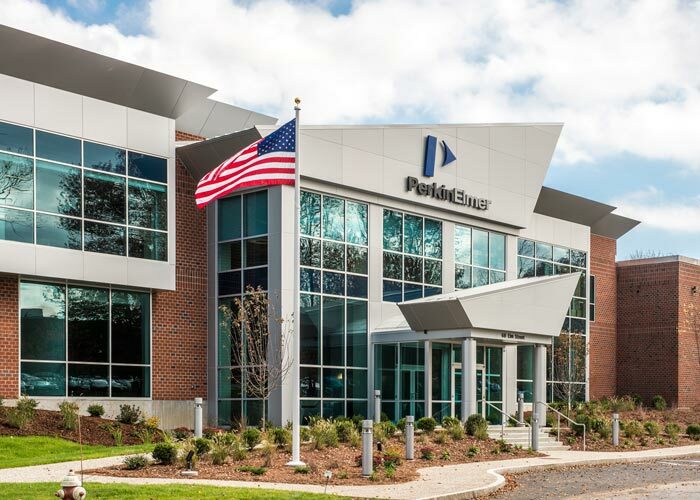 The company also develops and manufacturers products and solutions for wireless communications, broadcasting and video systems, security/surveillance systems, financial information systems, and industrial video cameras. 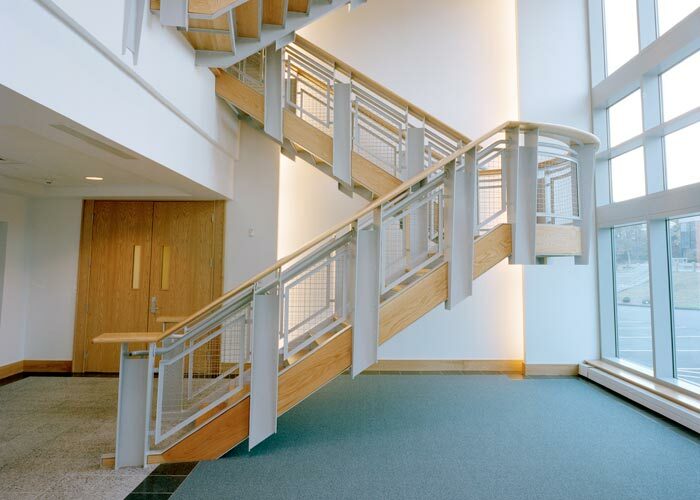 JM Coull designed and constructed a 6" Gallium Arsenide (GaAs) Pilot Fab and completed associated support projects at Skyworks' global headquarters in Woburn, MA. 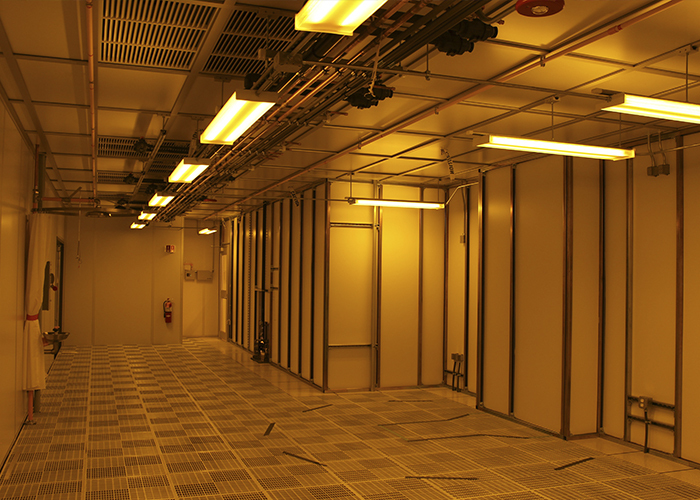 The facility houses production operations for switches, control devices, amplifiers, and silicon wafers used in wireless networking. 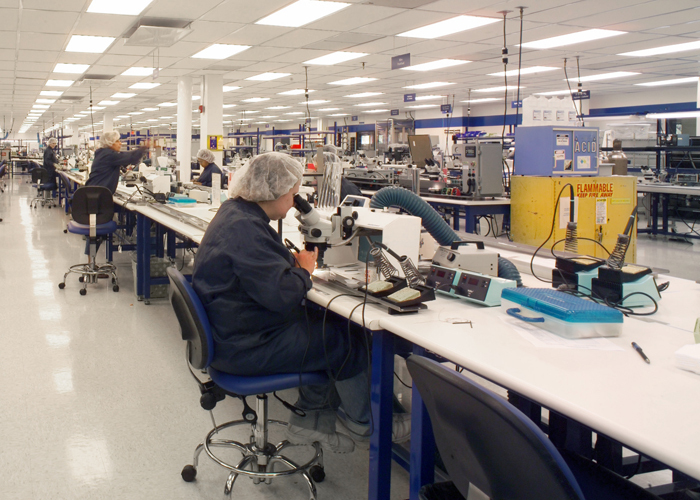 The company's products and applications support an array of markets, from aerospace and defense, to consumer electronics, to medical devices. 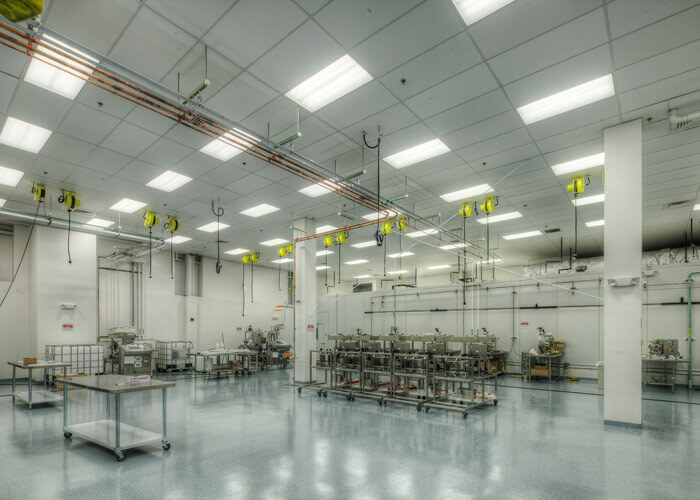 JM Coull completed a project involving the design, permitting, and construction of a new 4" Gallium Arsenide wafer fabrication facility within an existing, fully operational fab. 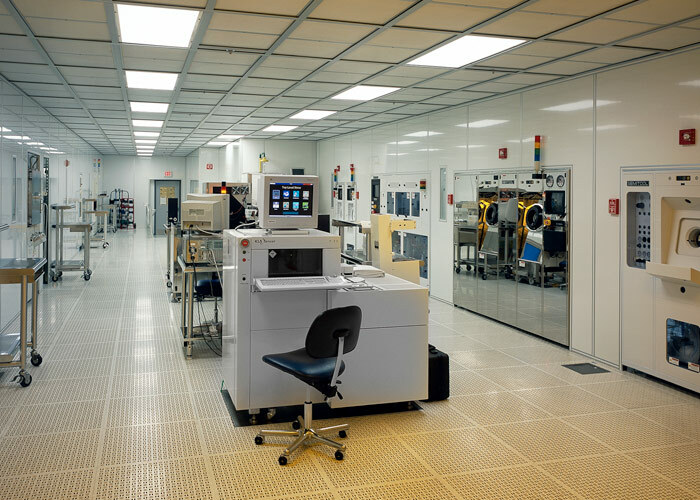 The wafers are used in wireless networking applications throughout multiple industries, including but not limited to aerospace and defense, automotive, media, consumer electronics, and mobile devices. 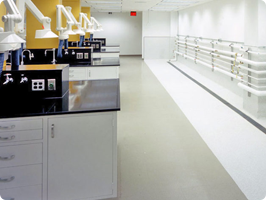 JM Coull demolished and expanded an existing space at Skyworks’ Woburn headquarters to construct a new ISO 5 GaN clean manufacturing suite. 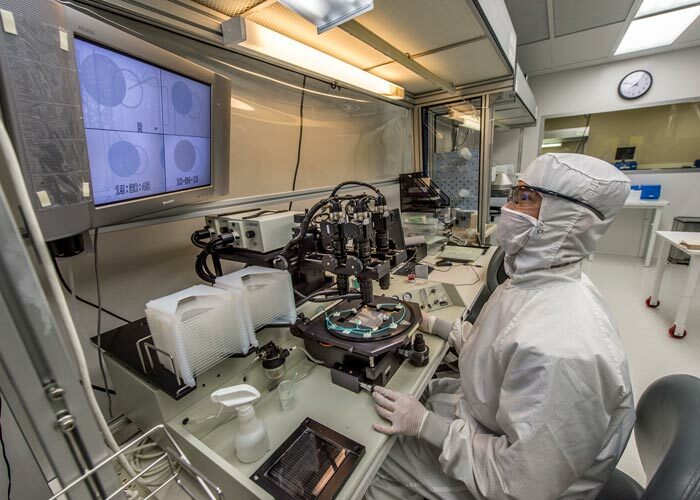 The billion-dollar company manufactures semiconductors for use in radio frequency and mobile communications systems across multiple markets, such as aerospace/defense, mobile devices, consumer electronics, smart energy, and wireless infrastructure. 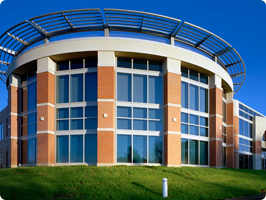 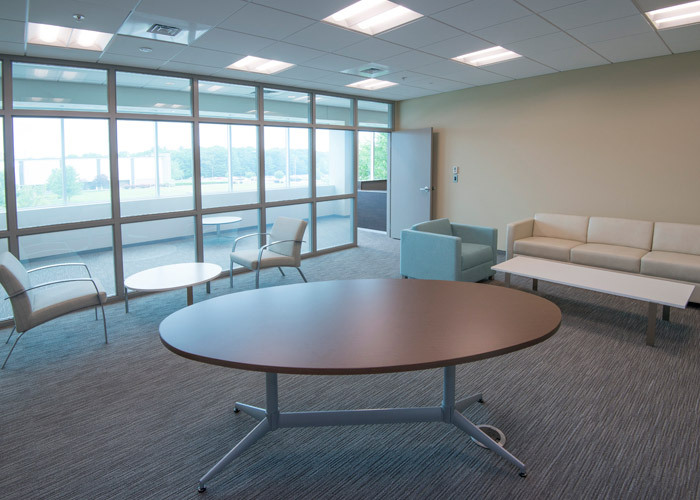 JMC provided design, construction, and commissioning of a new corporate headquarters and laboratory facility to support Applied Biosystems' relocation to Bedford. 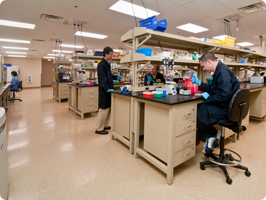 Applied Biosystems, owned by Thermo Fisher Scientific, develops instruments and reagents for genetic analysis. 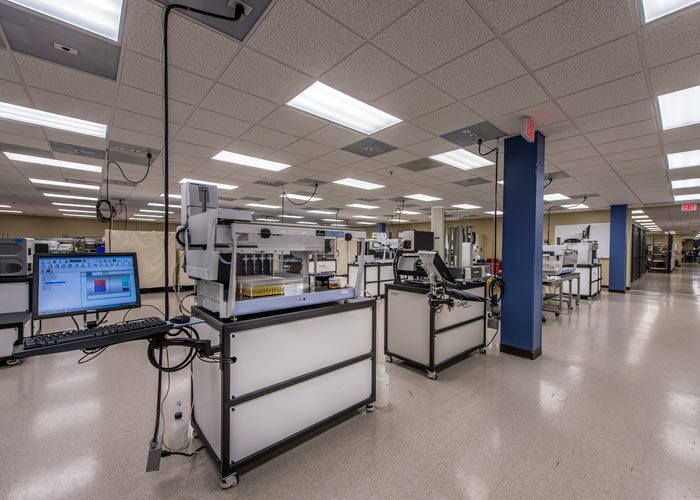 The Bedford site created an advanced facility for the company's operations and production of human identification solutions, PCR systems, enzymes, and assays for a variety of applications. 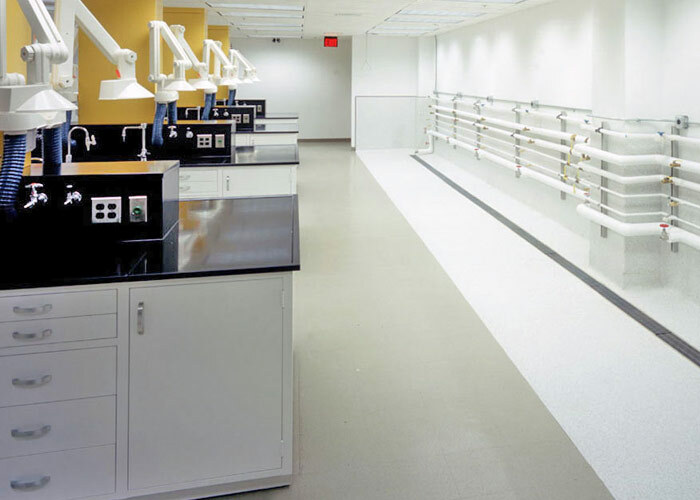 This complex 80,000 sf renovation included a 30,000 sf, ISO 8 stent manufacturing cleanroom suite, as well as administrative spaces. 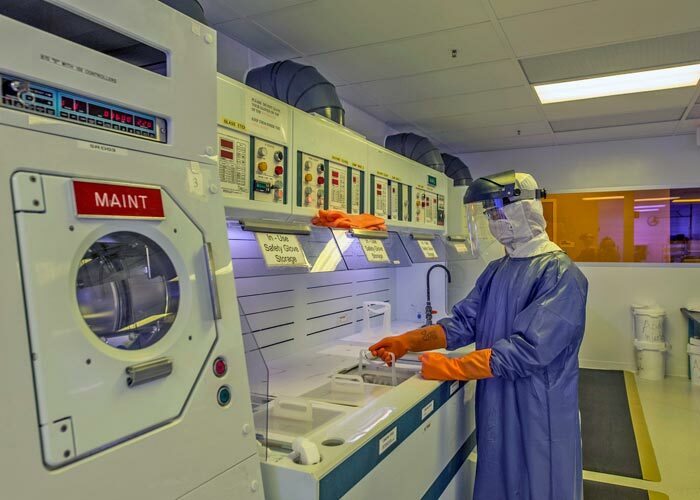 The facility houses Medtronic's production of devices and therapies used by healthcare professionals that have been proven to improve clinical outcomes. 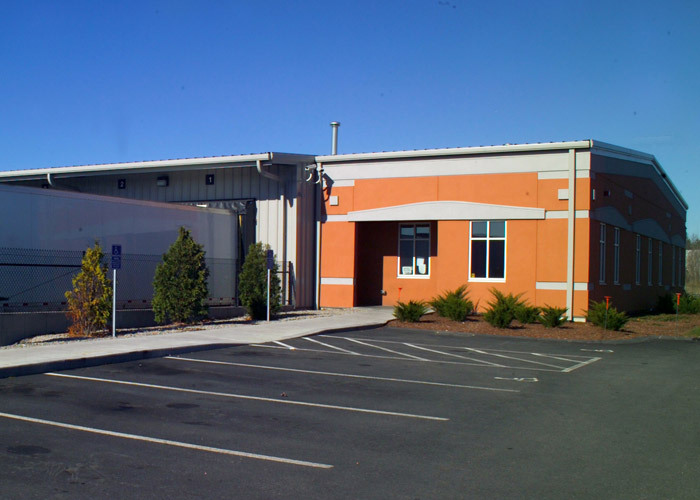 The building use group for the existing facility was re-classified from class B to class B, S1, F-1, A-3, and H-2. 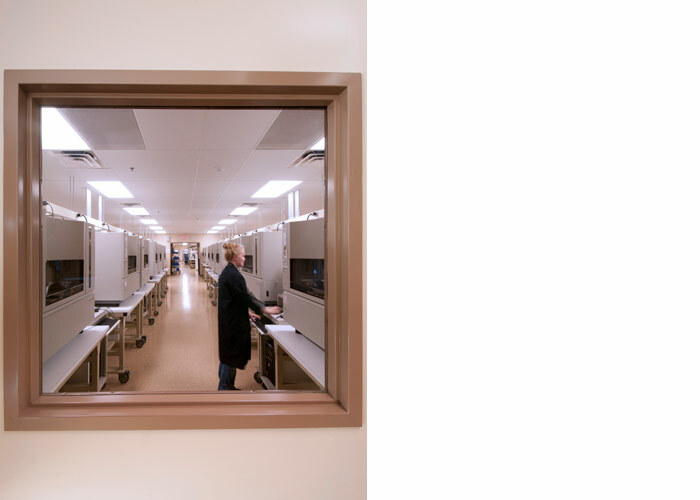 JM Coull performed a gut renovation and fit-up to provide a new home for Beckman Coulter's expanded genomic servicing operations. 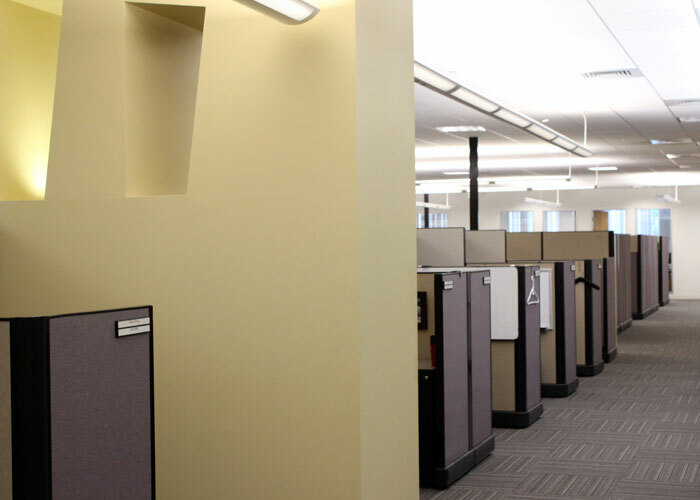 A layered work plan was developed to accommodate a late request to shorten the original schedule by 20 days, enabling the company to keep up with customer demand. 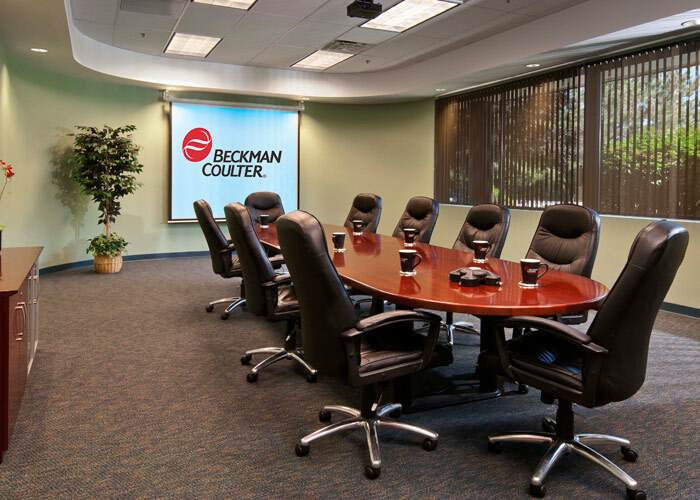 Beckman Coulter is a worldwide developer and manufacturer of products used in biomedical testing. 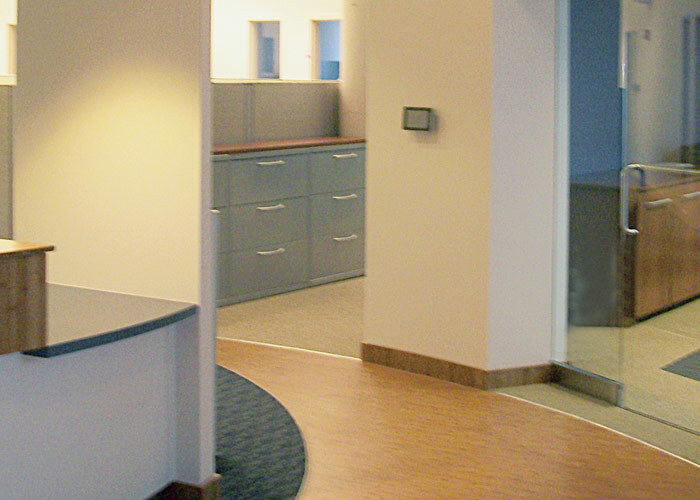 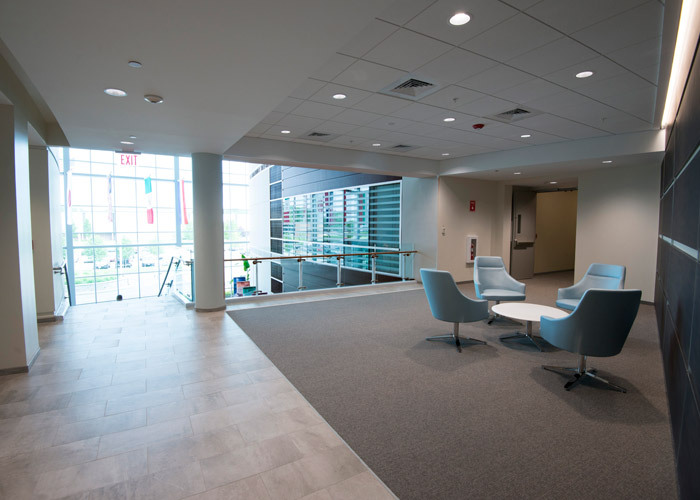 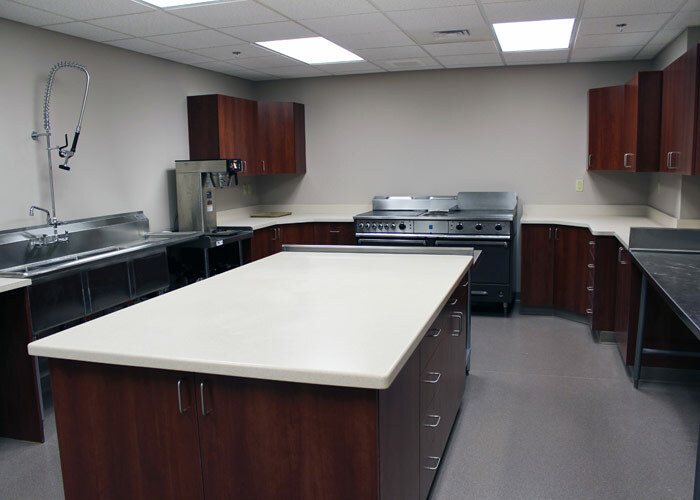 JM Coull renovated two existing areas located within Boston Scientific's previous headquarters in Natick. 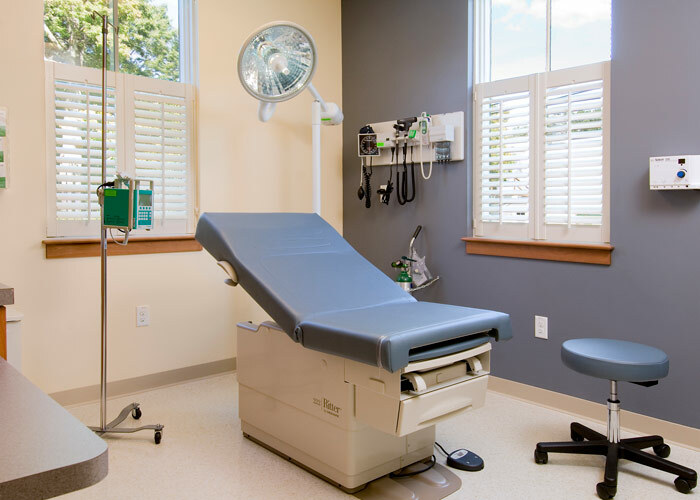 The company is a globally recognized developer and manufacturer of medical devices that are used across a range of medical specialties to improve patient outcomes. 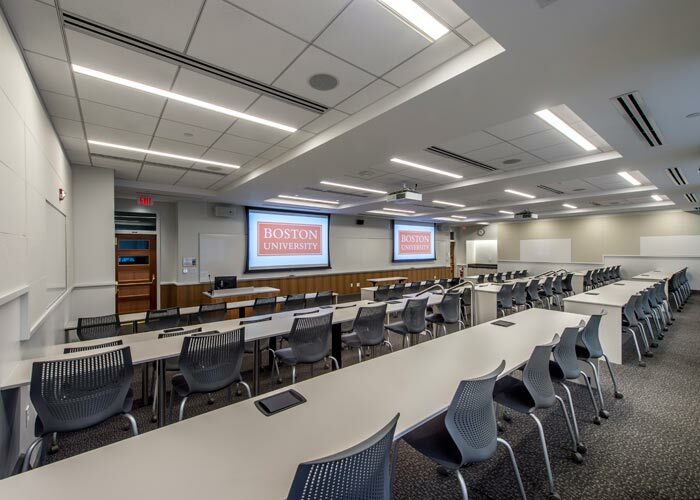 Boston Scientific supports healthcare practitioners in neurology, vascular, pulmonology, gastroenterology, cardiology, and orthopedics, among other disciplines. 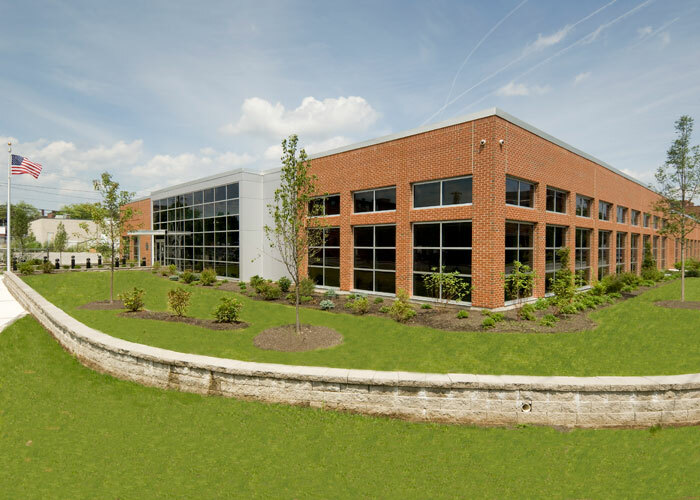 JM Coull constructed a 92,000 sf, three-story light manufacturing building and corporate headquarters for this leading analytical instrumentation company. 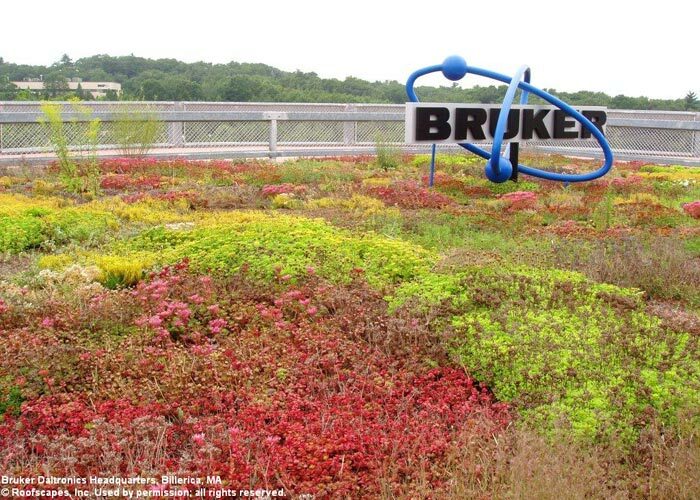 The facility provides Bruker with increased space to develop innovative mass spectrometry solutions for the life sciences industry. 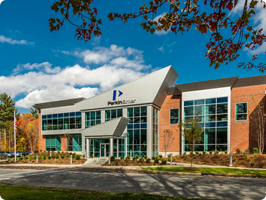 JM Coull was selected by Pall for 113,000 sf of renovations to its existing facility in Westborough. 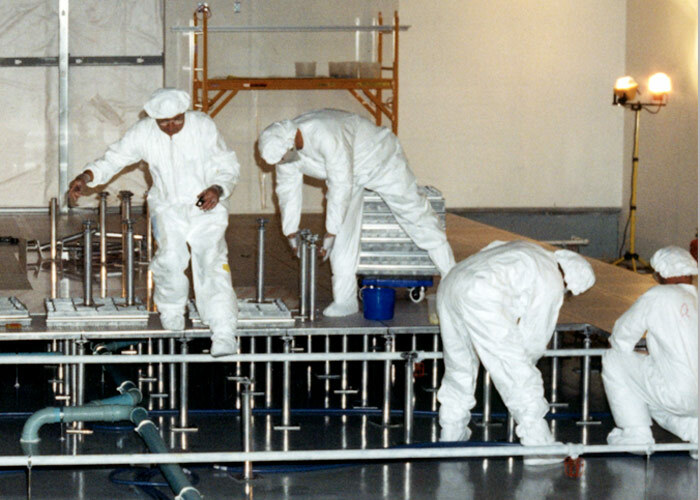 We enabled the company to maintain product development by expediting construction of one cleanroom; once validated by Pall, the balance of the cleanrooms were constructed. 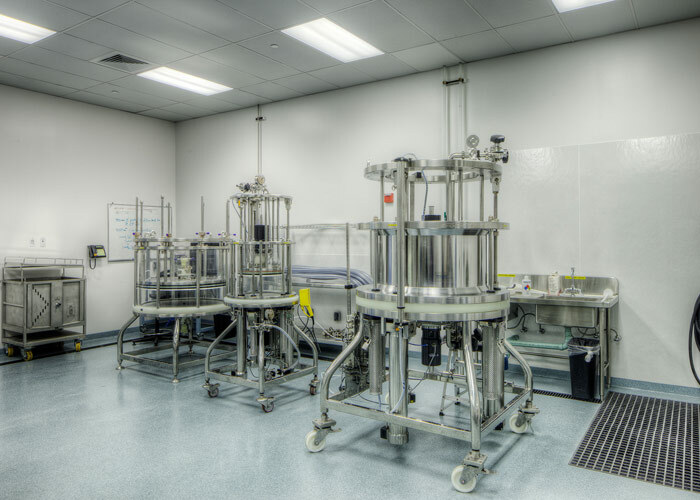 Pall delivers process solutions for biotech, pharmaceuticals, and biologics (plasma and vaccines), which have played a role in the development and manufacturing of life-saving drugs. 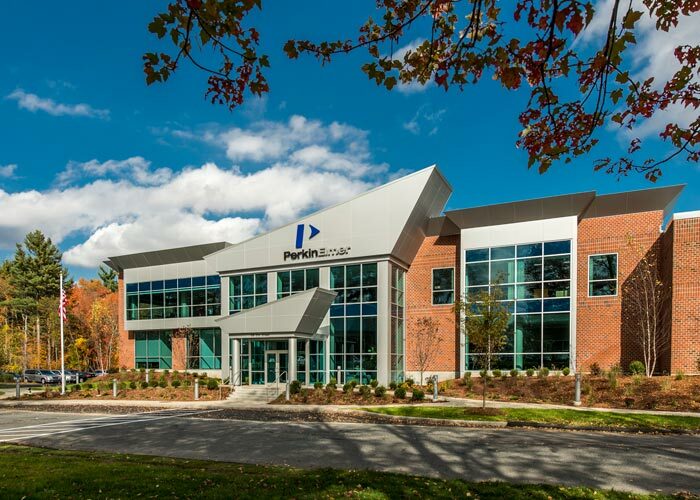 JM Coull was selected by PerkinElmer to construct the company's new $14.9 million center of excellence in Hopkinton, where PerkinElmer's operations were consolidated from its California, Chicago, and Montreal locations. 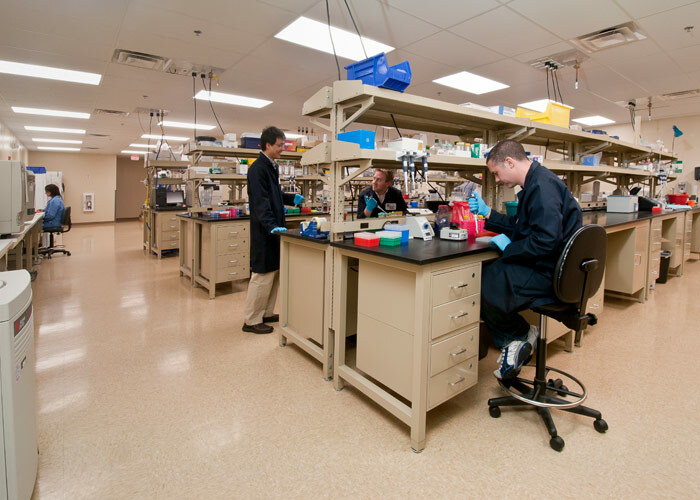 This multinational life sciences corporation provides innovative detection, imaging, and informatics systems for a range of applications, including newborn screening, cancer detection, infectious disease prevention, and cord blood and tissue banking. 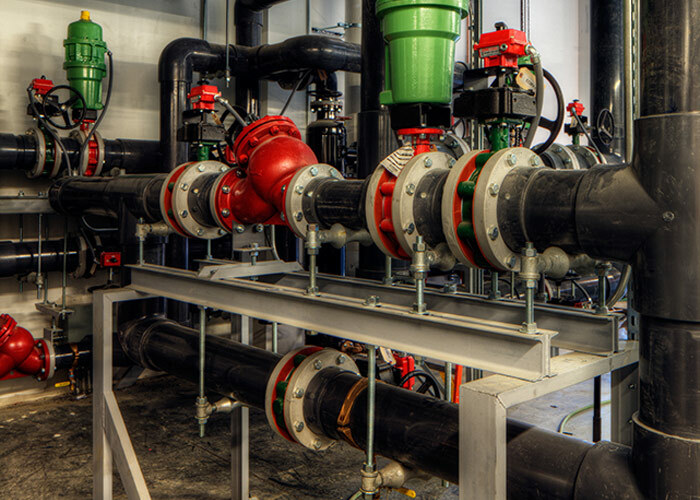 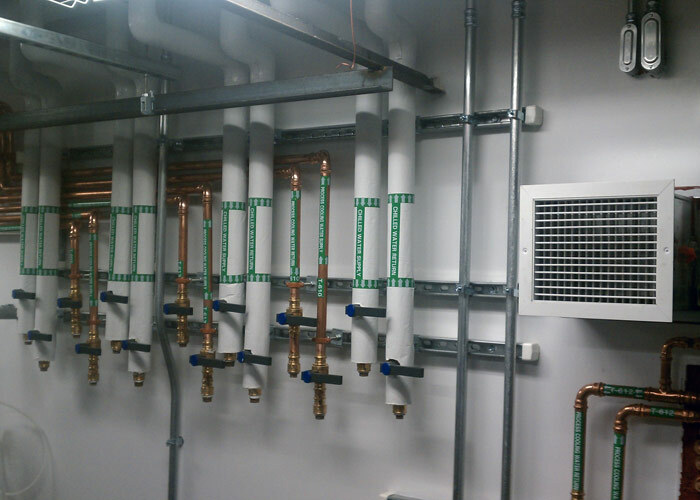 JM Coull rehabilitated a former industrial manufacturing space into a first class training facility for this manufacturer of wafer filtration systems. 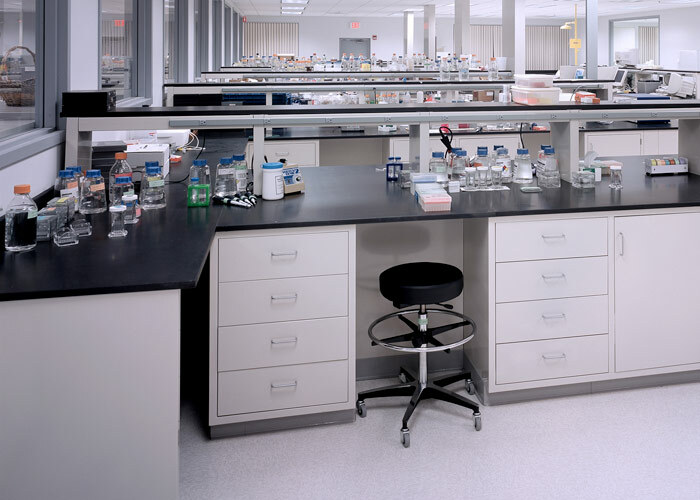 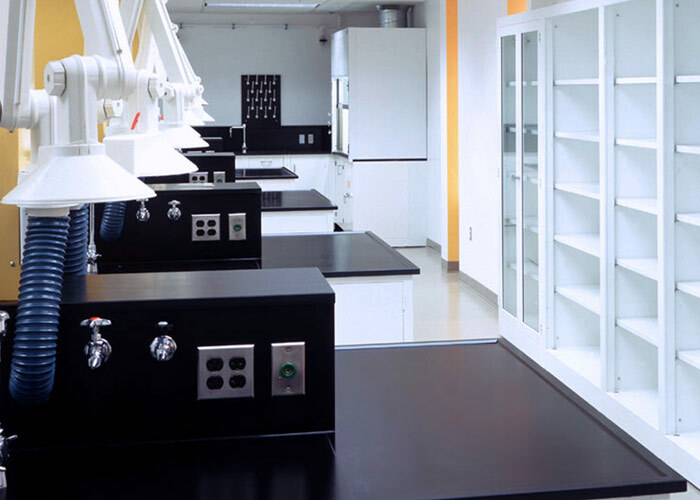 JMC renovated an existing industrial manufacturing facility to install new research, development, and production laboratories. 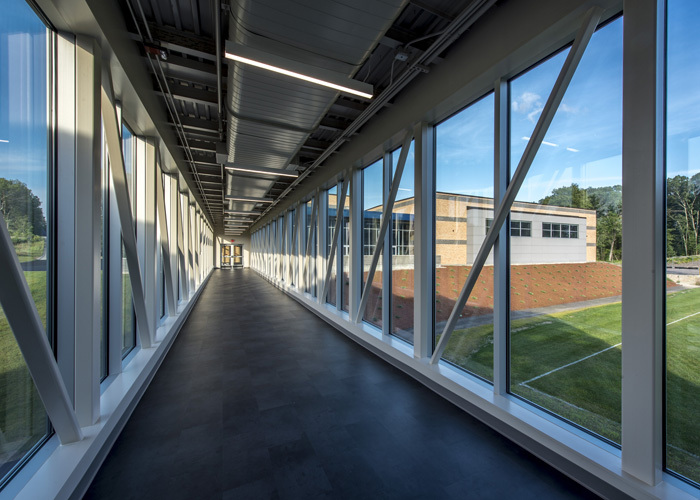 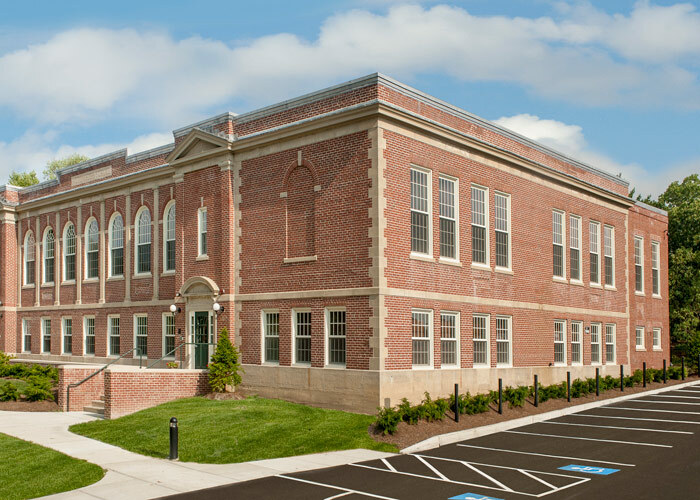 JMC, working with Dixon Salo Architects, constructed Whitinsville Christian School's new 33,000 sf fine arts center and gymnasium. 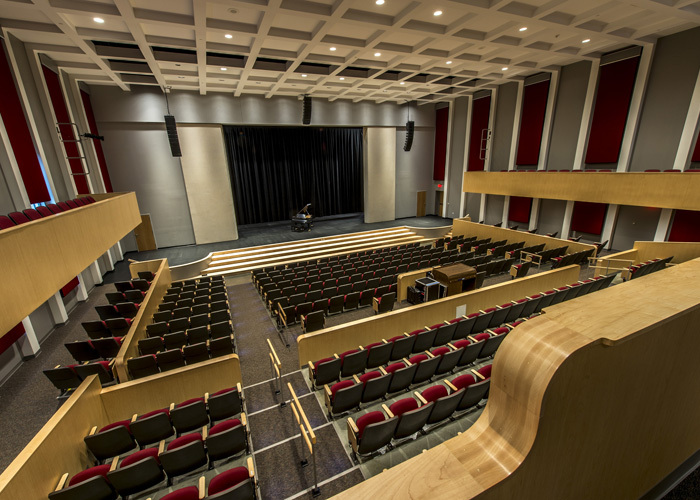 The theater includes a professional audio and acoustical system and provides a modern new space for the school's performances and musical productions. 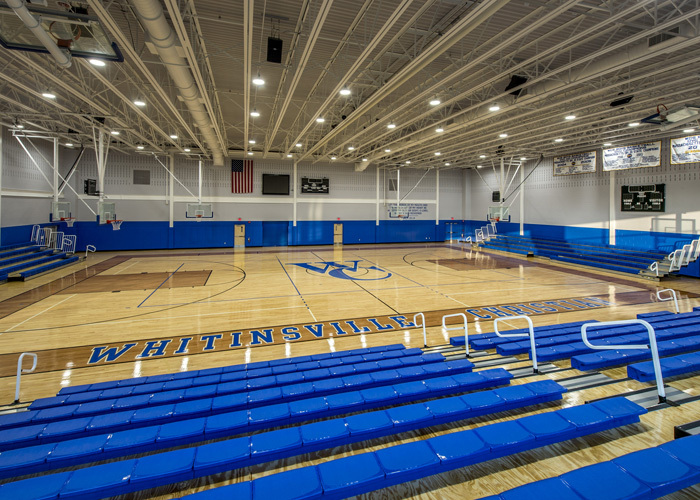 The gym is home to Whitinsville's boys and girls basketball teams, and hosts a variety of other athletic events. 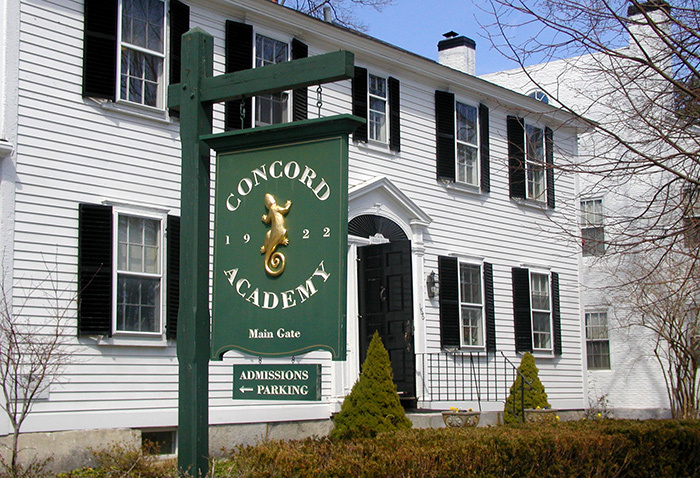 JM Coull served as construction manager for a number of projects at Concord Academy (an independent college preparatory school) located in the heart of historic Concord located in the heart of historic Concord. 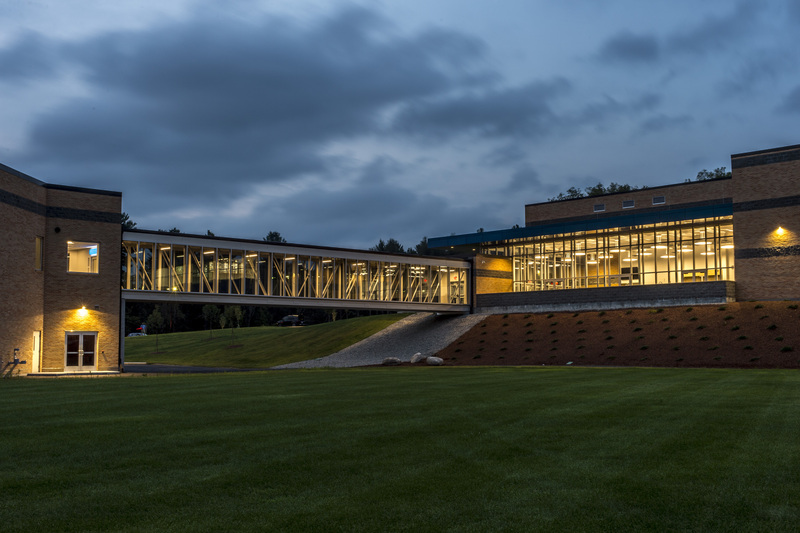 The 39-acre campus serves 400 students in grades 9 through 12, and brings a focus on creative problem solving and expression to its curriculum. 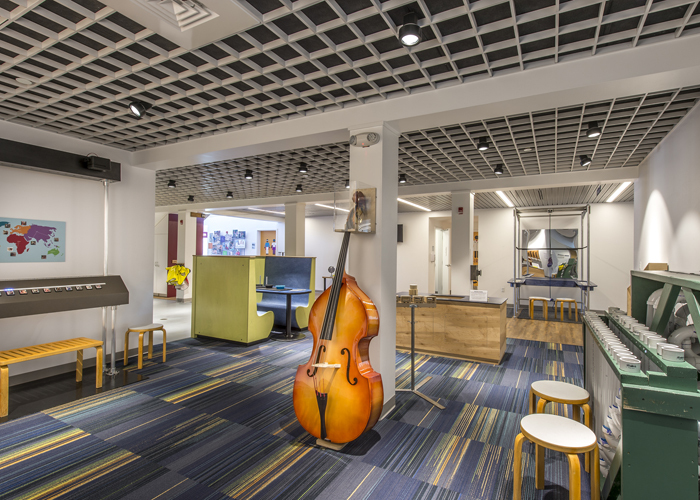 The renovations provided students, faculty, and staff with updated spaces while still maintaining the historical aesthetics of downtown Concord. 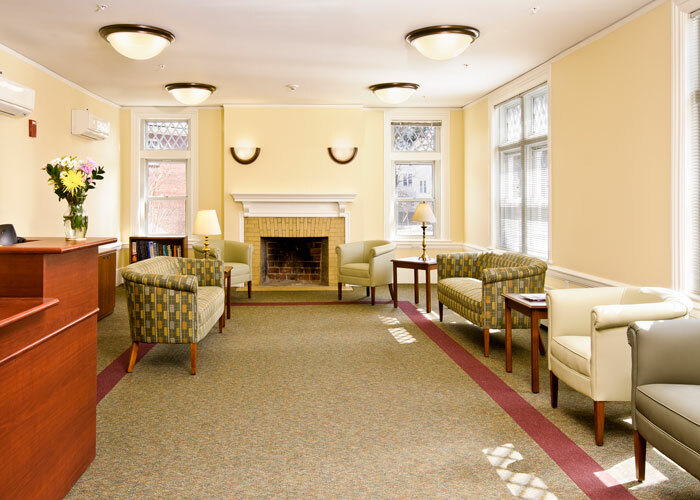 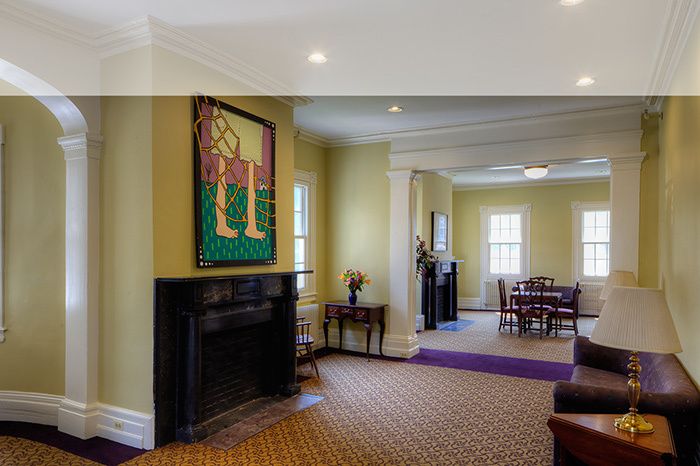 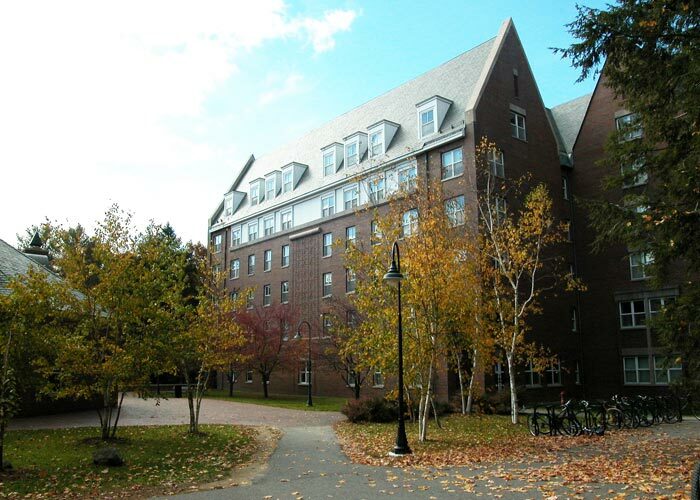 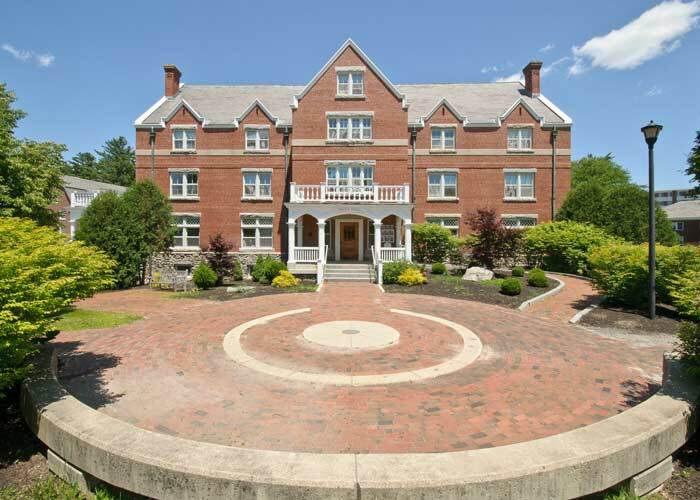 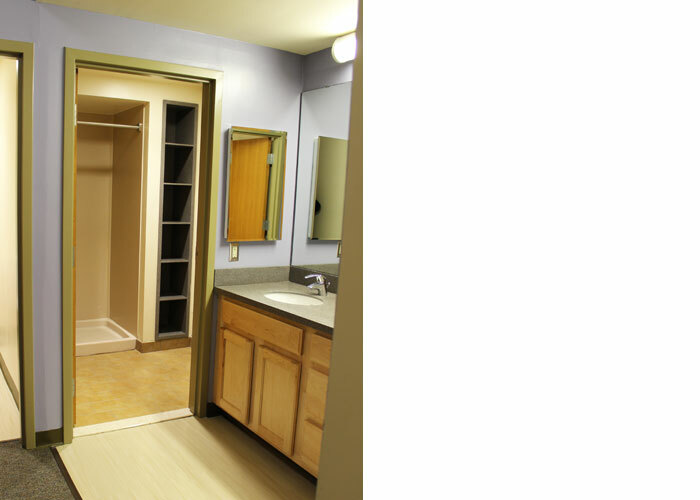 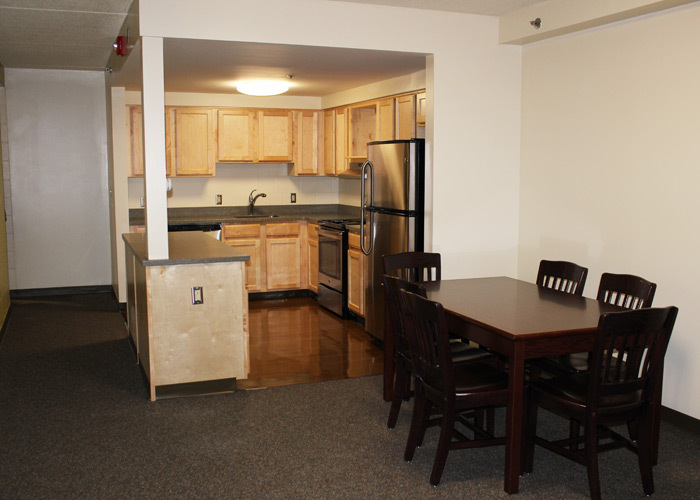 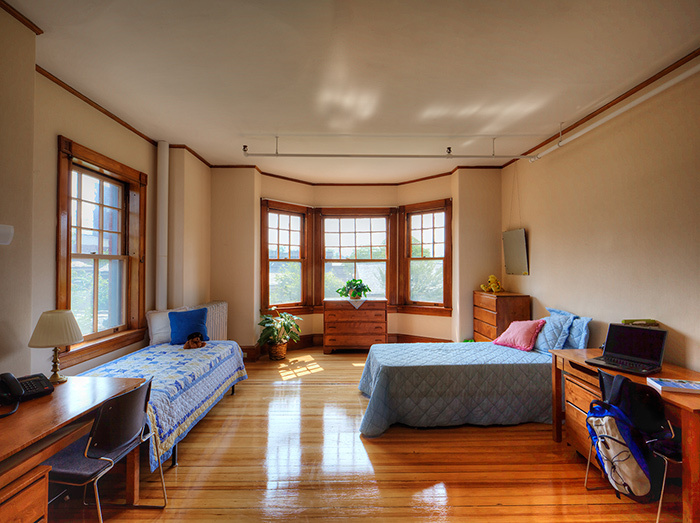 JM Coull completed renovations to six Smith College residence halls under this “summer slammer" project. 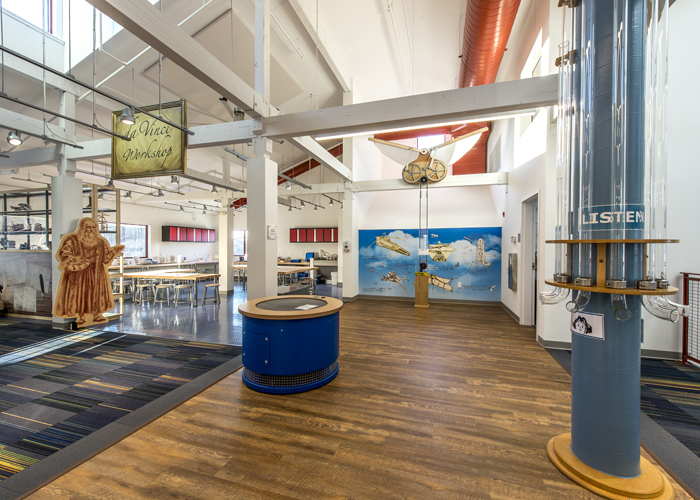 JM Coull was selected by The Discovery Museum for its 17,000 sf, multi-phase renovation and expansion project. 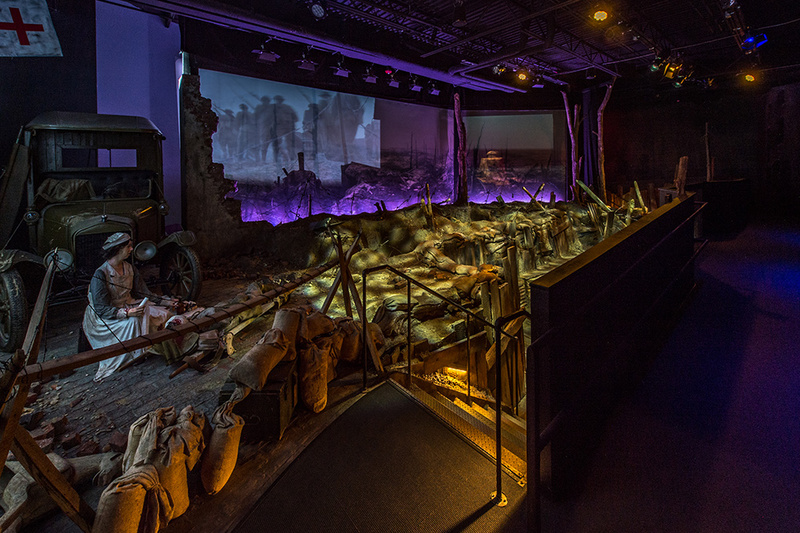 The new space enables the museum to provide visitors with enhanced hands-on learning experiences. 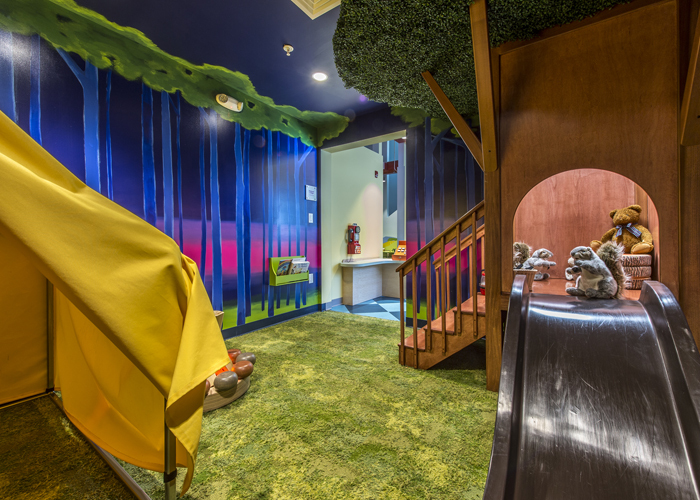 The project also achieves Discovery's mission to get children outside to play and explore their natural environment. 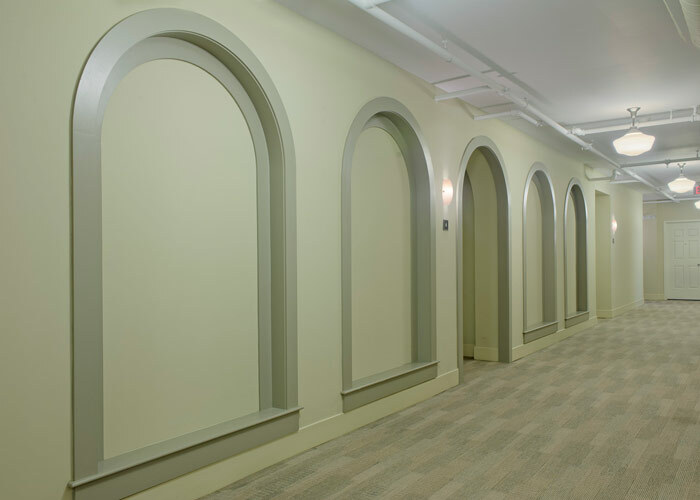 Architect: Cambridge Seven Associates, Inc.
JM Coull renovated 101 apartments in the Gables A, B and C apartment buildings as a “summer slammer" project. 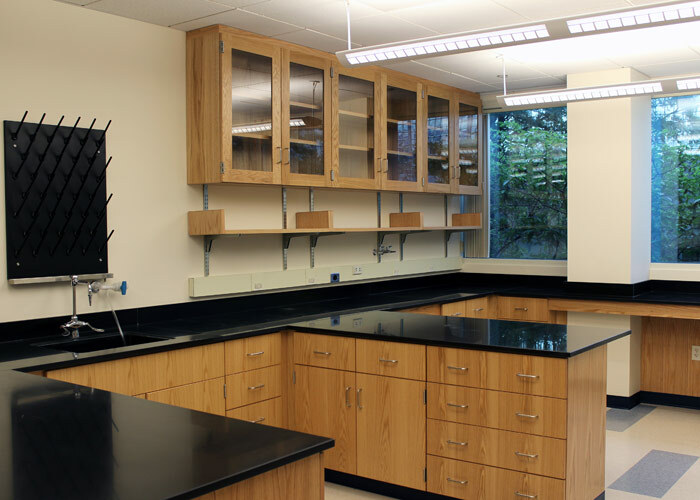 JMC updated kitchens, entry closets, common rooms, bedrooms, vanities, showers, toilets, and interior corridors as well as the main hallway on each floor. 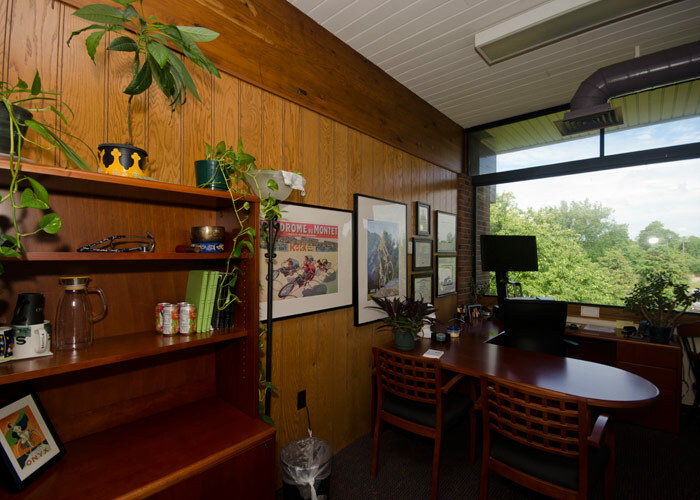 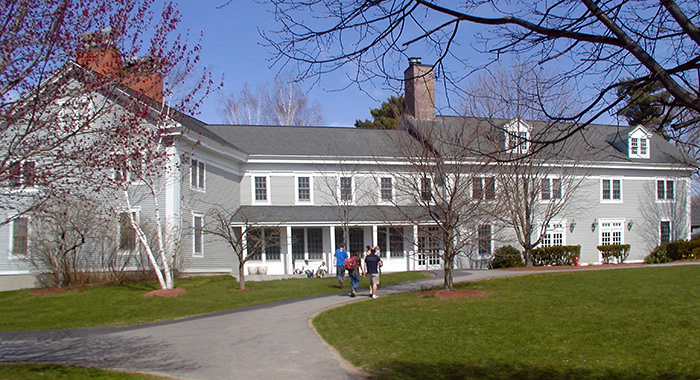 JM Coull transformed a former dormitory on the UNH campus into office space for several departments. 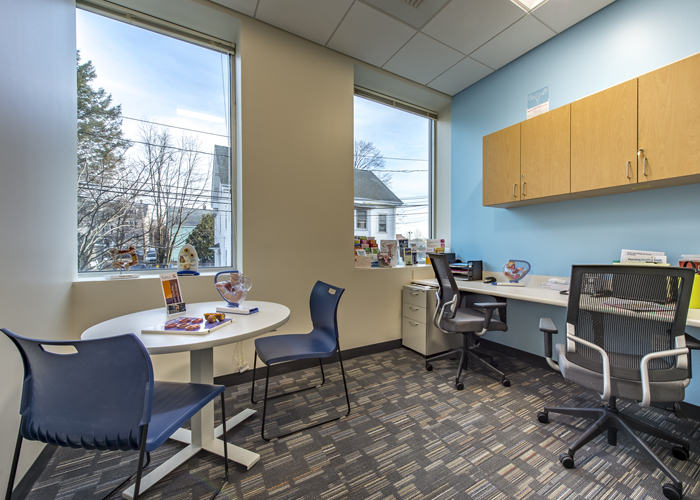 The new space houses the Admissions Department, Counseling Center, the Center for Academic Resources, and Disability Services for Students. 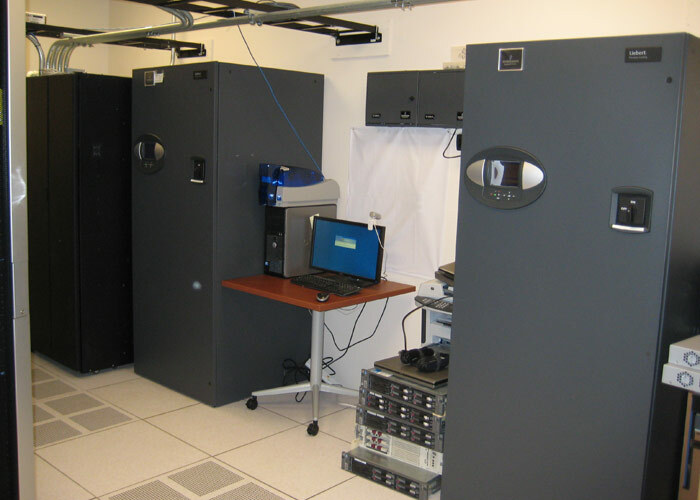 JM Coull constructed UNH's Imaging Core Facility, located within the university's Instrumentation Center. 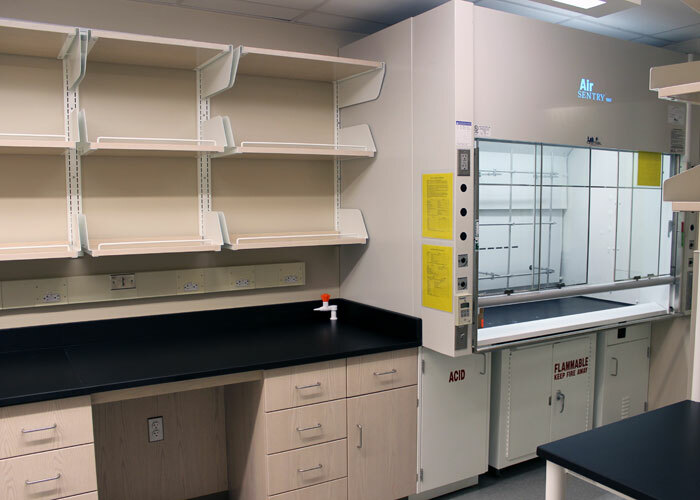 The project involved relocation of UNH's transmission electron microscope to the space, as well as lab renovations to accommodate students' research. 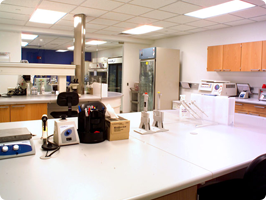 The space is primarily used by UNHs' chemistry and molecular, cellular, and biomedical sciences departments, but is available to industry and other academic institutions. 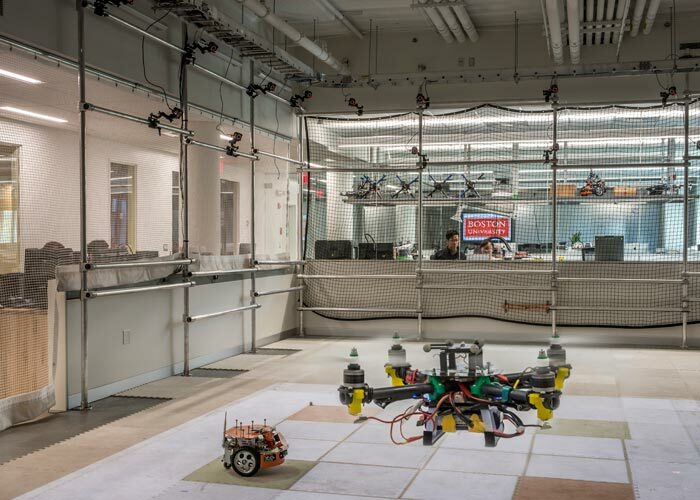 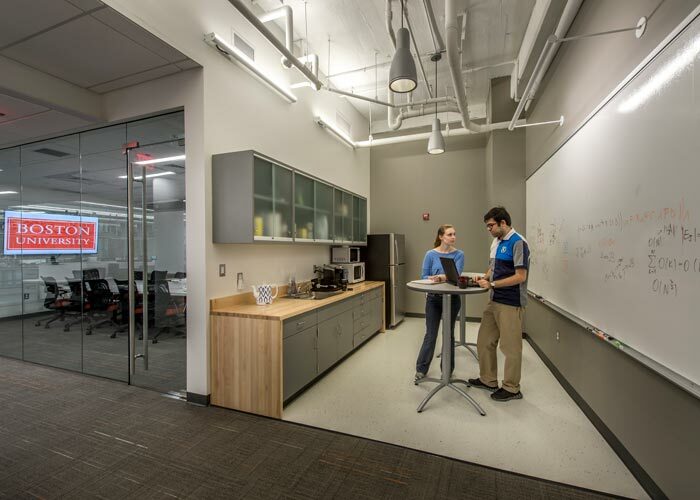 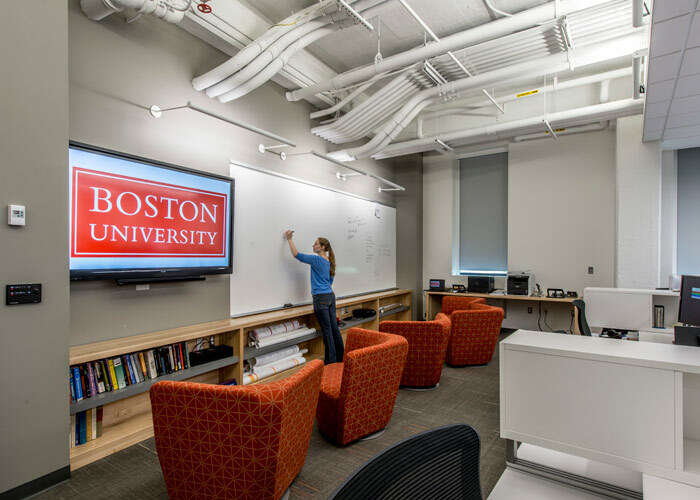 JMC developed an existing ground–floor-level, vacant space into a new state-of-the-art robotics engineering R&D lab in BU's Engineering Product Innovation Center (EPIC). 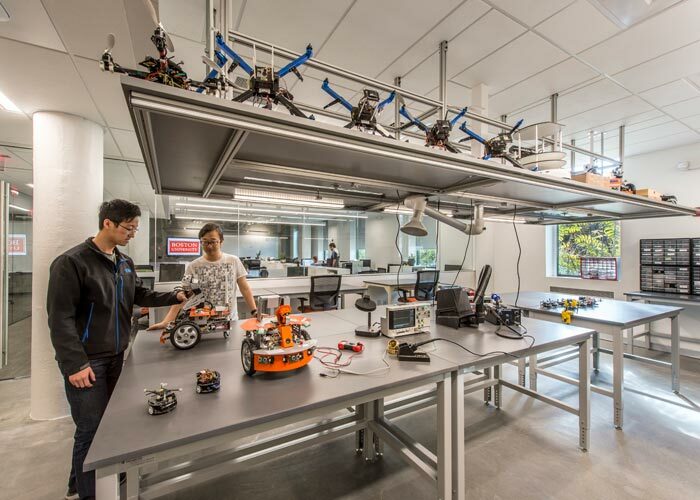 The lab is equipped with the latest technology and enables faculty and students to design, develop, and test their projects. 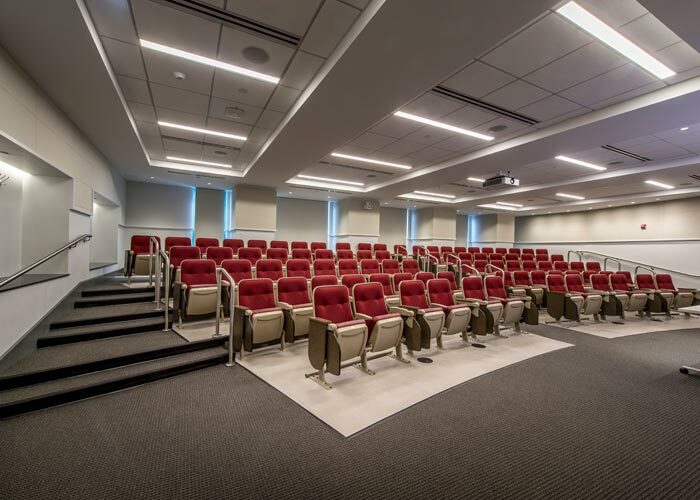 JMC renovated four traditional classrooms on the lower level of the CAS building to create two new lecture halls totaling 2,900 sf. 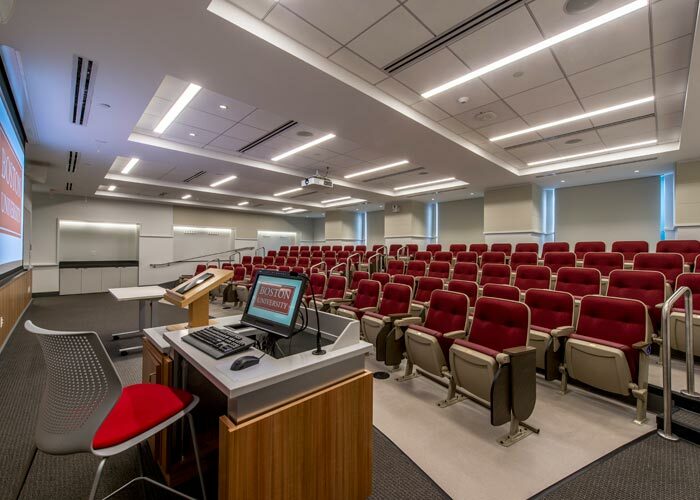 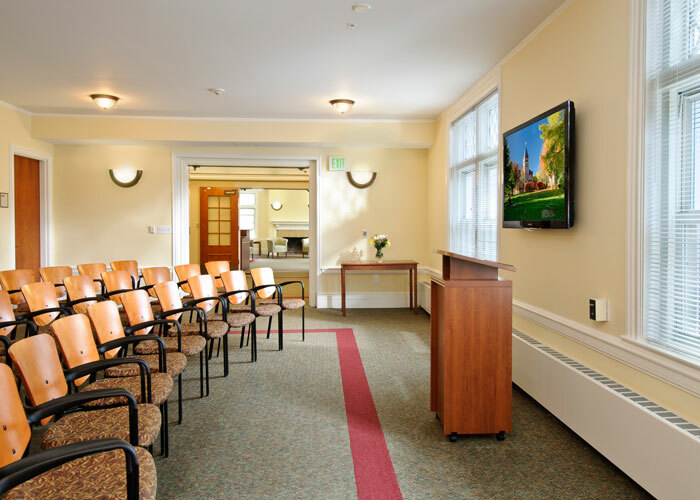 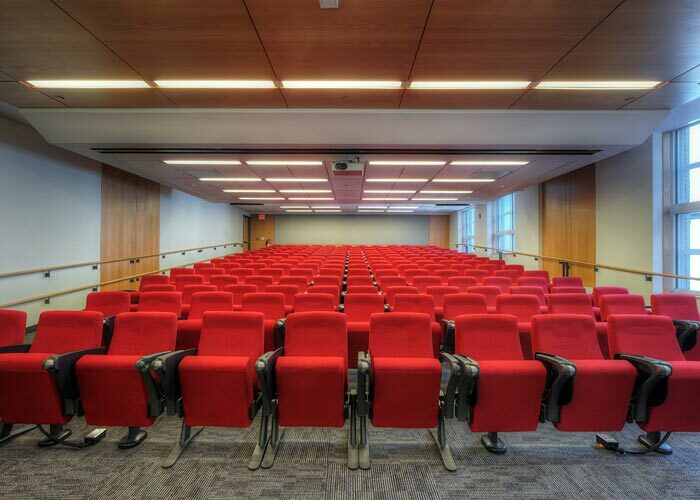 The tiered-lecture setting in each room was designed to enhance professor/student interaction with clear visibility that accommodates student and faculty needs. 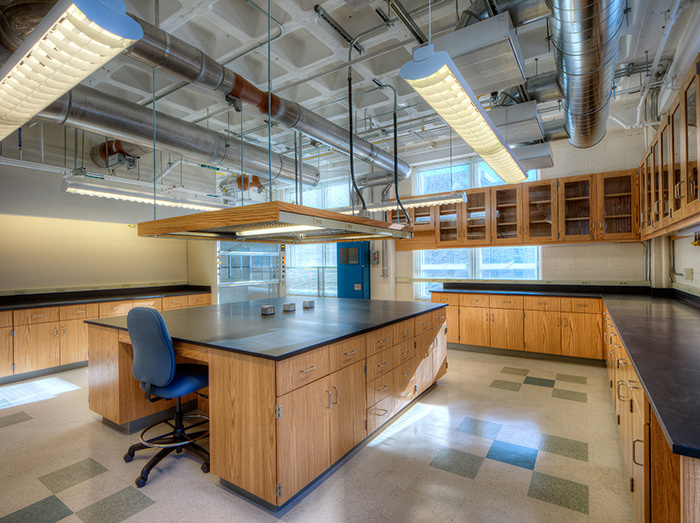 JM Coull provided gut renovations to six laboratories in the Egan Engineering/Science Research Center – Labs 157, 160, 216, 230, 231, and 464. 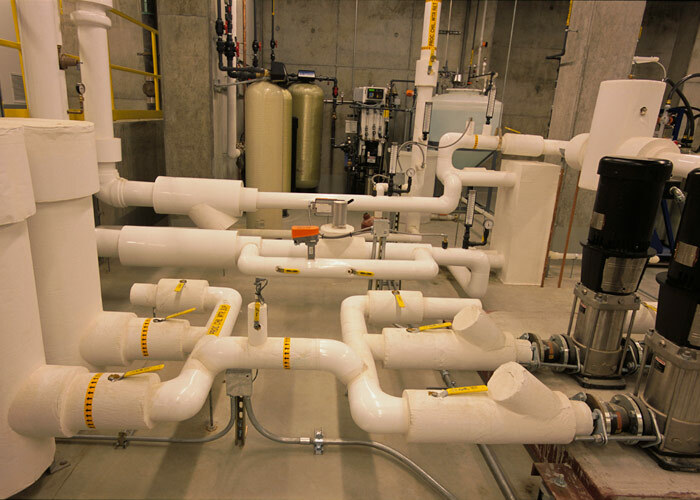 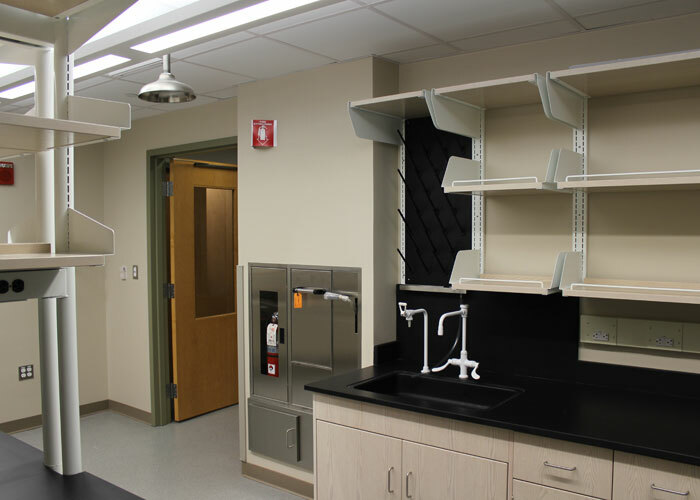 JMC worked with Northeastern's commissioning agent to perform functional testing of all MEP systems and to ensure labs were operational prior to move-in day. 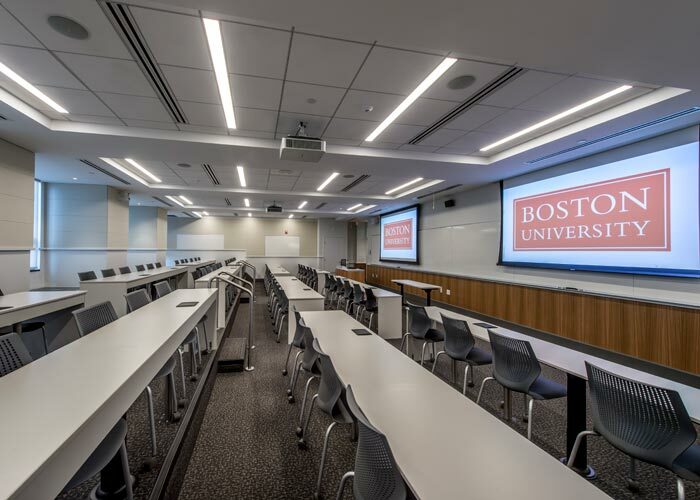 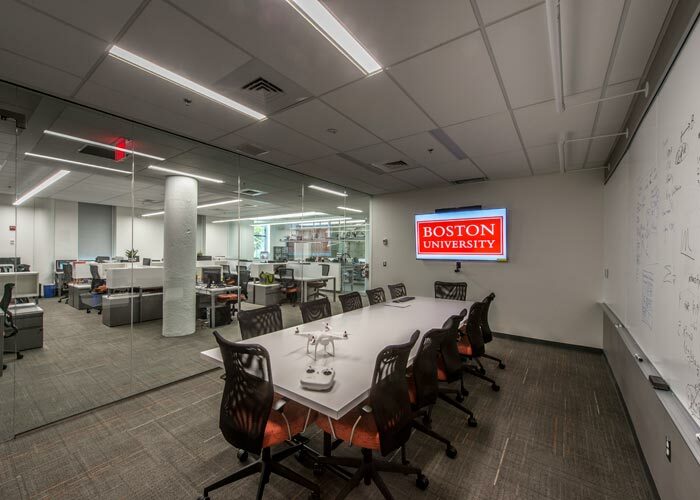 JMC performed renovations to multiple classrooms, offices, and laboratories in the Mugar Life Sciences Building and Forsyth Building totalling more than 7,300 sf. 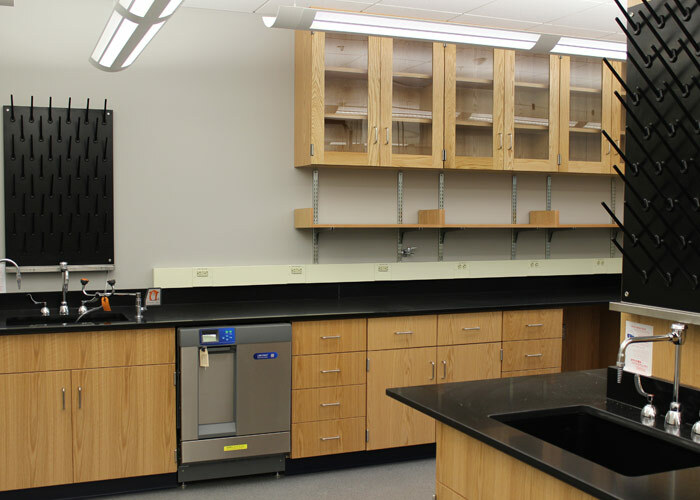 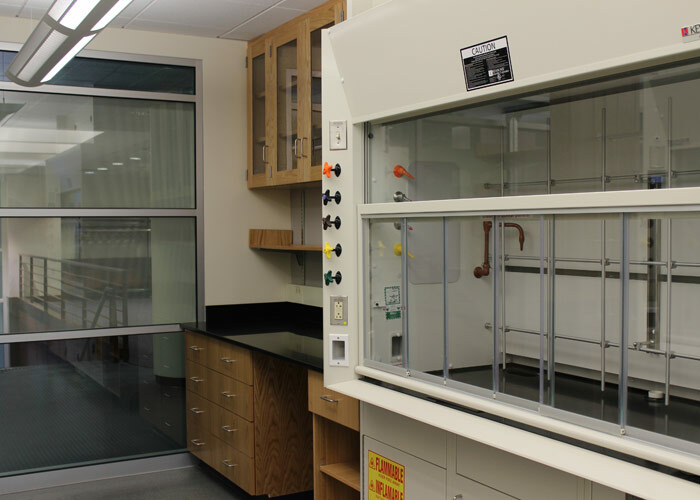 The labs provide students and faculty with updated space to conduct a variety of important research, and the upgraded lecture hall and offices offer modern learning and working environments. 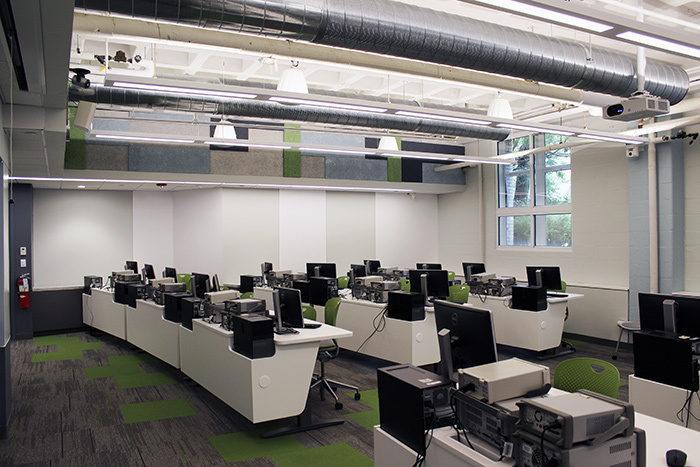 JM Coull renovated two classrooms in Hayden Hall 009, which involved demolition of flooring and abandoned utility piping, conduit, ductwork, and junction boxes. 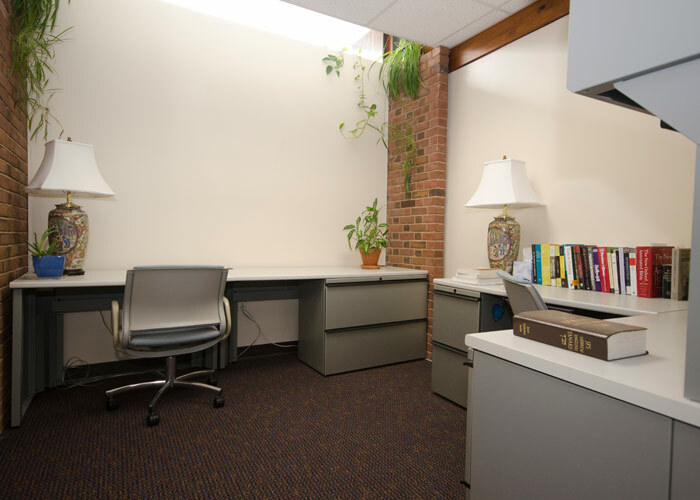 Existing equipment and furniture were also removed from the space. 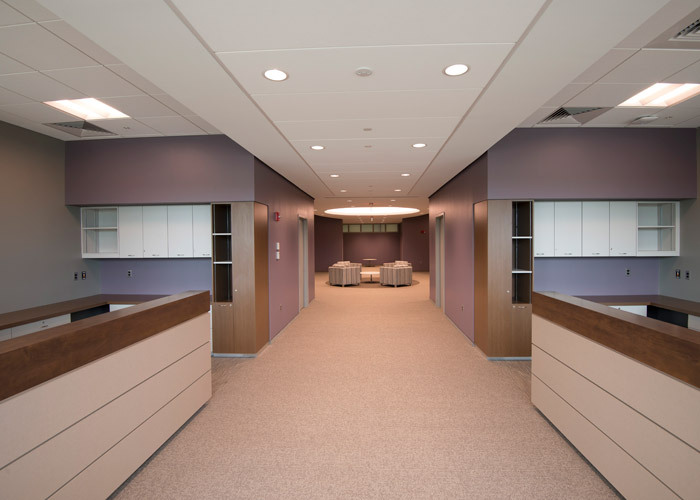 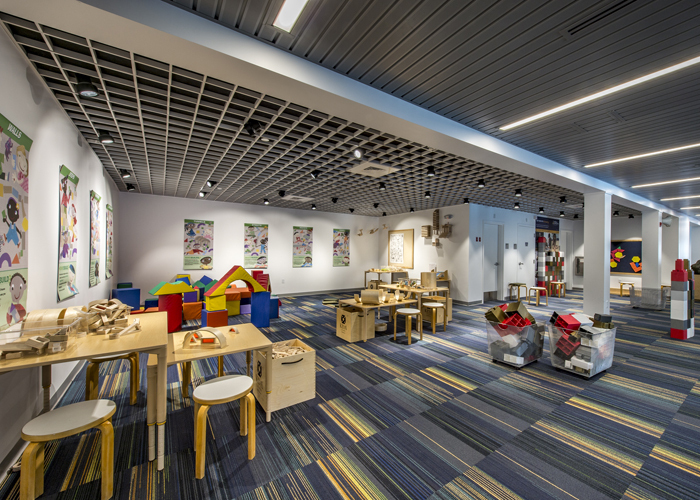 JMC constructed the Lifespan Emotional Development Laboratory (LEDlab) to accommodate the research of an incoming psychology professor at Northeastern University. 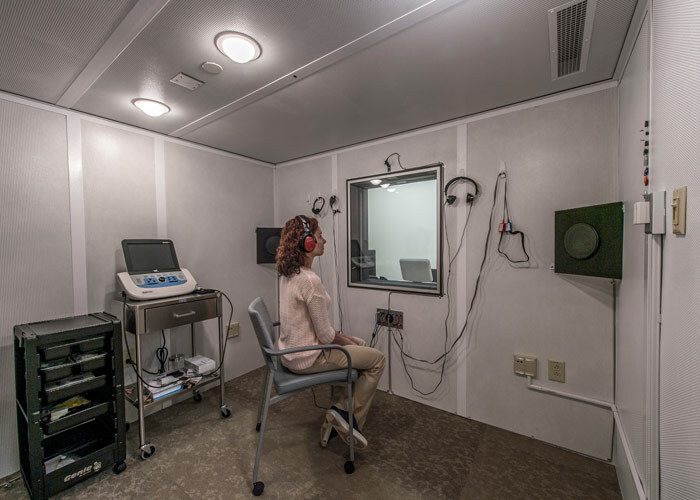 The lab provided a new space for research on the links between attention and emotion throughout the adult lifespan to determine how individuals of different ages manage their emotions. 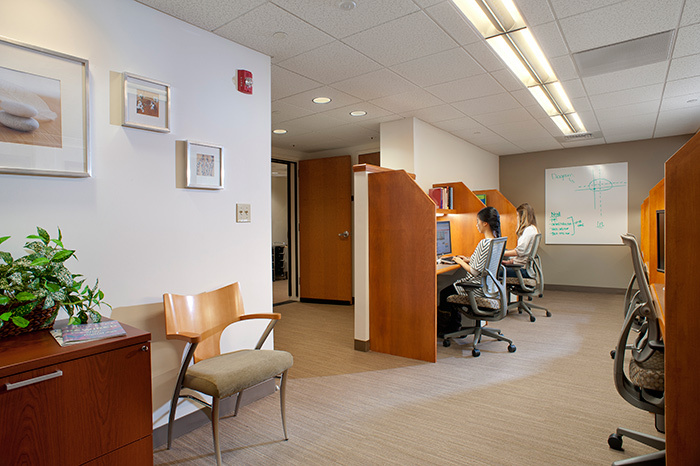 Research is also performed to determine what role attention plays in emotion regulation and maintenance of well-being. 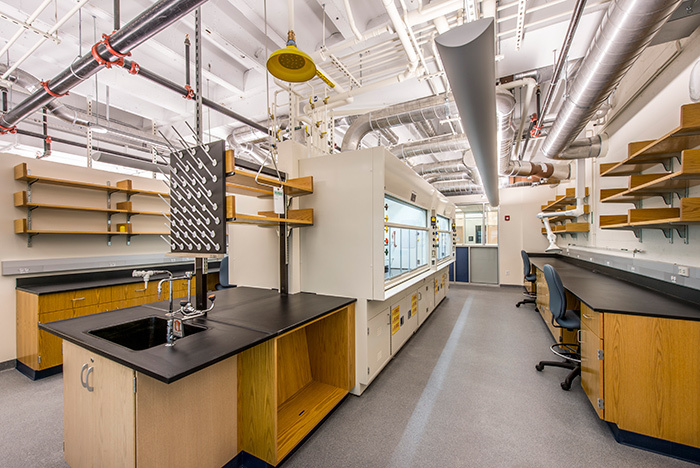 The Mugar Life Sciences Building is home to the Psychology, Biology, and Chemical Engineering Departments, as well as the College of Pharmacy that houses numerous laboratories and classrooms. 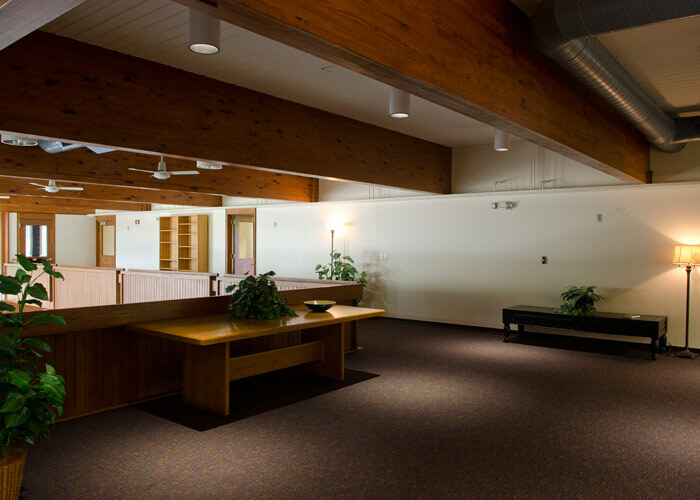 JM Coull completed multiple projects within this occupied building while keeping the facility accessible throughout construction. 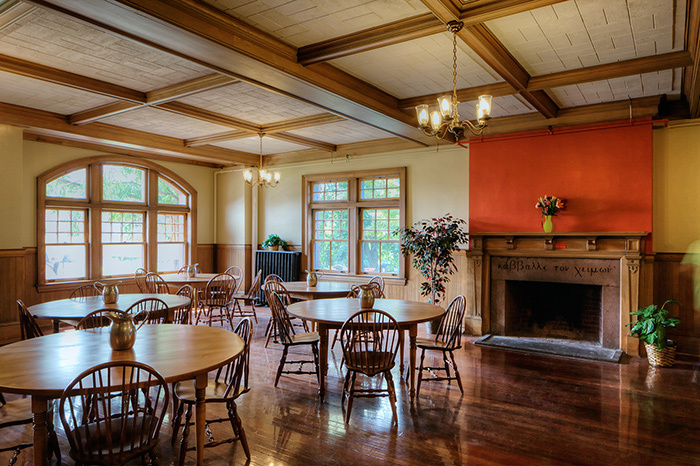 This complete interior and exterior gut and renovation of a historic school yielded 15 residential apartments to provide residents with an affordable housing option. 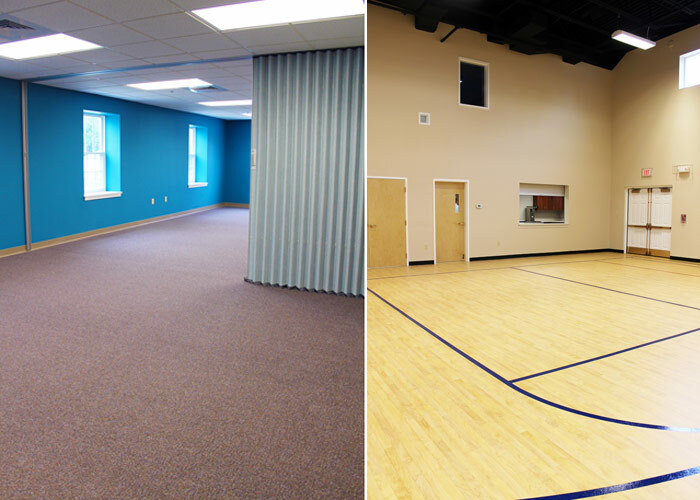 JMC's scope called for a 7,700 sf addition and select updates to existing spaces for this church in Acton. 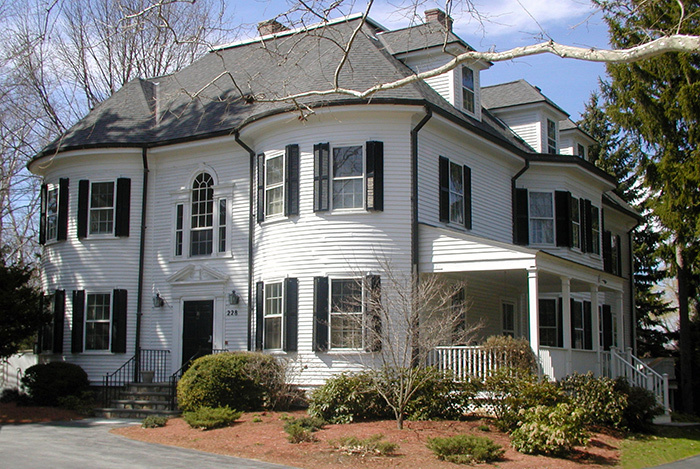 Church members were involved in fundraising efforts, and some were also directly involved in the project itself – several members donated labor and services. 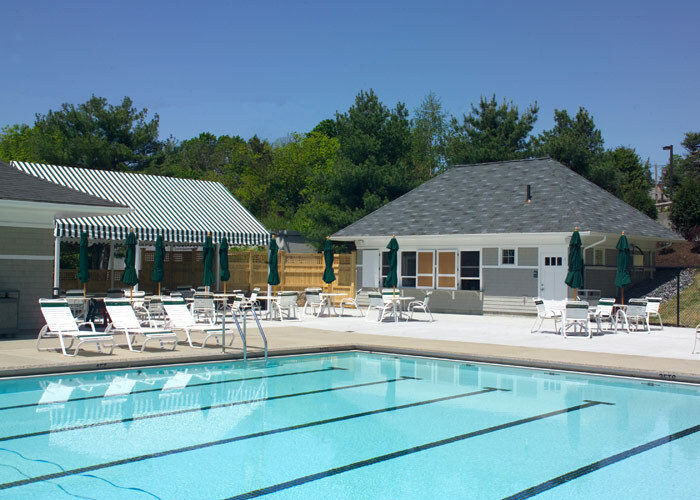 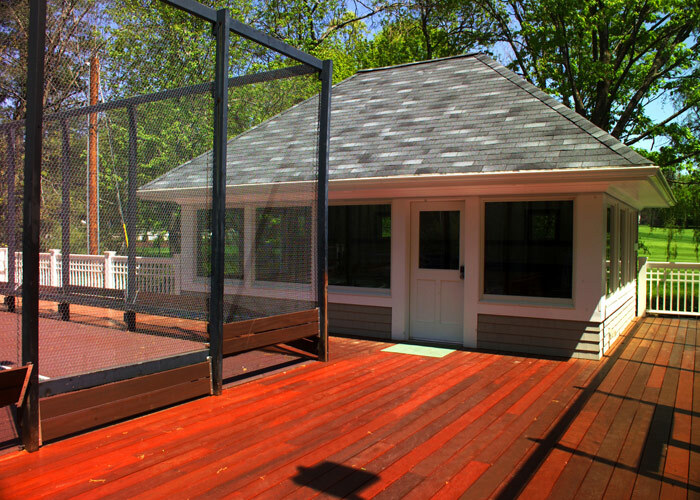 JM Coull completely gutted and renovated a pool house, adding valuable new concrete pool deck space, and built a new snack bar for Brae Burn Country Club. 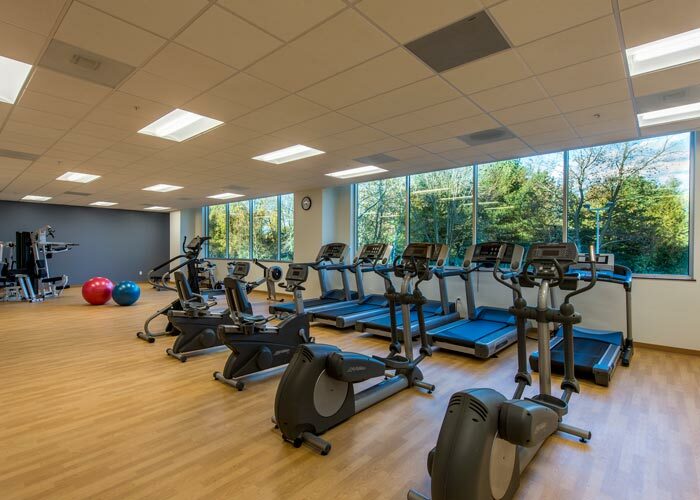 JM Coull completed this two-phase, fast-tracked project to provide Nashawtuc Country Club with additional space for it operations. 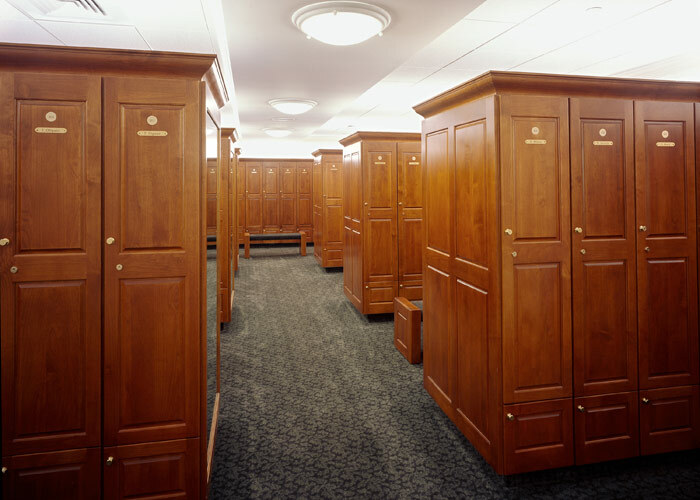 Construction took place while the club was in operation and was completed, as scheduled, prior to a PGA golf tournament. 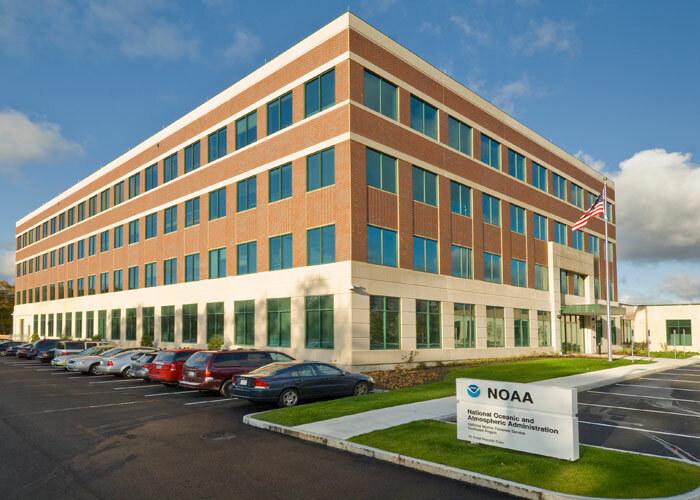 JM Coull was selected to construct a new 97,000 sf facility for NOAA to house the organization's fishery operations, Habitat Conservation and Restoration Departments, and Protected Resources Department. 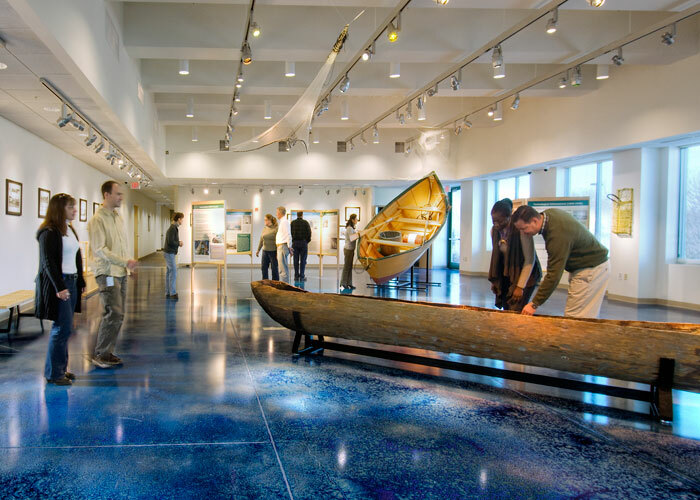 The Gloucester office hosts a variety of regional events through its outreach program, and the facility's museum serves as a venue to educate the public on marine life and conservation efforts. 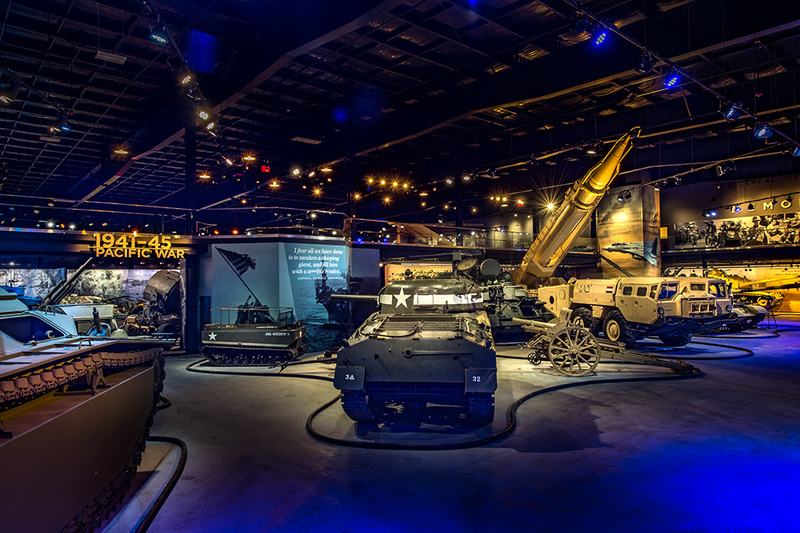 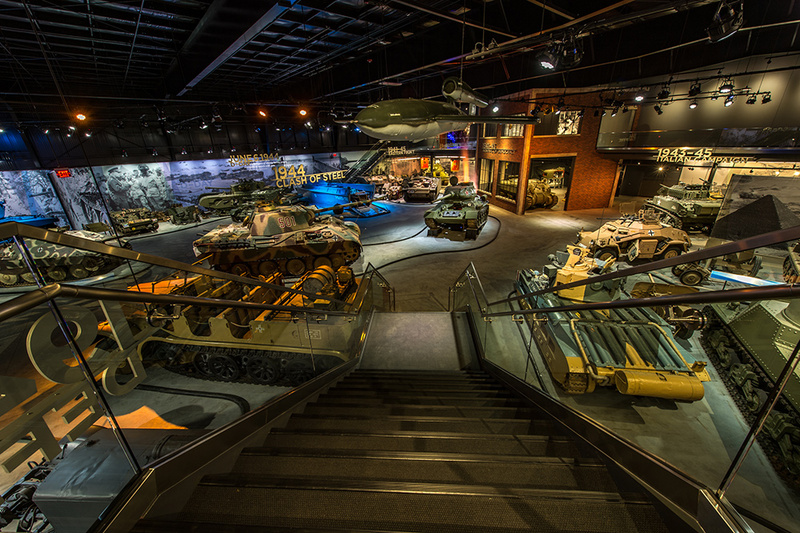 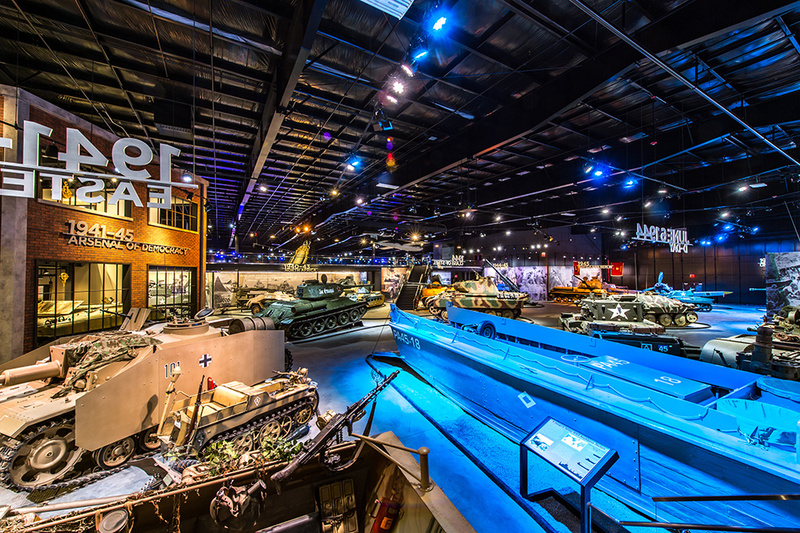 This project involved design-build construction of a new 65,000 sf museum to display the United States' largest private collection of vehicles from the country's past military conflicts. 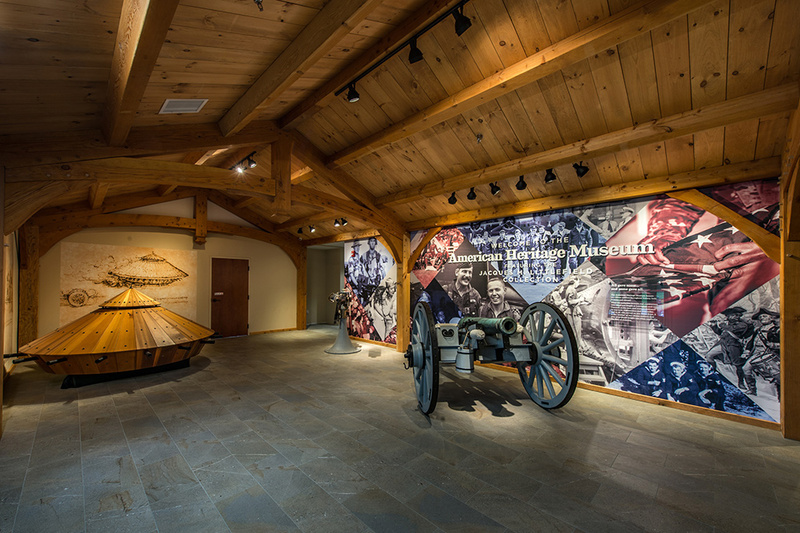 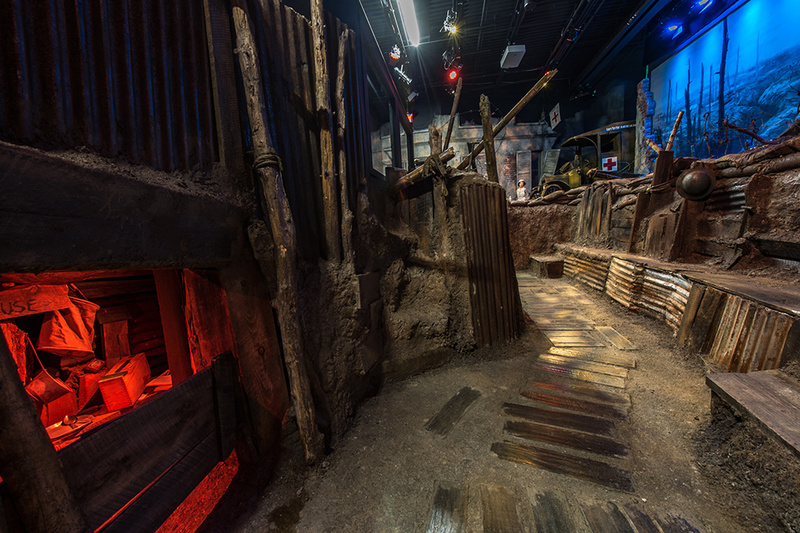 Established in 1979, the Collings Foundation’s goal is to enable visitors to learn about the country’s heritage through "living history" events and interaction with historical artifacts. 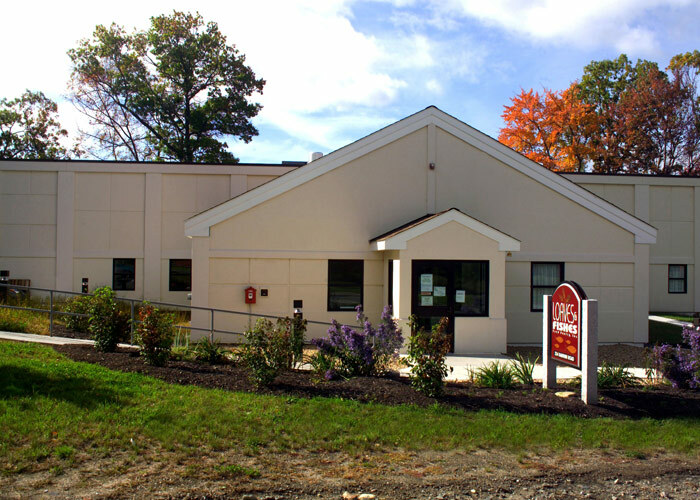 JM Coull constructed Loaves & Fishes' food pantry and administrative offices on Barnum Road in Devens, MA. 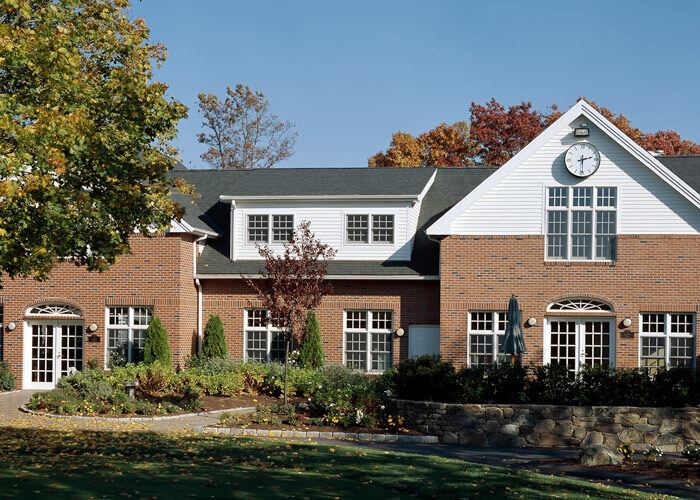 The organization provides food and support to communities throughout Devens, Ayer, Groton, Harvard, Littleton, and Shirley. 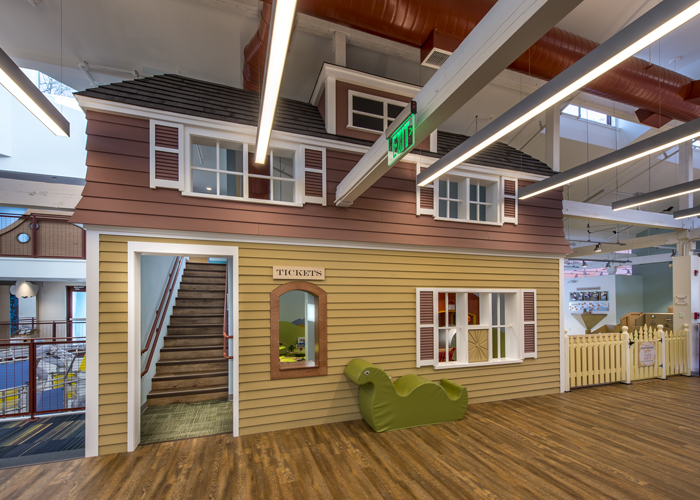 We continue to be involved with Loaves & Fishes through its annual toy drive during the holidays and participation in other events. 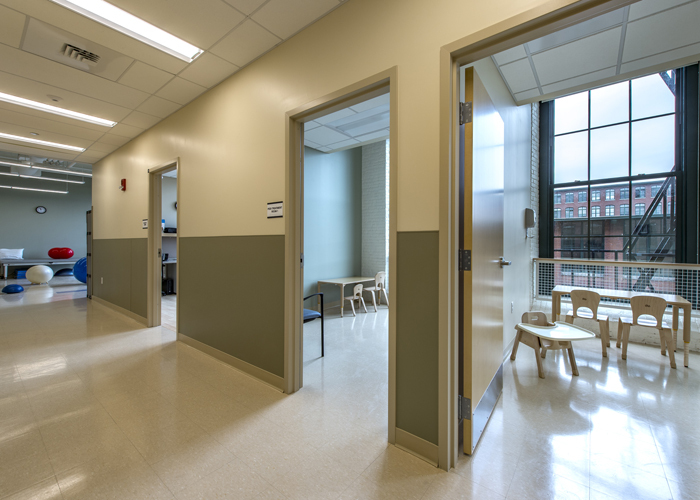 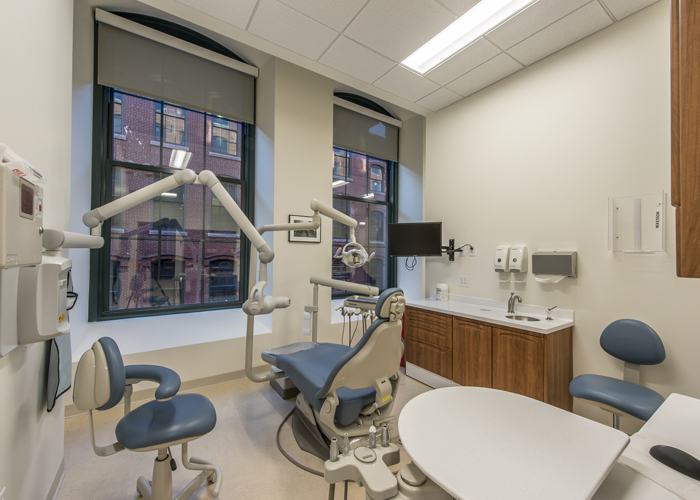 JMC renovated 72,000 sf of space across 3 floors in a former mill building in Lowell to create a new medical facility for Lowell Community Health Center (Lowell CHC) patients. 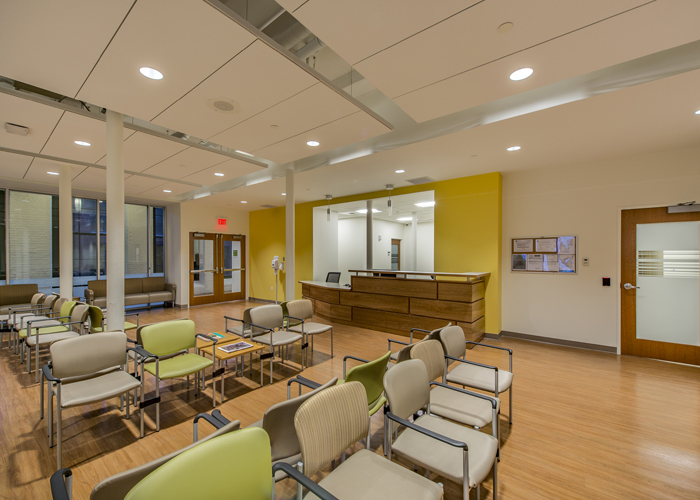 The space enables Lowell CHC to expand its reach within the community by providing increased access to quality, affordable, and convenient medical care. 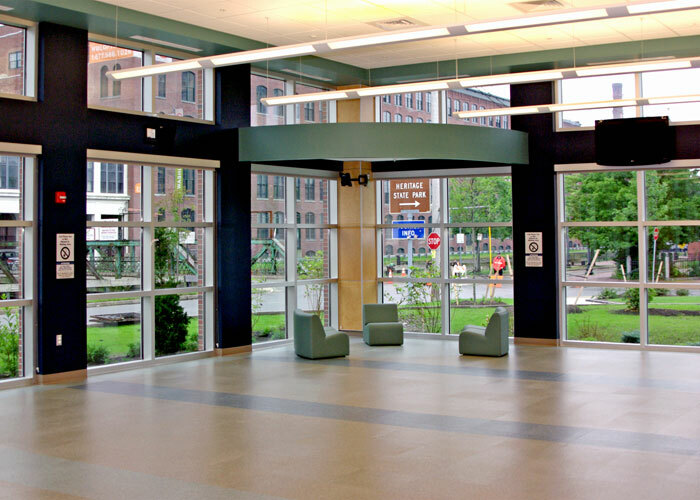 The project marks JMC's third with Lowell CHC. 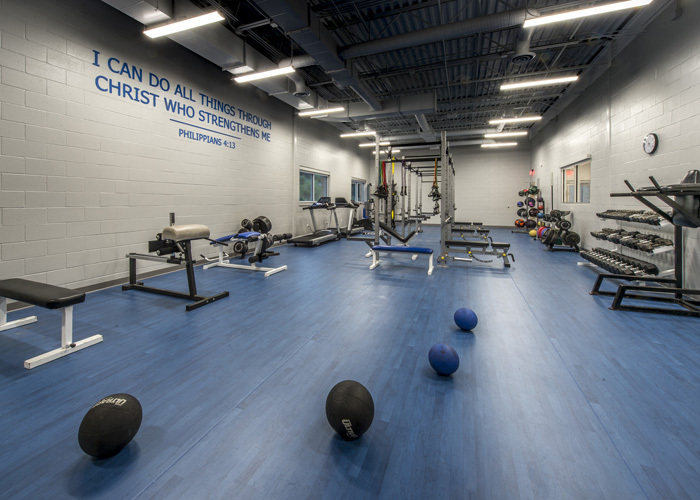 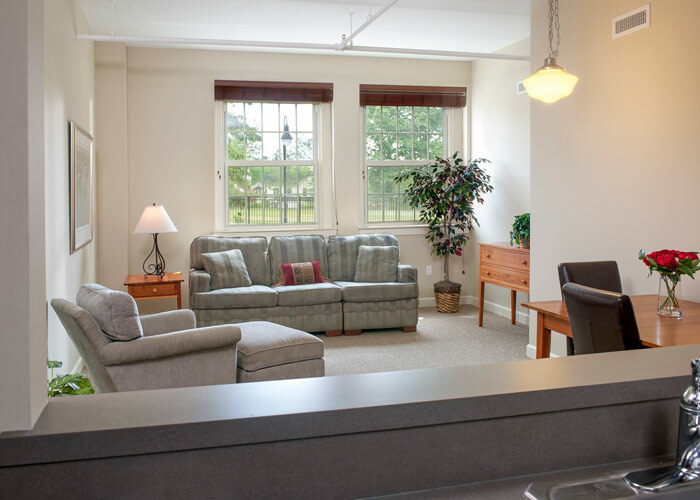 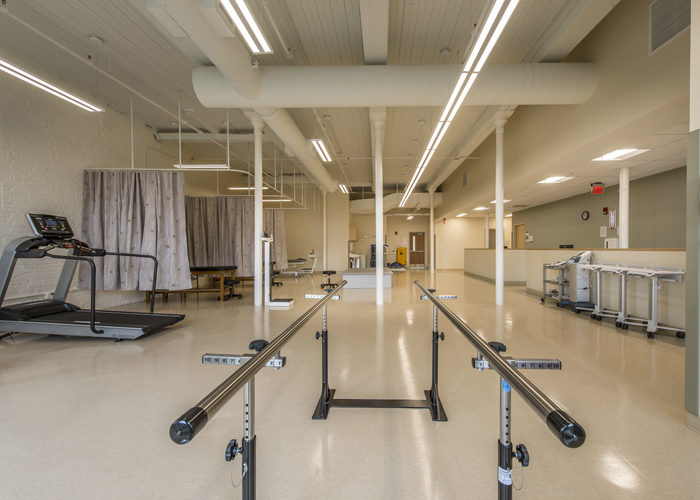 JM Coull renovated 6,000 sf of space in a former mill building to create a new orthopedic facility for Northeast Rehab. 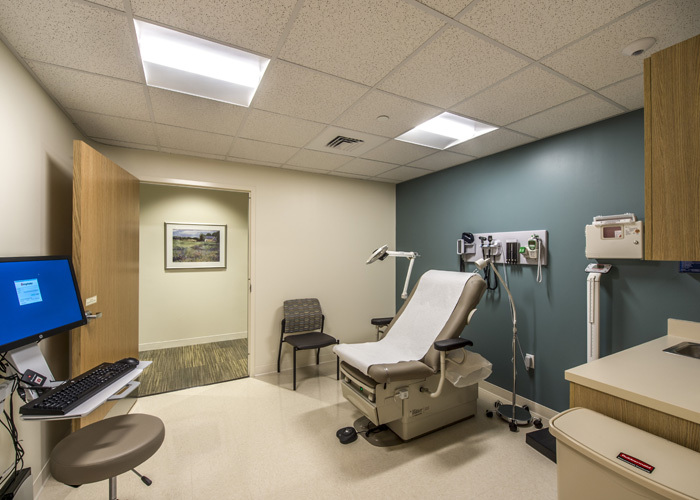 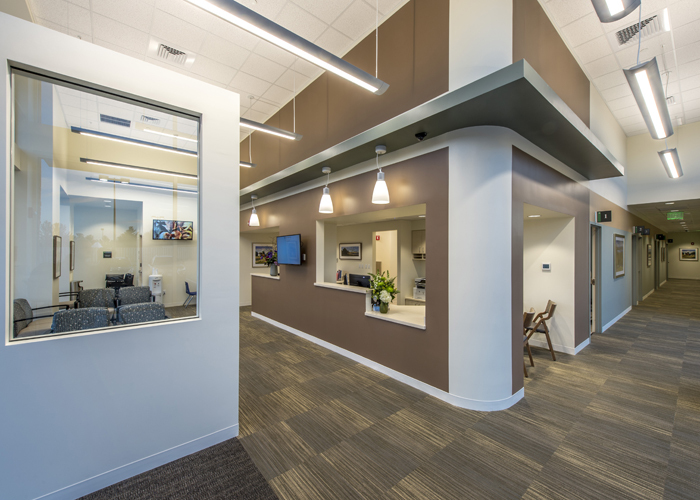 The space abuts Lowell Community Health Center’s expansion into the same building (renovations also performed by JMC), providing patients with a central location for a variety of medical needs. 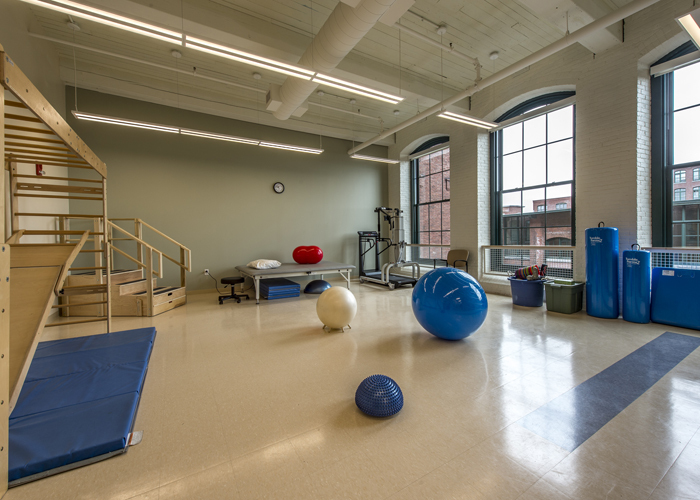 Northeast Rehab provides comprehensive outpatient services for adults and children, including programs for stroke recovery, brain injury recovery, orthopedic recovery, and sports injuries. 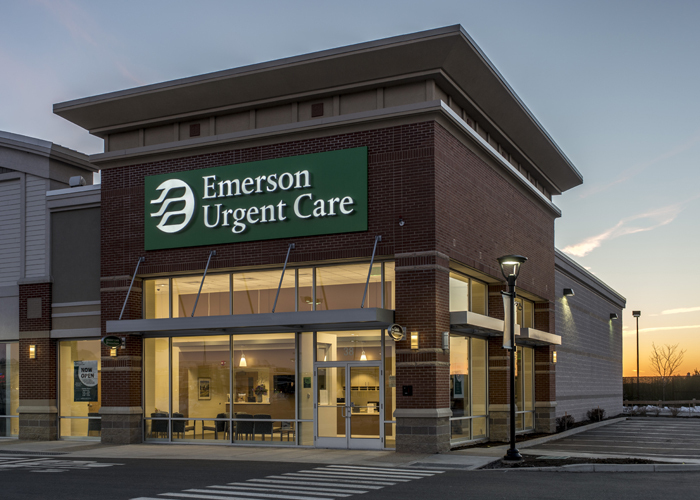 JMC constructed two urgent care centers for Emerson Hospital, which were the first such facilities for the hospital. 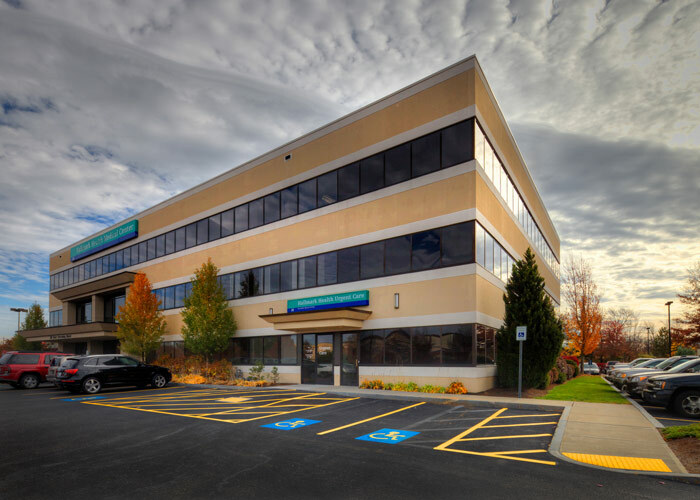 The 5,000 sf and 8,400 sf centers are located within Highland Commons in Hudson and The Point in Littleton, respectively. 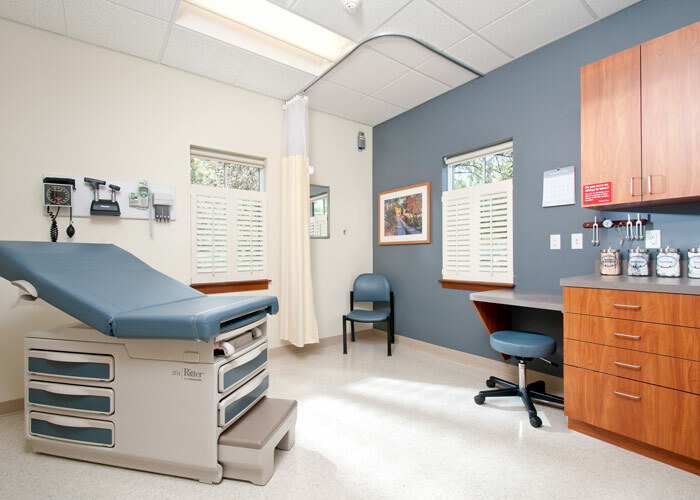 With board-certified physicians, both facilities treat patients with sudden illnesses that require immediate attention, but are not life threatening, such as a rash, cough, cut, or minor injury. 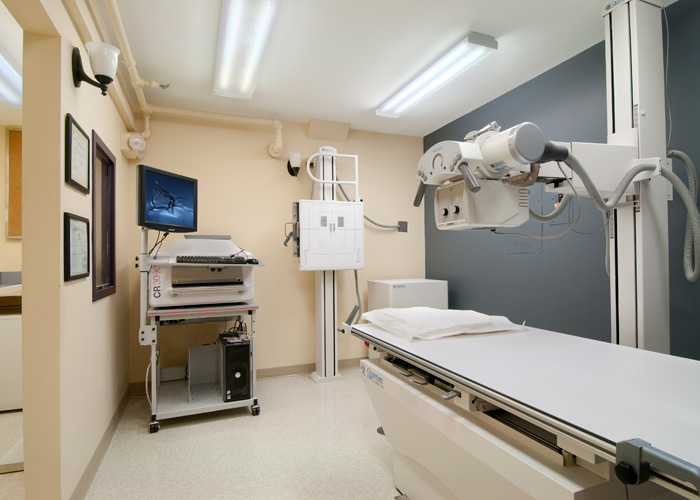 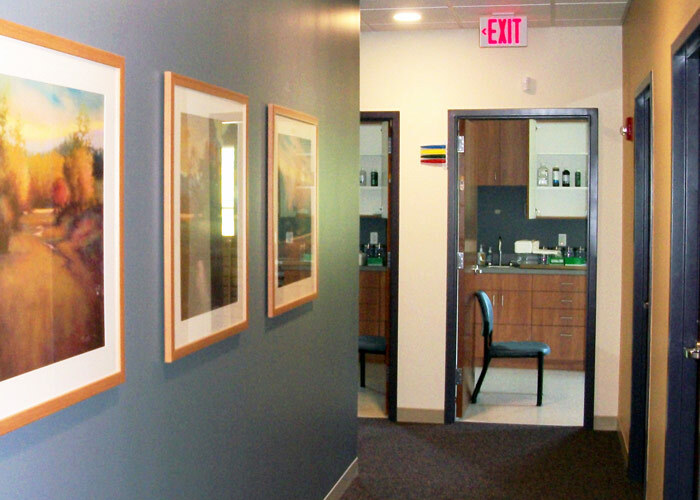 JMC converted the existing x-ray space to a digital format at Acton Medical's Acton location. 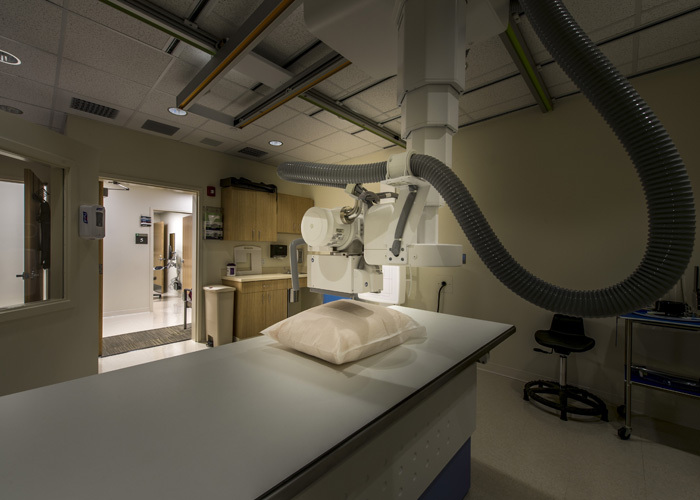 The renovation enables radiology staff to provide patients with an enhanced, more efficient x-ray experience. 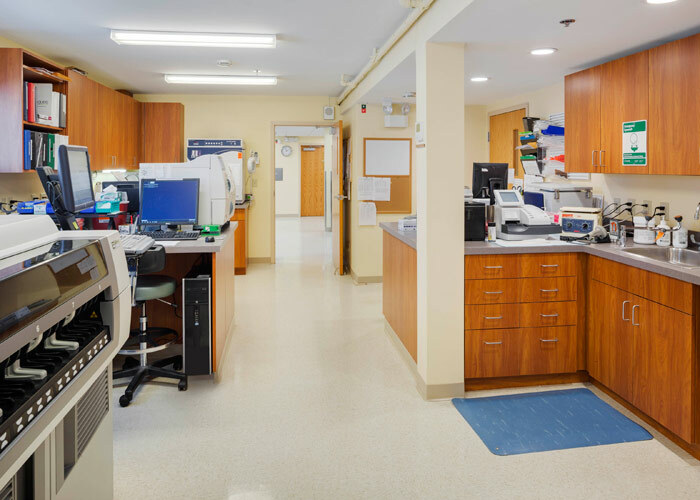 As the organization's primary and largest medical office, the Acton site is extremely busy and required extensive coordination to remain open throughout construction. 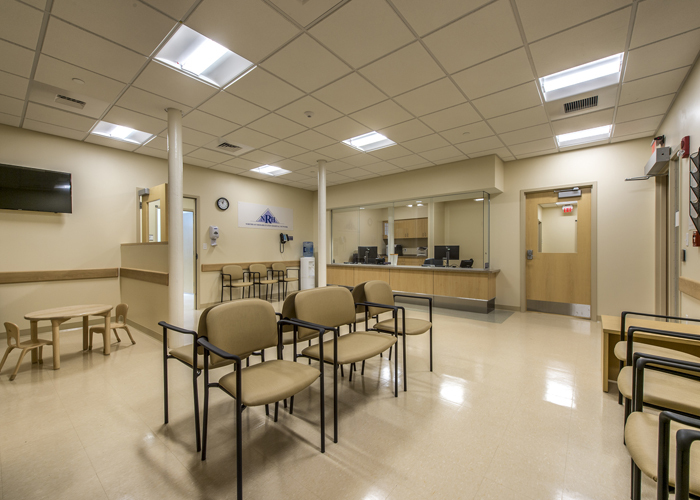 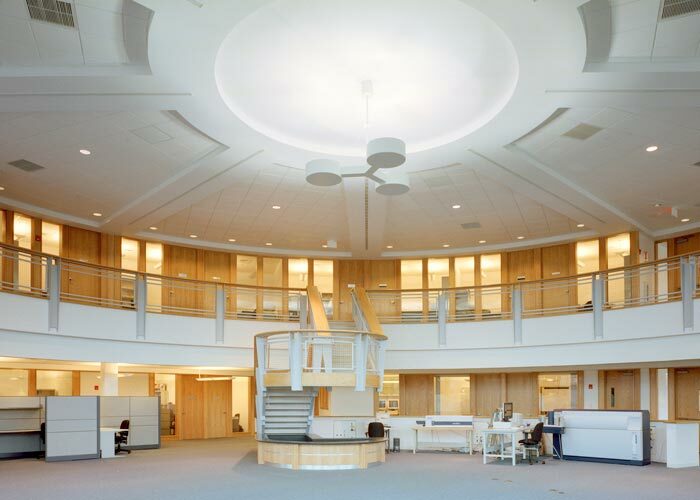 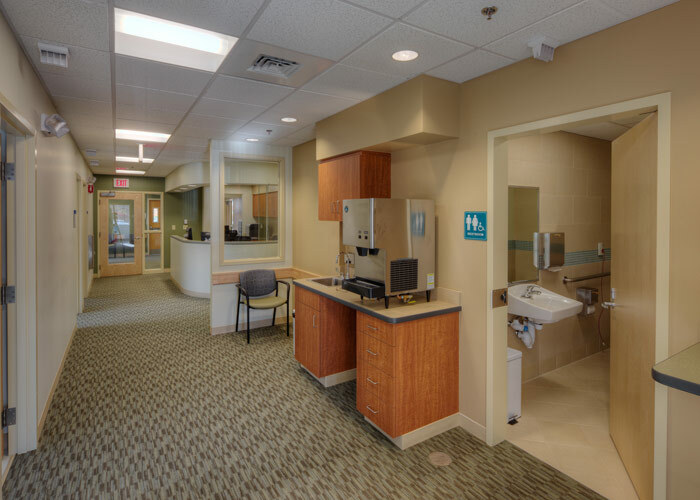 JM Coull completed a two-phase renovation project at Acton Medical's primary location in Acton, MA. 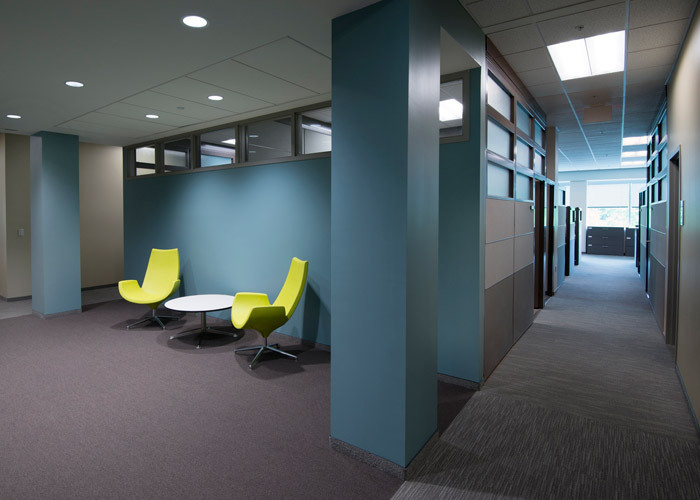 The updated areas feature a warm, calming design aesthetic with increased functionality. 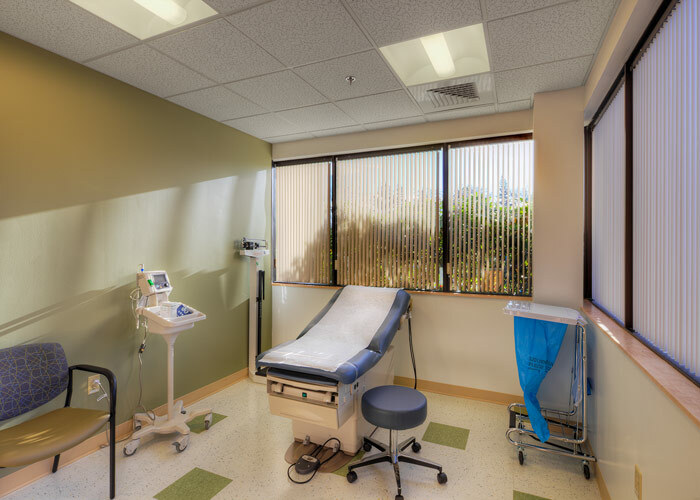 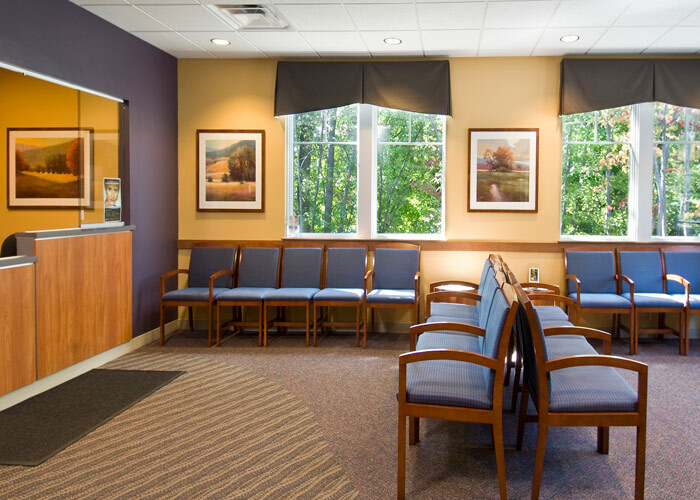 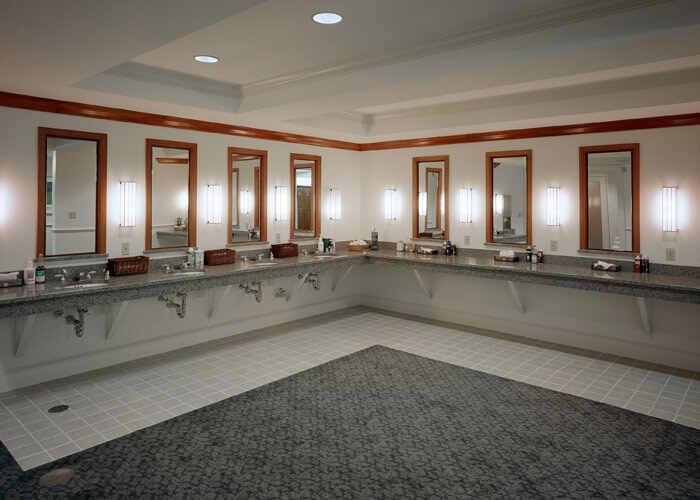 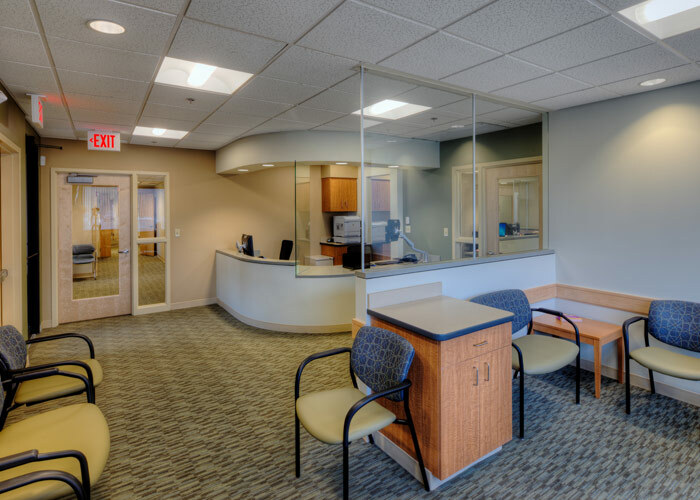 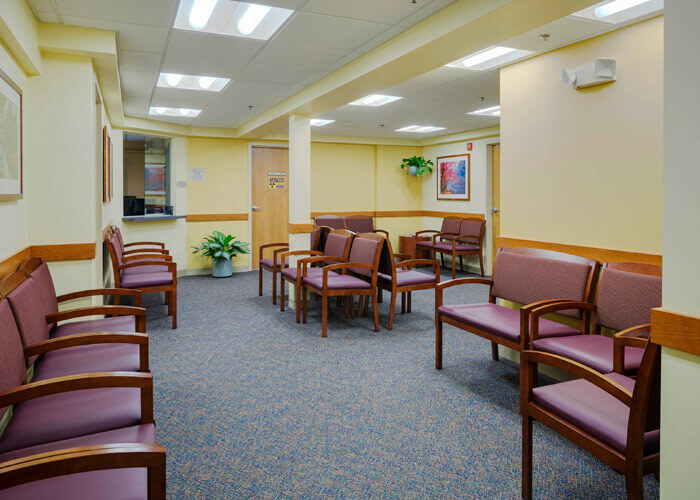 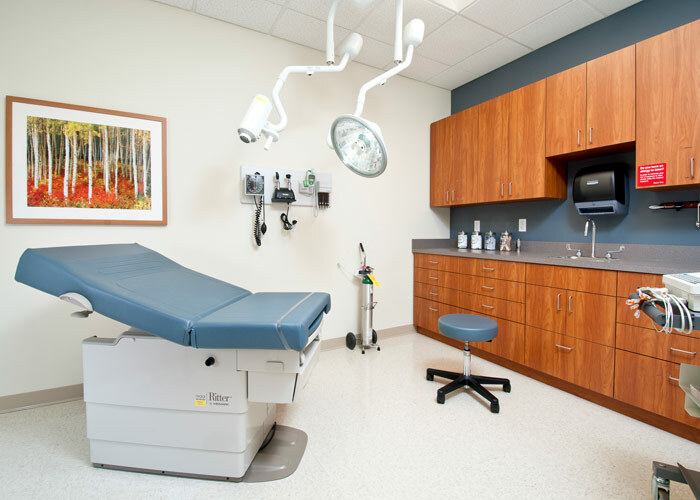 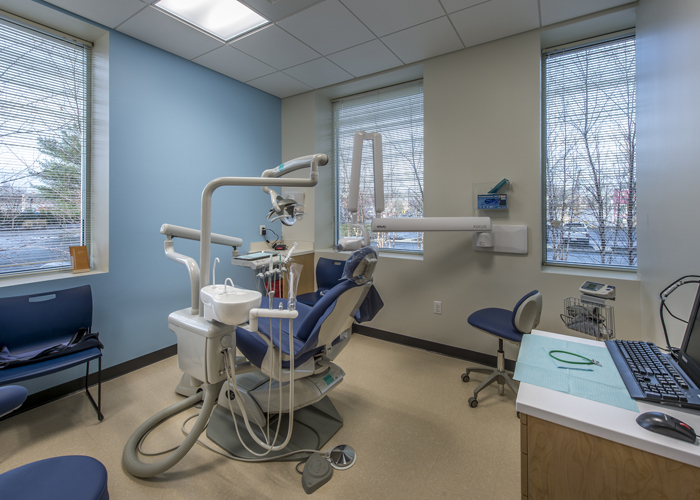 All spaces remained open during construction activities, which required stringent planning and coordination to prevent interruptions to this busy medical practice. 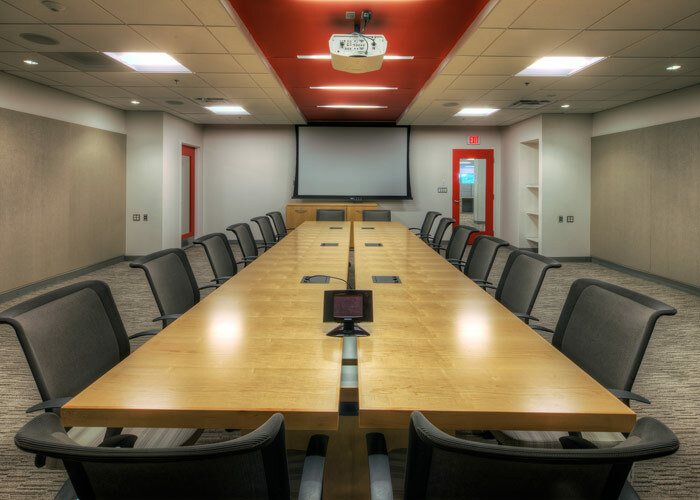 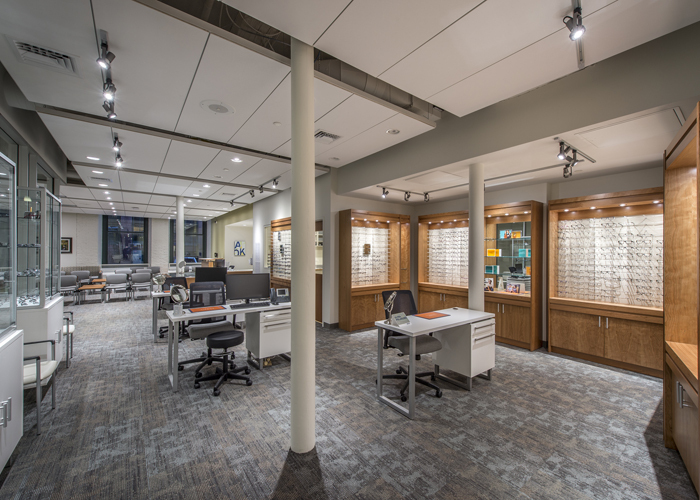 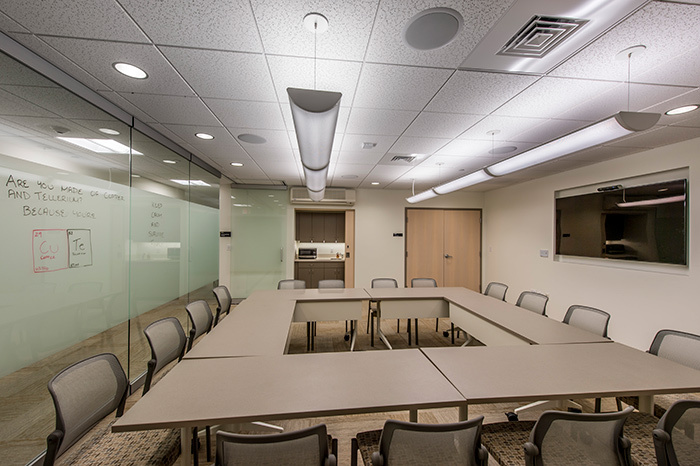 This renovation for Acton Medical Associates nearly doubled the size of the organization's Harvard, Massachusetts office. 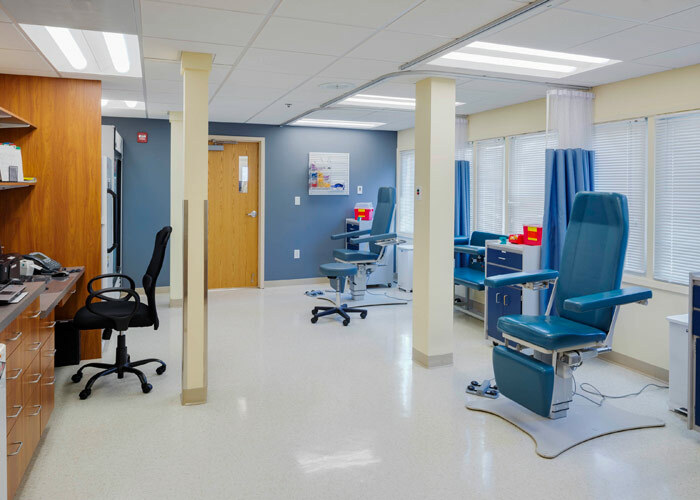 Through this project, the organization was able to expand its services for patients in Harvard and the surrounding towns. 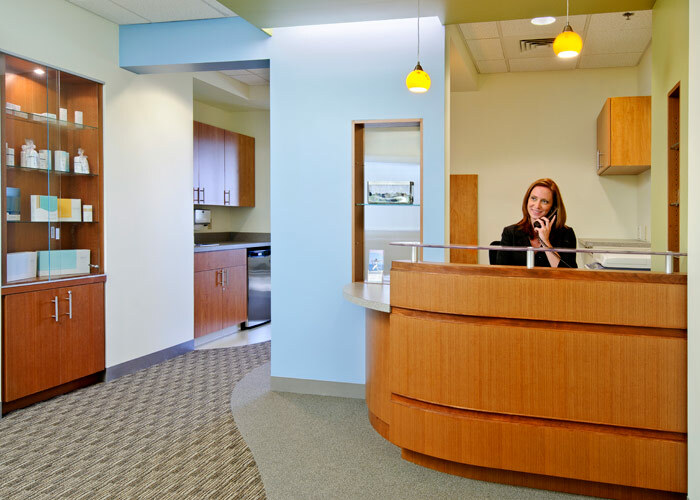 JMC performed complete design and construction of a new medical office facility for Acton Medical Associates. 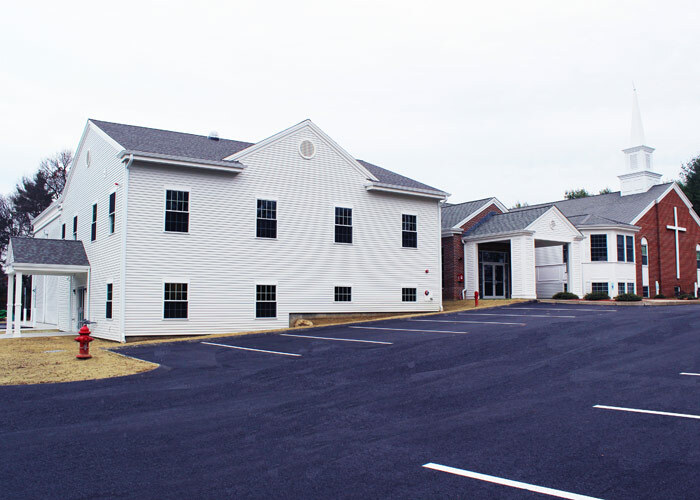 The building, parking, drainage, and septic systems were successfully fit onto the organization's small footprint, which abuts the Town of Westford. 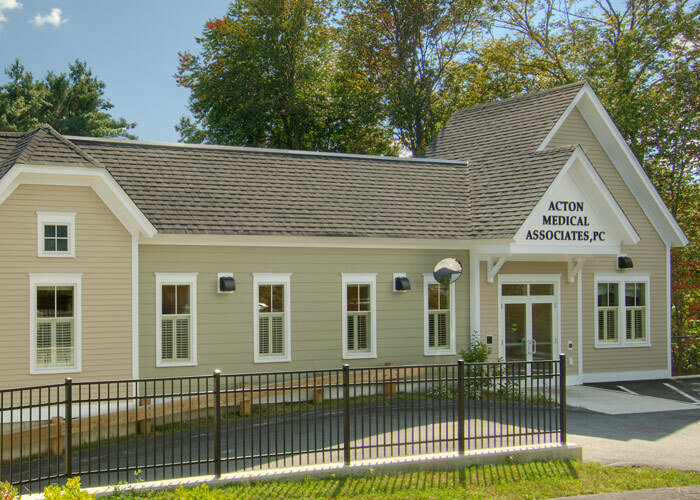 The project supported Acton Medical's desire to expand its reach within the community to provide services to patients outside of its Acton and Harvard locations. 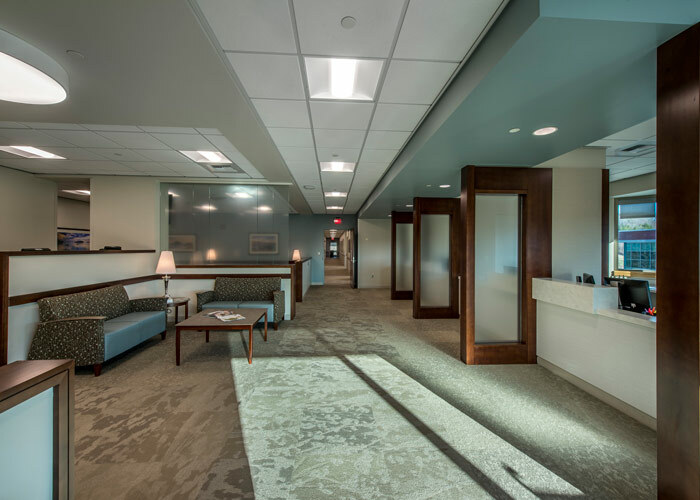 JMC performed a design-build fit-up of this previously vacant space to create a new center for cosmetic laser treatment and surgery for Hallmark Health System. 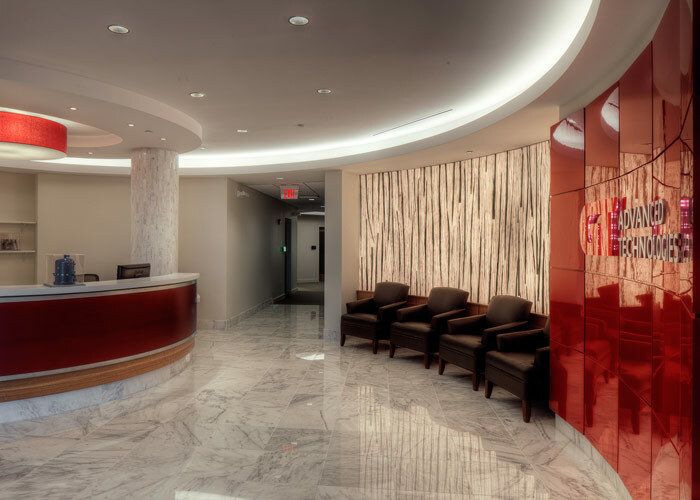 The center was created to offer patients more medically based solutions for cosmetic procedures than traditional facilities. 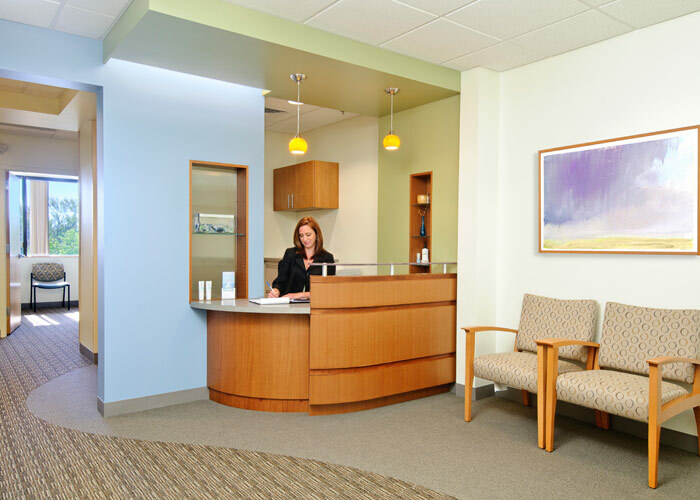 All treatments are performed by registered nurses or nurse practitioners. 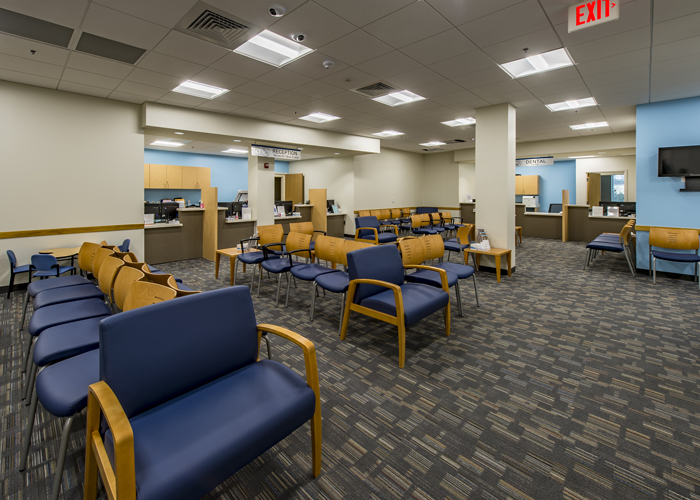 JMC renovated Hallmark Health Medical Center to transform the former CT diagnostic area into an urgent care center. 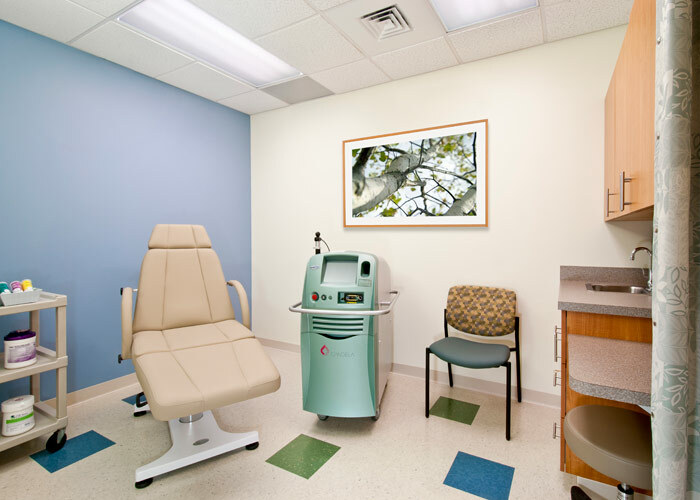 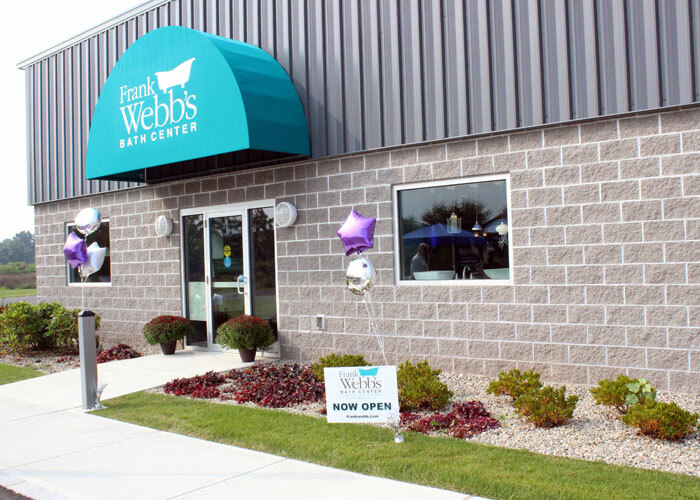 The facility offers patients of all ages high-quality, comprehensive, and rapid care. 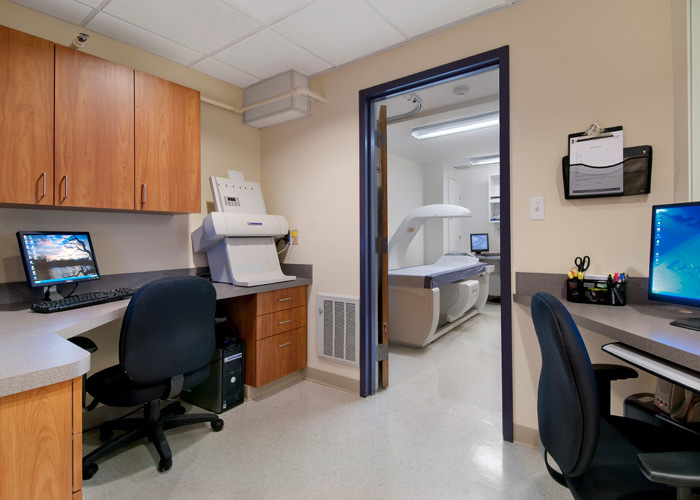 Unlike a stand alone facility, the center is supported by the other departments within the medical center, including imaging and blood draw. 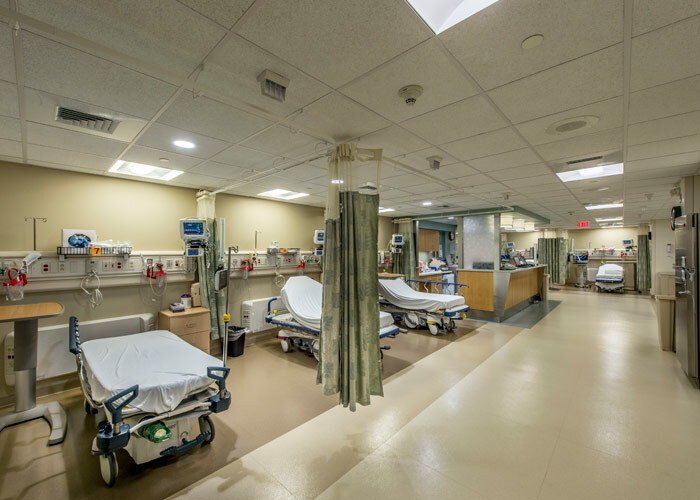 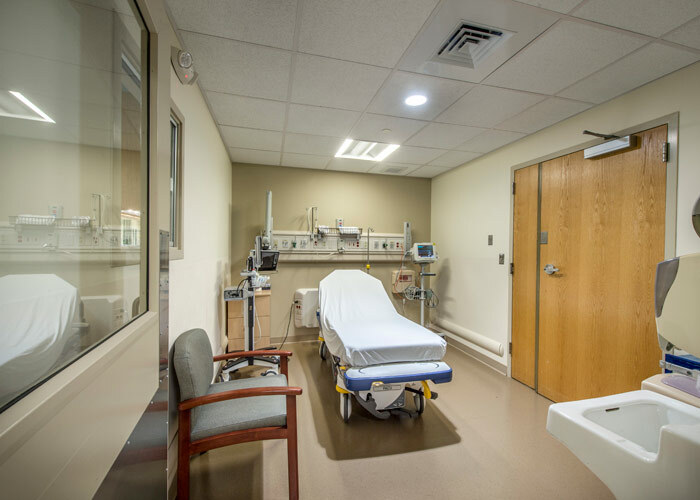 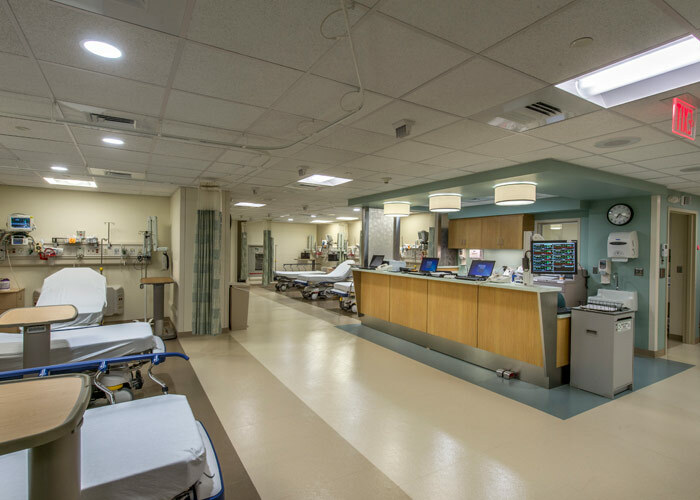 JM Coull was selected by Hallmark Health System to complete renovations to the patient Post-Anesthesia Care Unit (PACU) at Melrose-Wakefield Hospital. 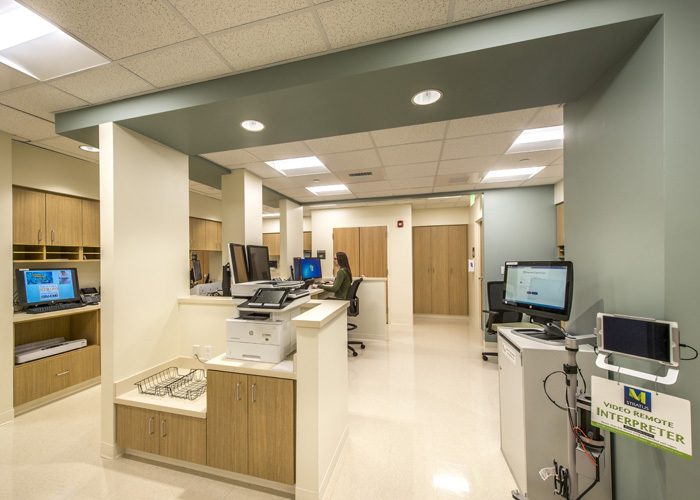 The outdated existing PACU was upgraded to provide patients with a modern, comfortable space while immediately recovering from surgery. 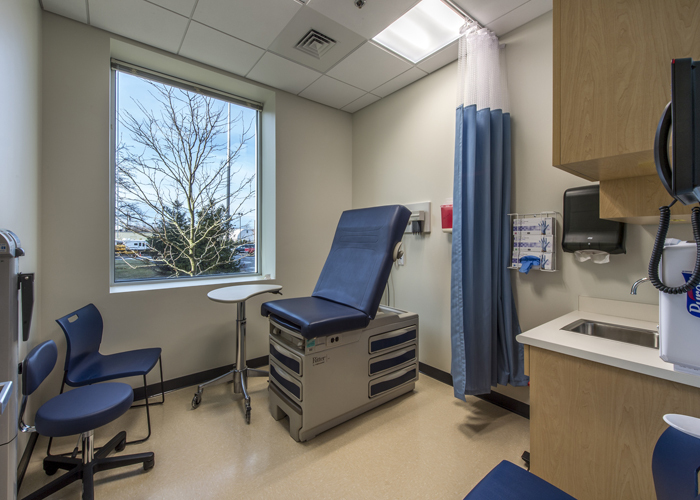 The space contains a designated nurses' station, enabling hospital staff to quickly and easily monitor patients. 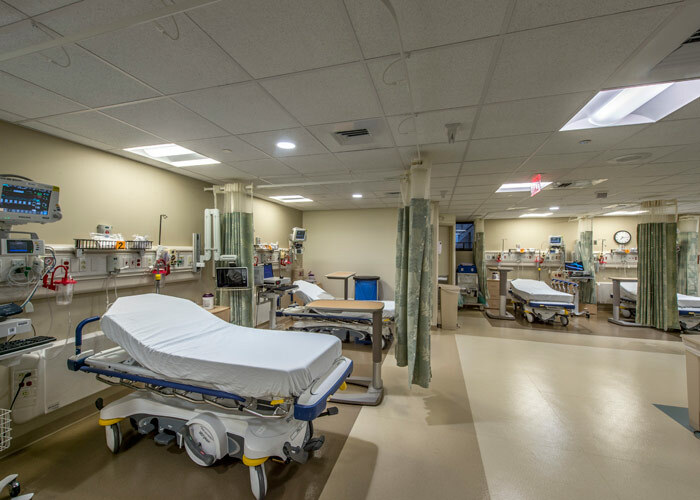 Work was successfully performed without interfering with the activities in critical areas surrounding the PACU, including the operating room, newborn special care nursery, and cardiac catheterization lab. 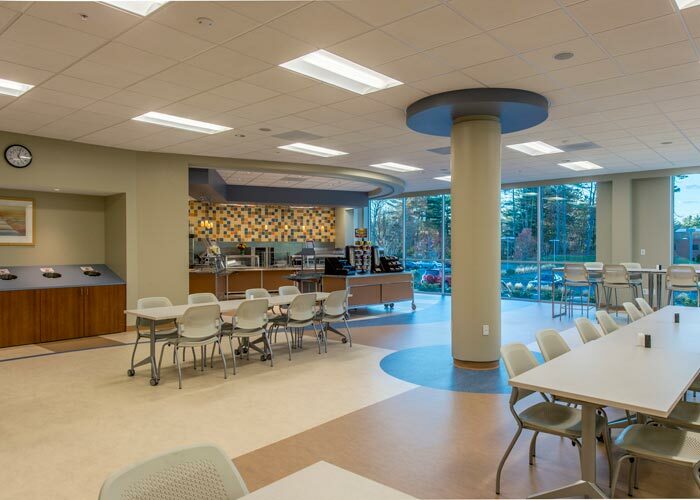 JM Coull renovated the hospital's existing 1,900 sf café to incorporate a bright, modern design with improved efficiencies and flow pattern. 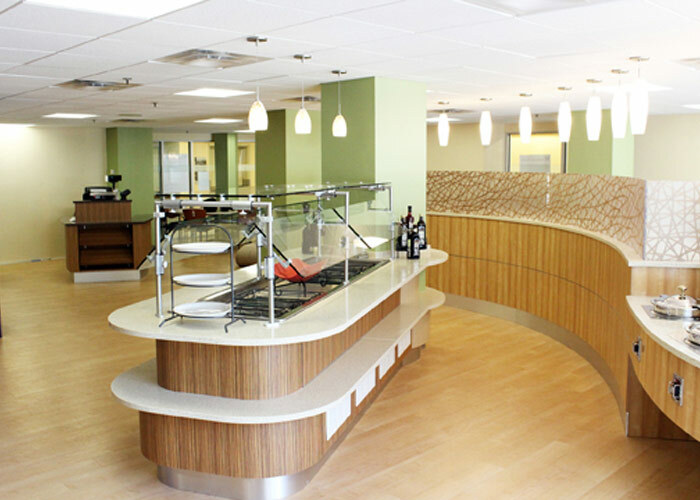 The café serves visitors, staff, and patients in this 234-bed hospital. 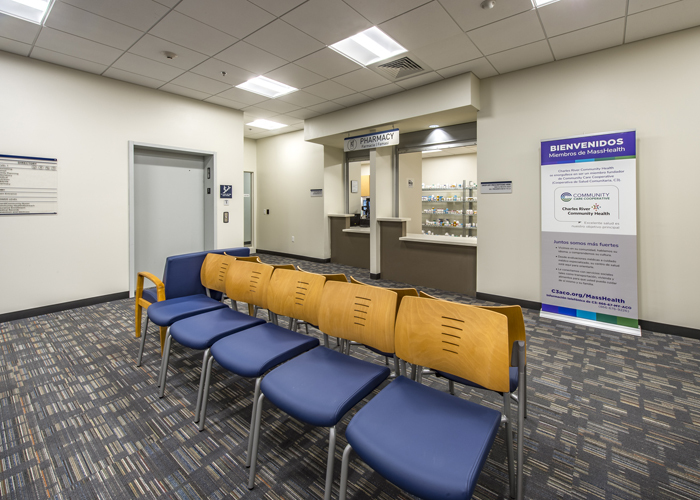 This two-phase project involved design-build fit-up for a new 13,000 sf Veterans Administration (VA) Clinic at Biotech Park on Plantation Street in Worcester. 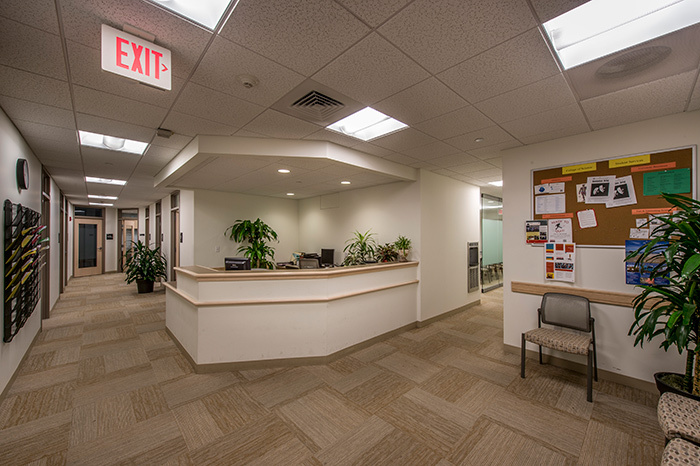 The property is owned by Worcester Campus Services and abuts and shares services with the UMass Medical School campus. 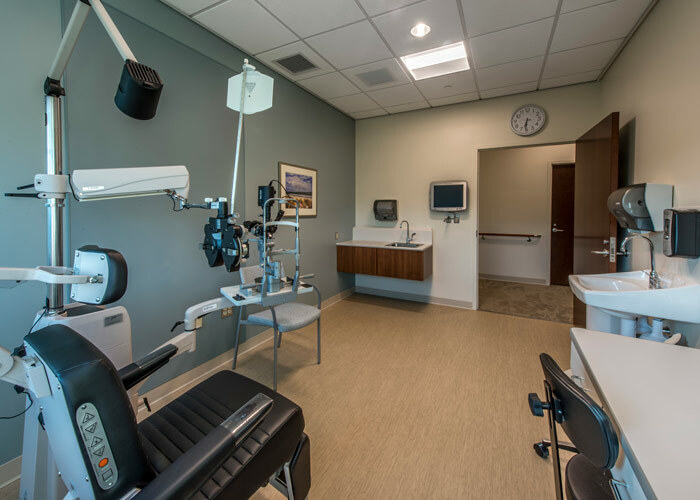 The clinic is sited at Biotech 4, and offers patients audiology, podiatry, and optometry services. 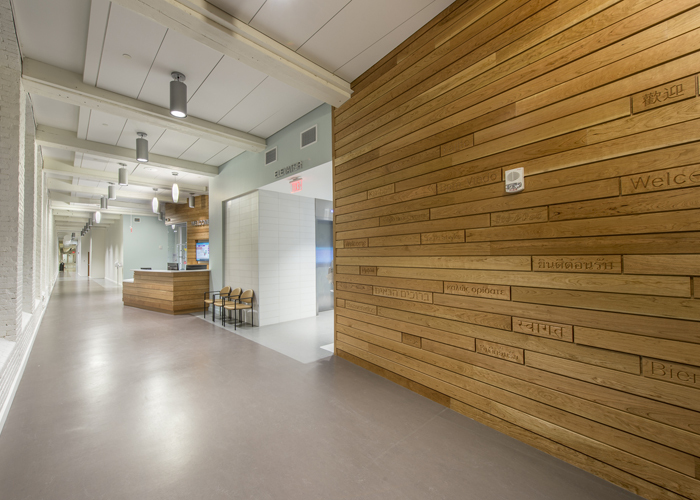 JM Coull performed selective demolition and renovations to 30,000 sf of interior space at UMass Medical School's Center for Mindfulness in Medicine, Healthcare, and Society. 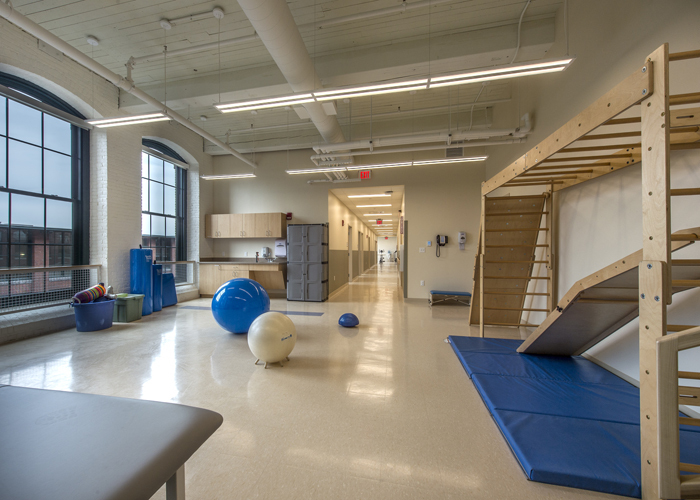 The facility focuses on incorporating mindful-based approaches into mainstream medicine and healthcare. 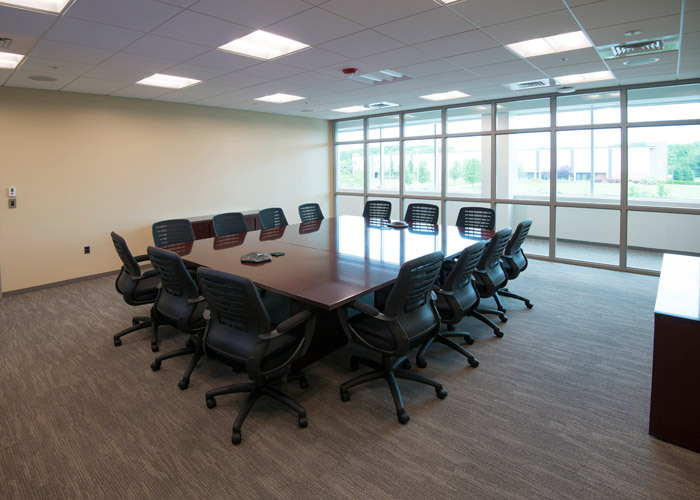 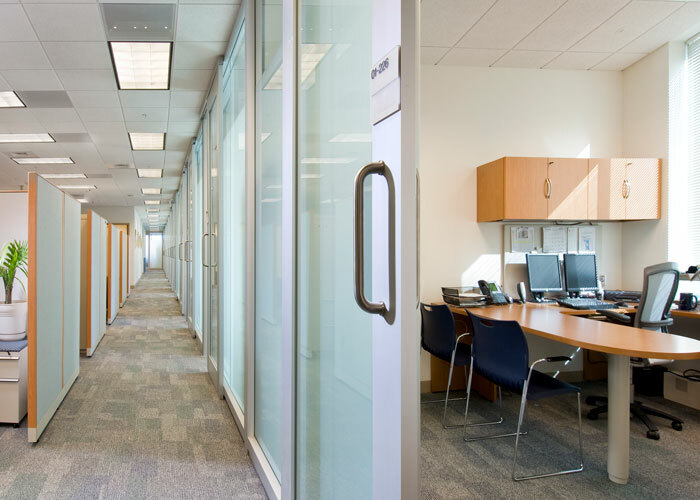 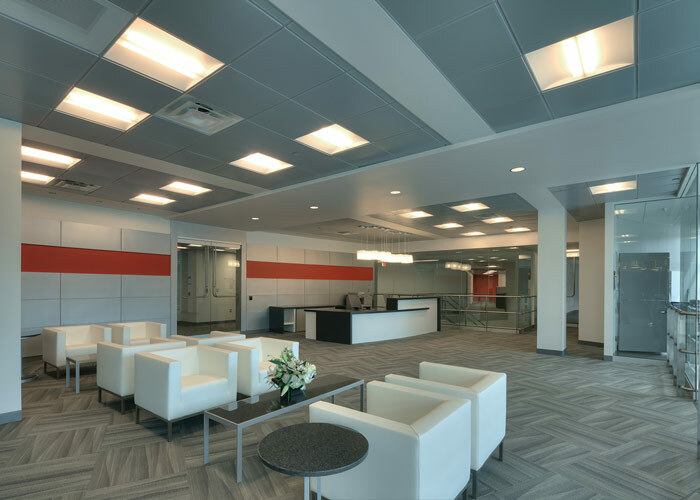 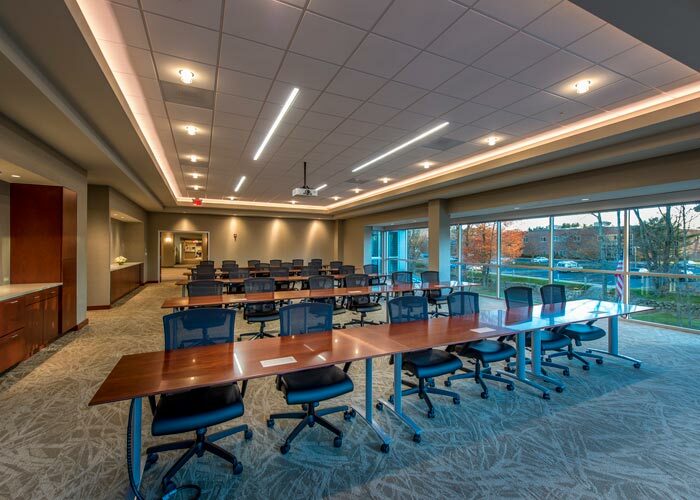 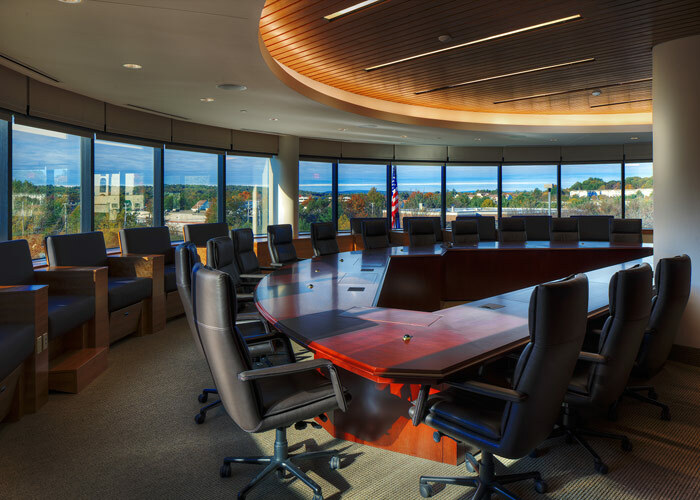 JM Coull renovated the 30,000 sf second floor of Sensata's US headquarters, reconfiguring the space to accommodate additional administrative areas to support the company's growing operations. 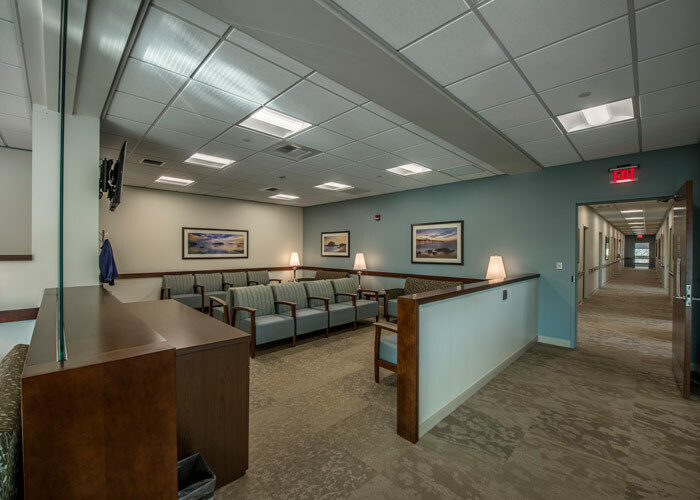 The project features a light, modern design and was successfully completed in two major phases while keeping relocated staff and overall systems operational at all times. 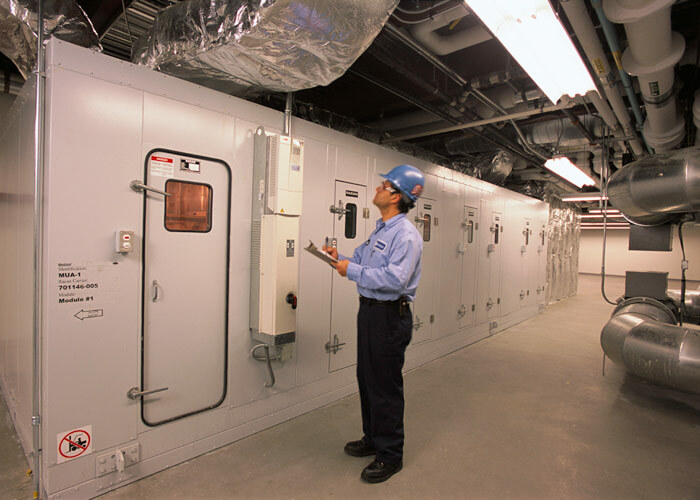 Sensata is a high-tech firm specializing in the production of mission-critical sensors and electrical protection for dozens of industries such as aerospace, agriculture, military, satellites, and alternative energy, among others. 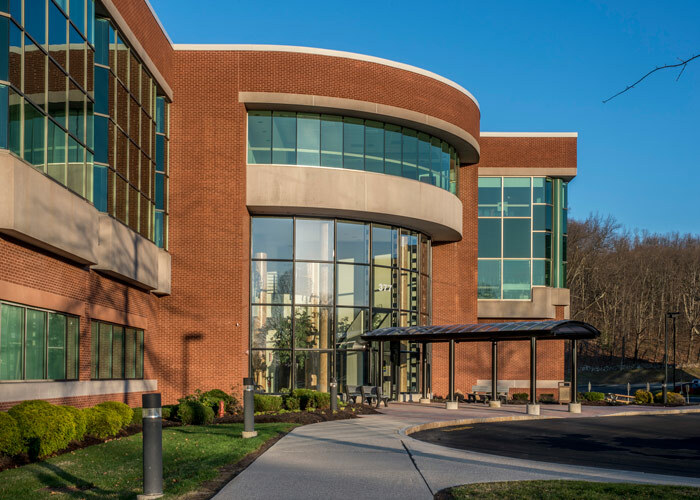 JMC performed significant interior upgrades to ADP's office building, including a reconfiguration of the existing 78,000 sf footprint to consolidate down to 58,000 sf. 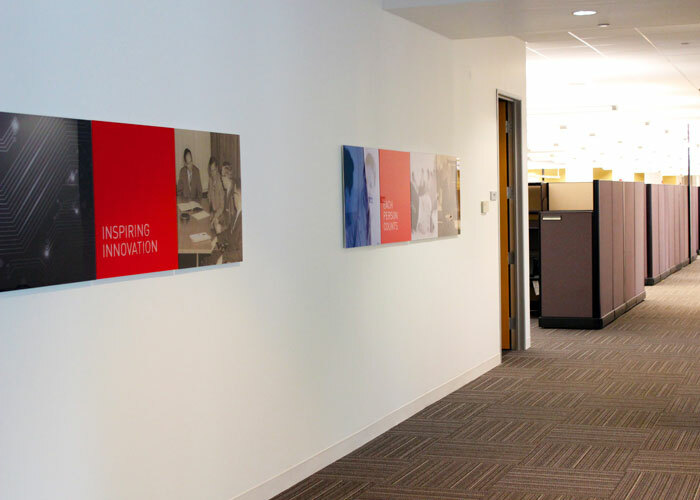 ADP is a leader in human resources services and software. 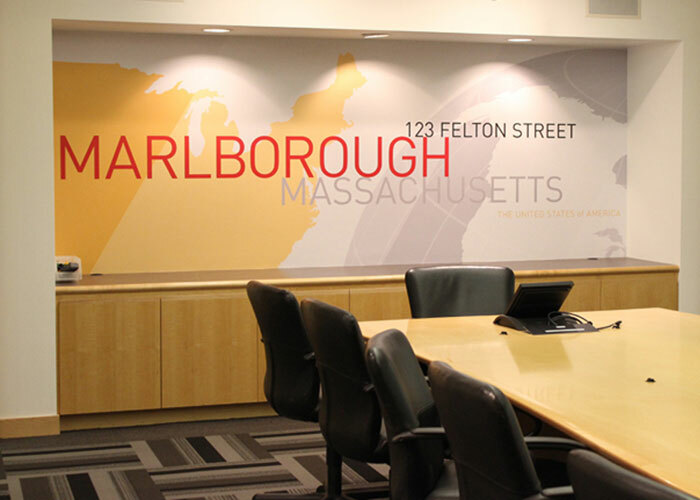 The Marlborough site incorporates a welcoming color palette with custom finishes and architectural details. 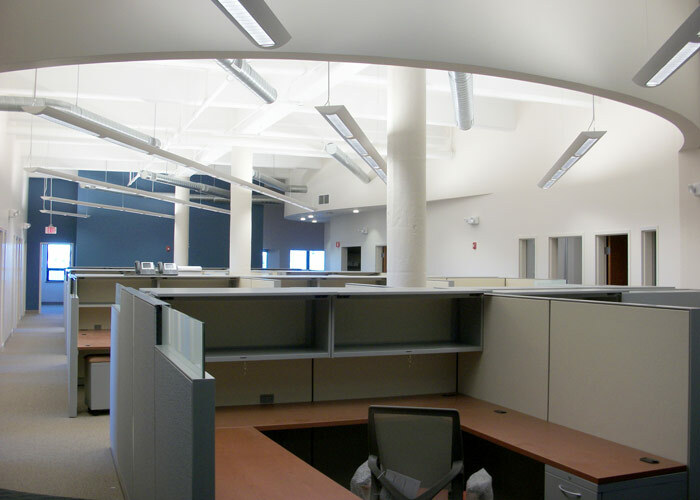 JM Coull demolished the existing seven-story abandoned Lincoln Foods mill in downtown Lawrence to construct a new 62,000 sf office building for USCIS, the second of its kind in the state. 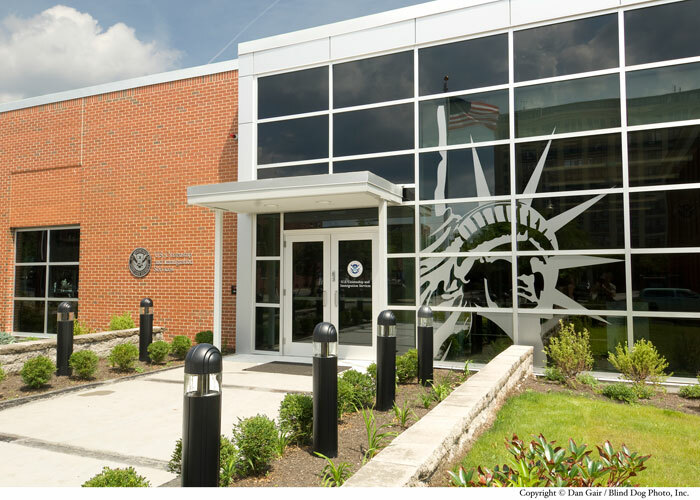 The facility was built to increase access to USCIS's services throughout Massachusetts to assist those seeking to become US citizens. 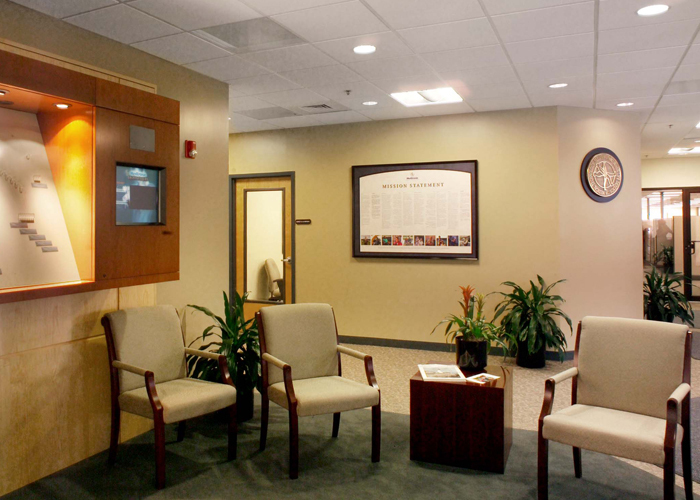 The Lawrence facility manages the application and interview process of its clients. 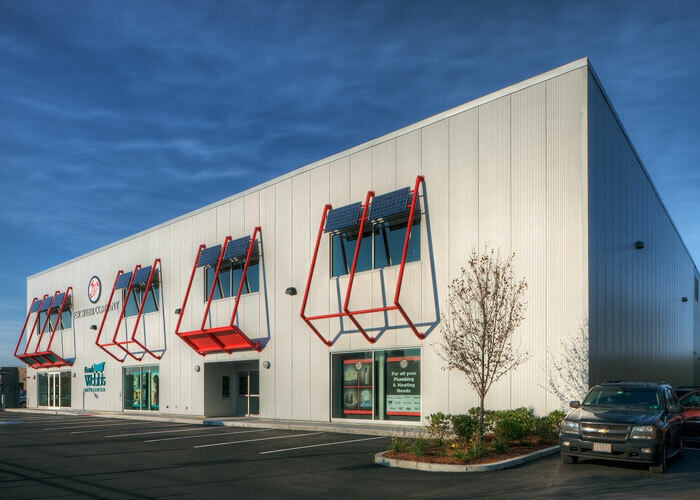 JM Coull constructed a new warehouse, distribution, and office facility for Ross Express in Sutton, MA. 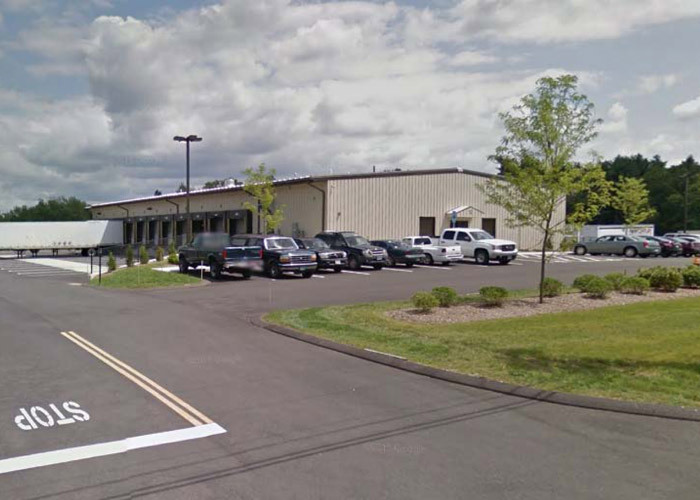 JMC constructed this new 14,000 sf distribution facility for Ross Express in East Granby, Conn. 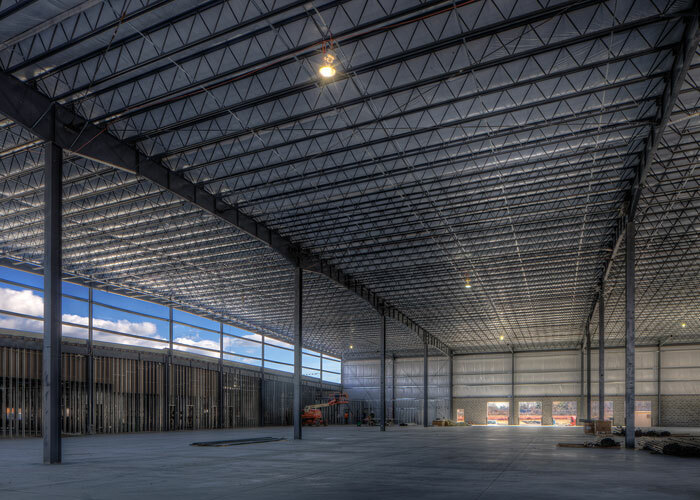 The new building supports the company's shipping operations throughout New England. 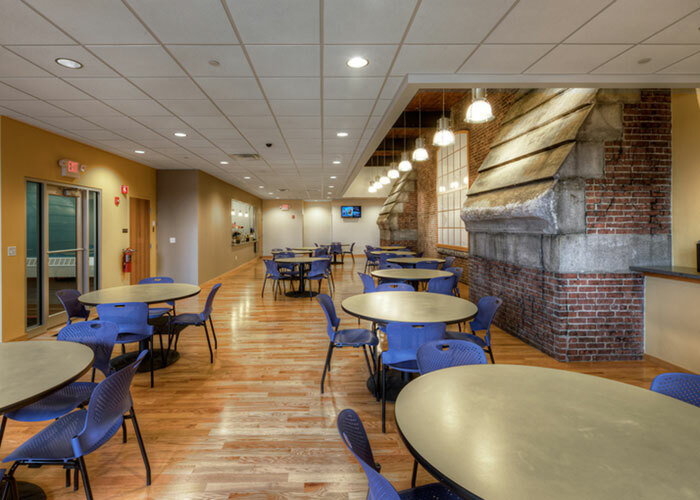 JM Coull renovated approximately 4,500 sf of existing space to create a new café for this New Balance site, which is located in a historic mill in downtown Lawrence. 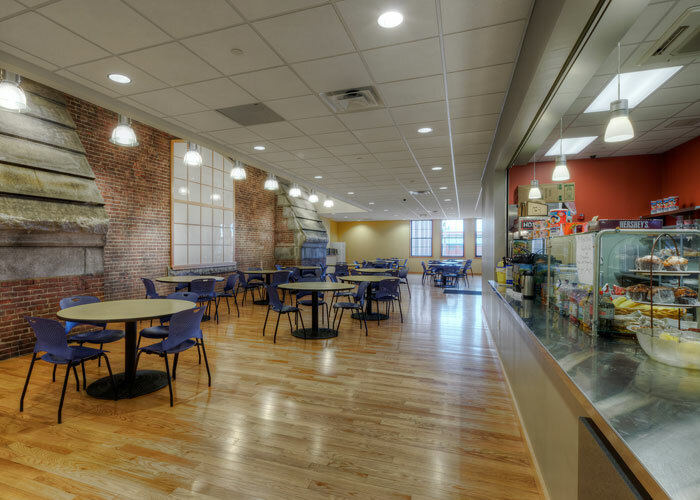 The café serves more than 300 employees. 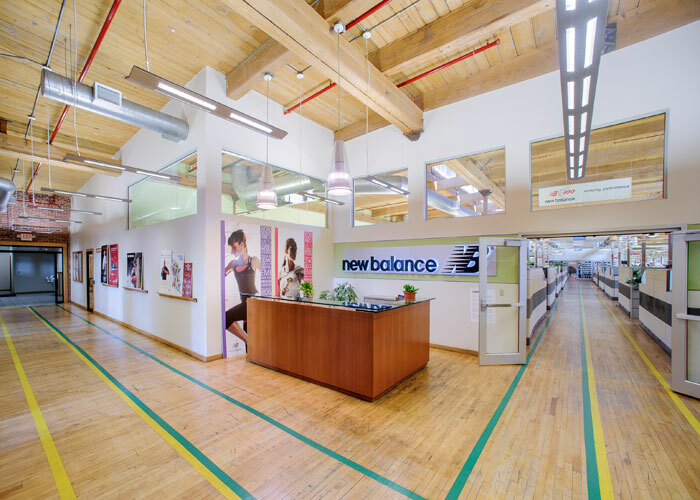 New Balance is a multinational manufacturer of athletic footwear and apparel, as well as select sports equipment. 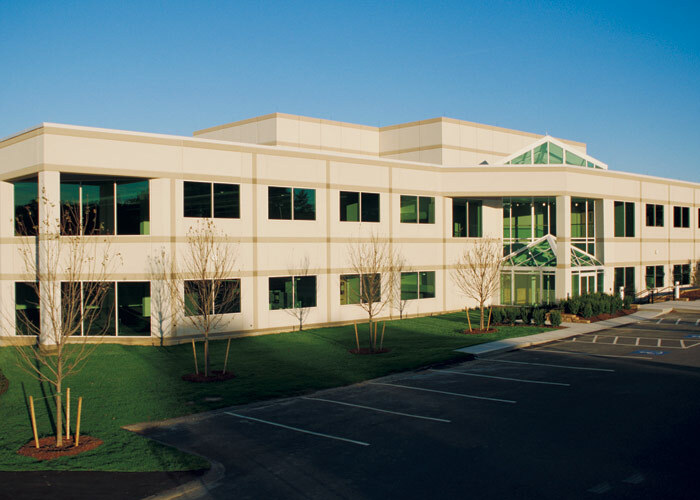 The Lawrence location houses manufacturing, retail, and administrative operations. 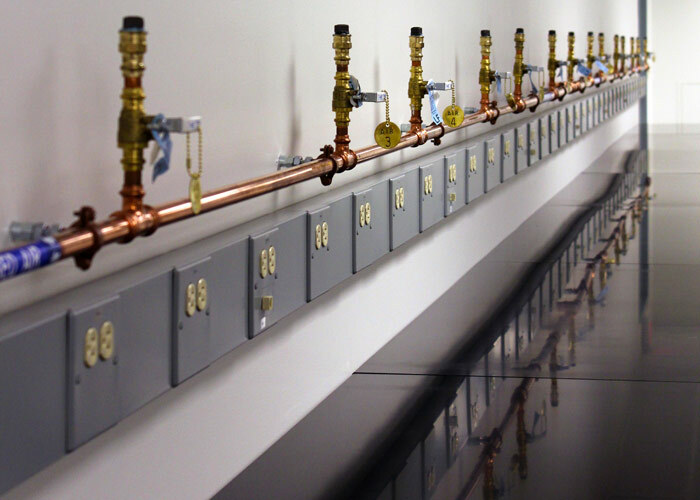 JM Coull completely removed and replaced New Balance's outdated sprinkler system in this former mill building. 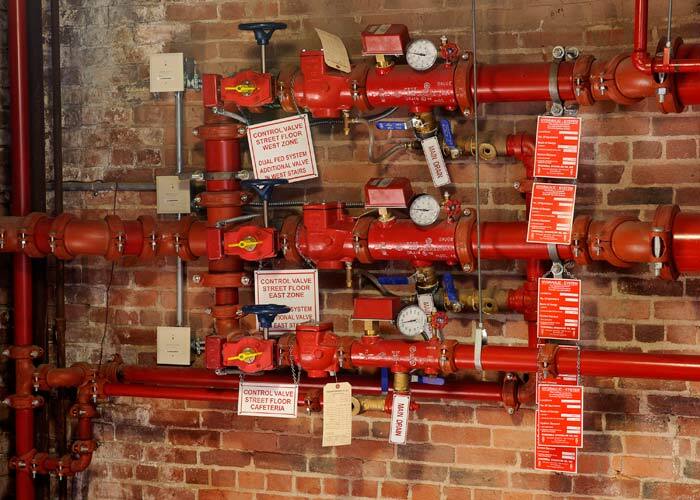 The project was vital to ensuring the facility contained a fire suppression system that was up to code, particularly considering the building's historical nature. 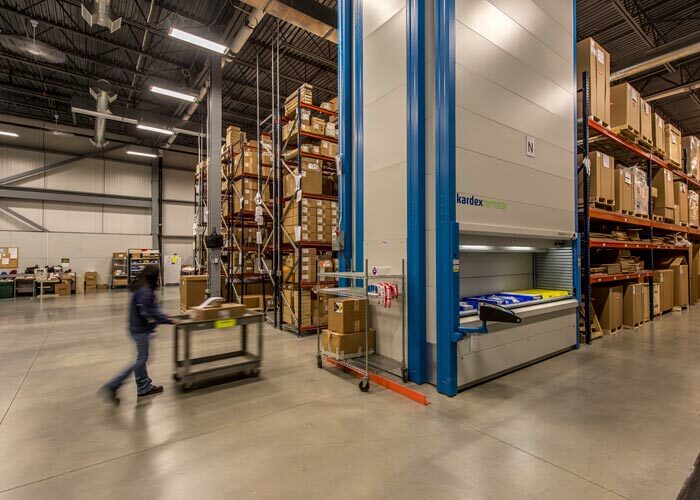 The company employs more than 300 individuals at its Lawrence location, which houses manufacturing, retail, and administrative operations. 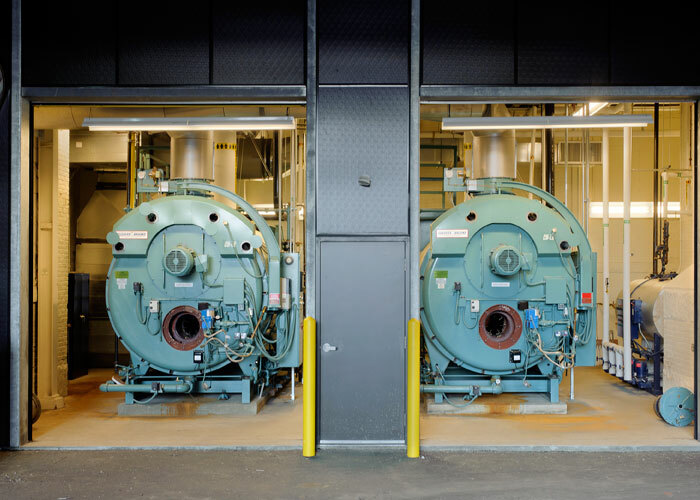 JM Coull replaced New Balance's boilers while we were already on site working on a sprinkler replacement project at the company's Lawrence site. 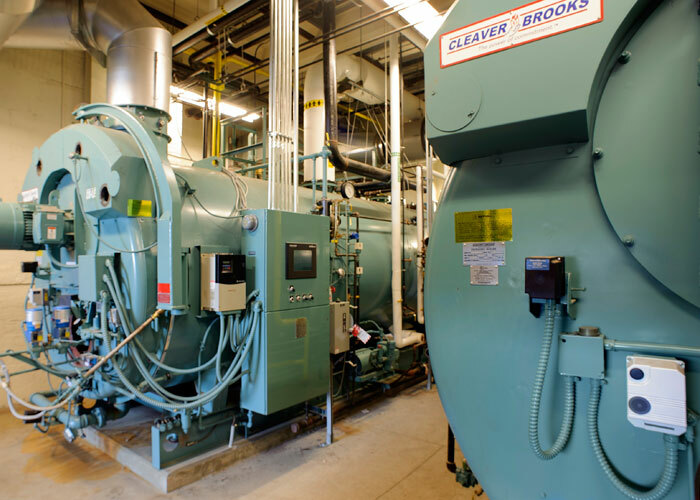 While performing the sprinkler work, the building's two boilers failed, and needed to be replaced immediately. 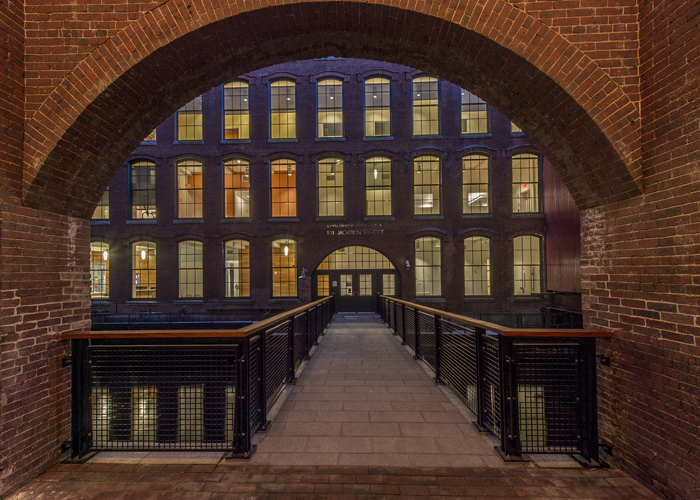 More than 300 employees work in this historical mill building, so ensuring the new boilers were up and running before the impending winter was critical. 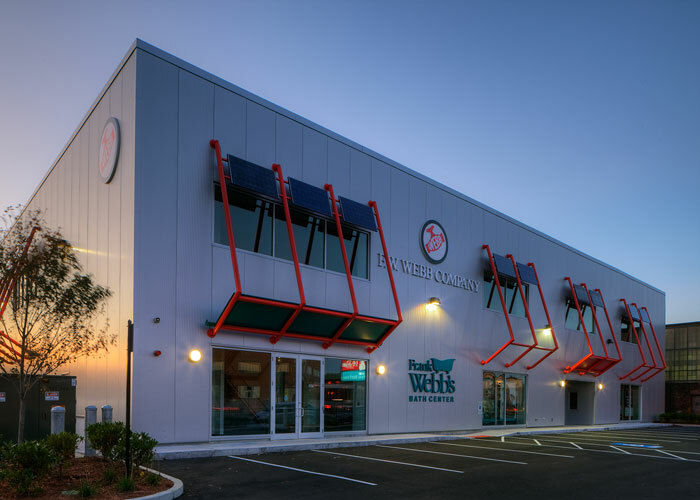 JM Coull helped FW Webb, a leading plumbing supply company with locations throughout New England, expand into Boston by completing work on a new, two-story building. 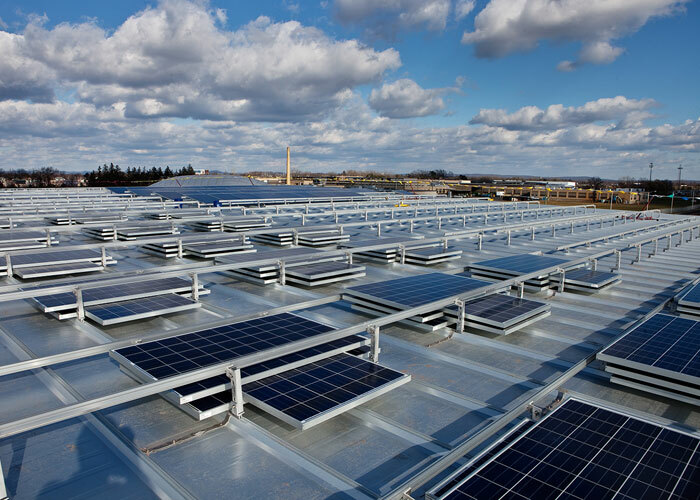 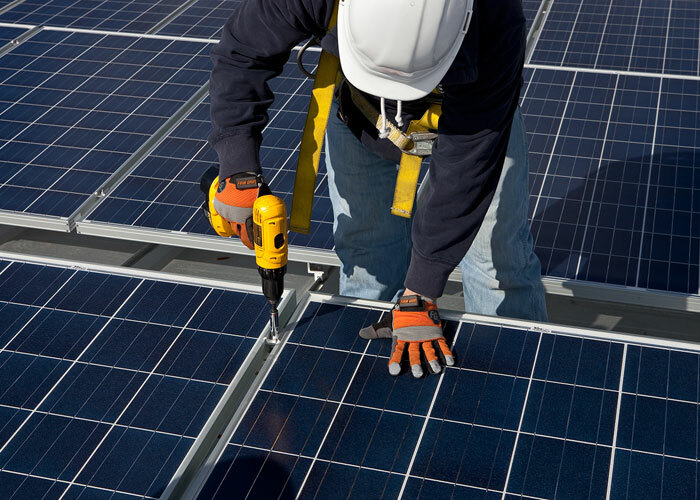 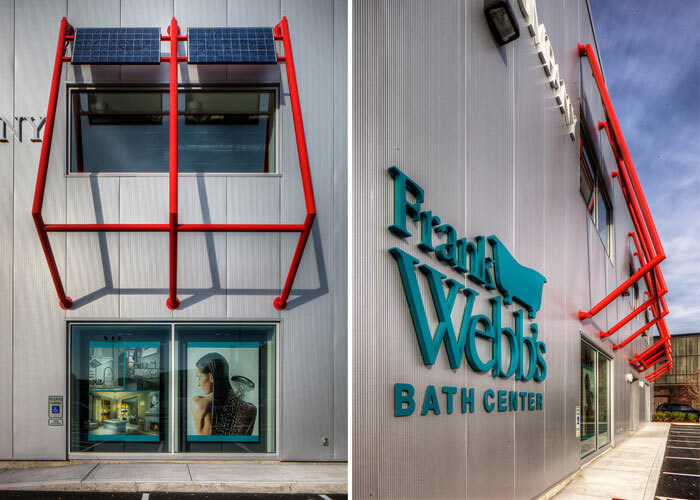 JMC provided design-build services for FW Webb's branch facility in Springfield, MA, which incorporated a solar energy system. 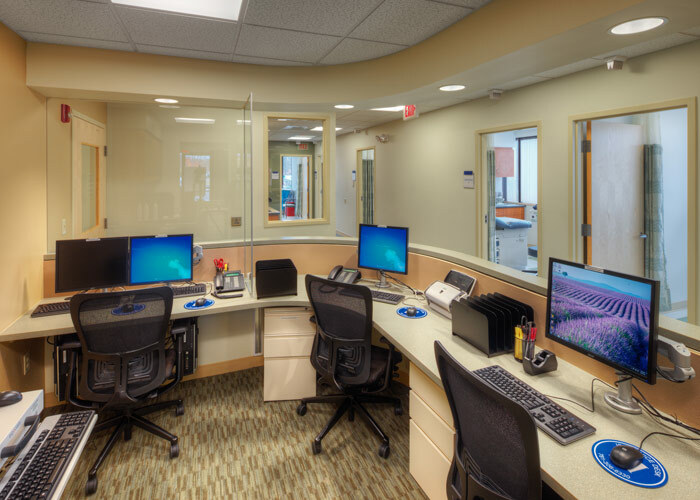 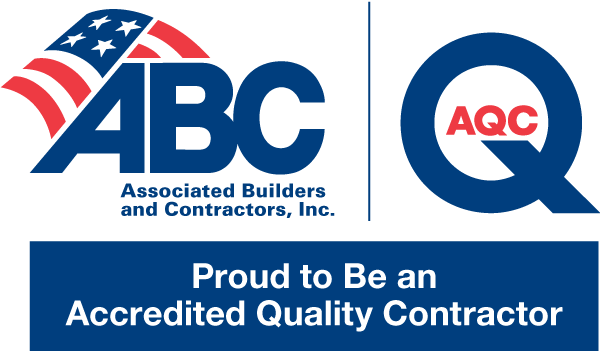 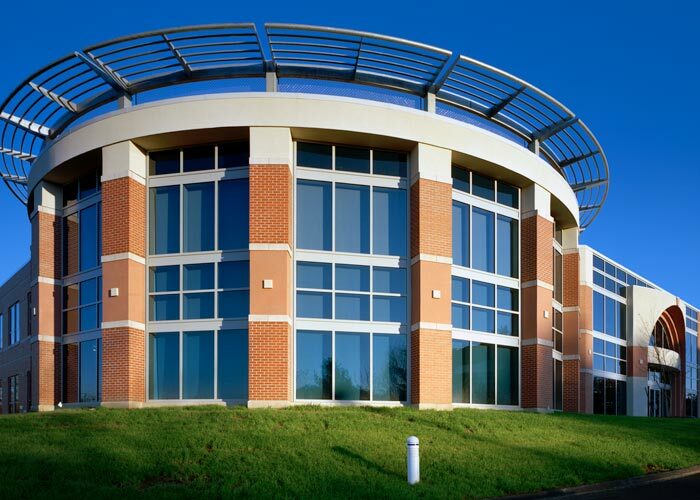 Maynard, MA 01754 (978) 461-0330 (978) 461-0275 Construction management, design-build, and general contracting firm specializing in new construction and renovation projects in the life sciences, education, healthcare, commercial, advanced technology, and institutional industries.